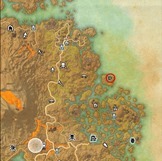 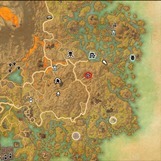 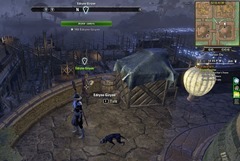 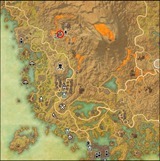 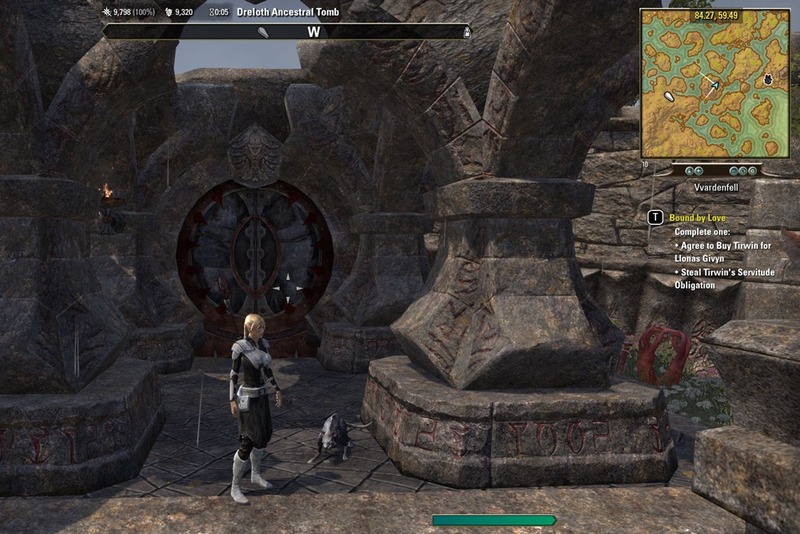 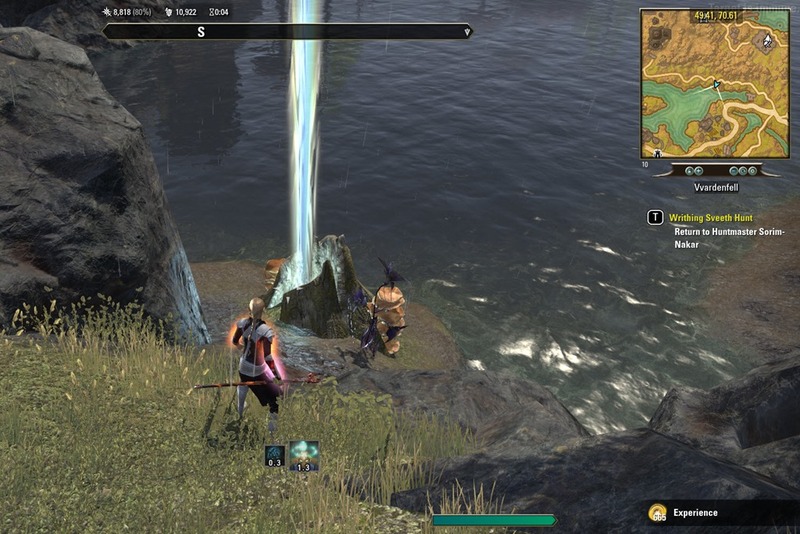 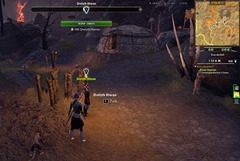 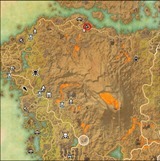 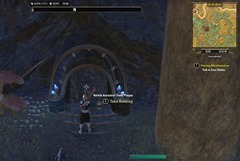 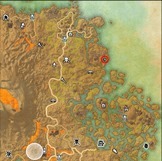 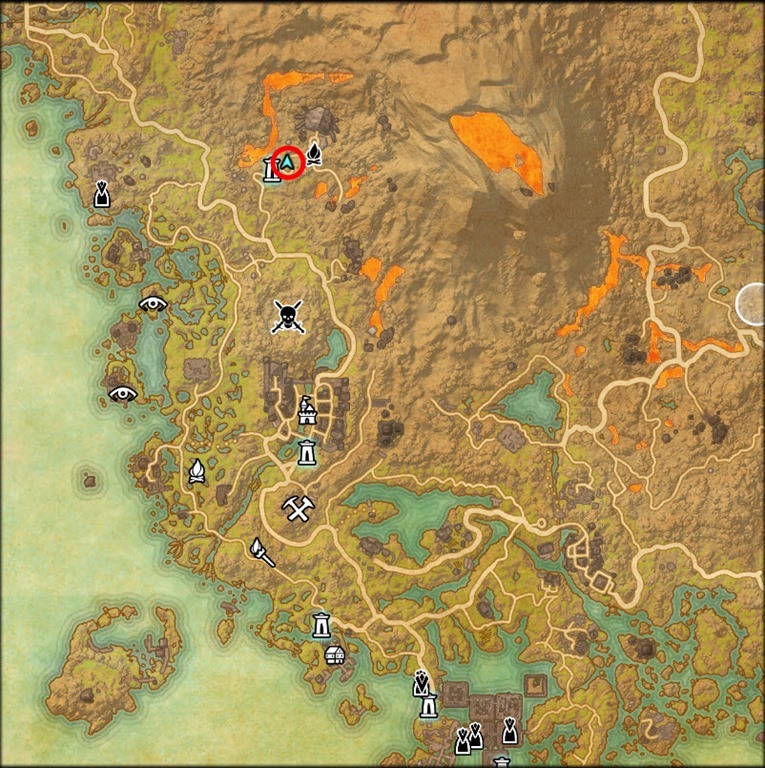 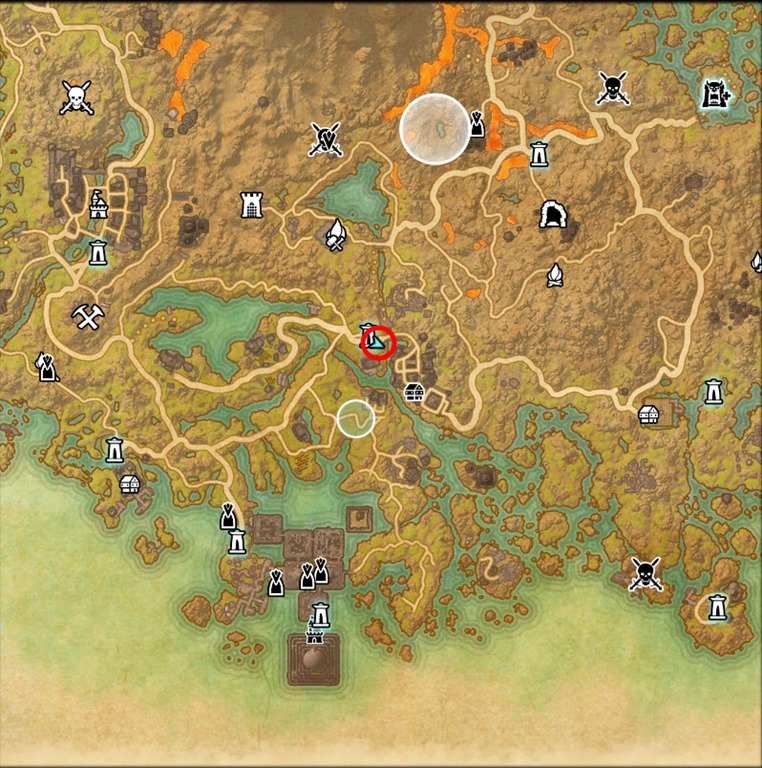 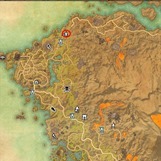 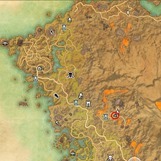 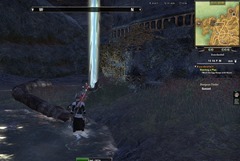 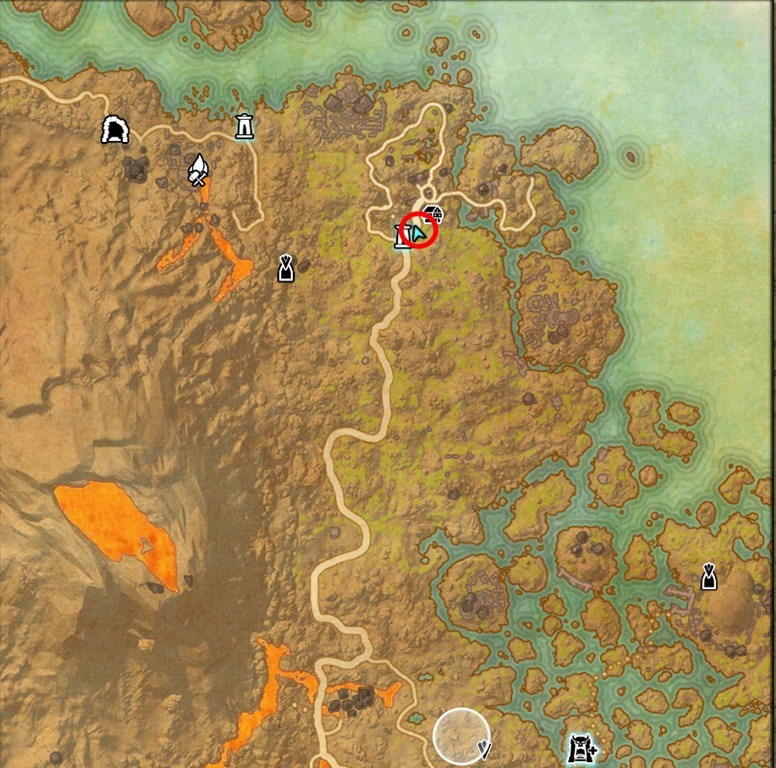 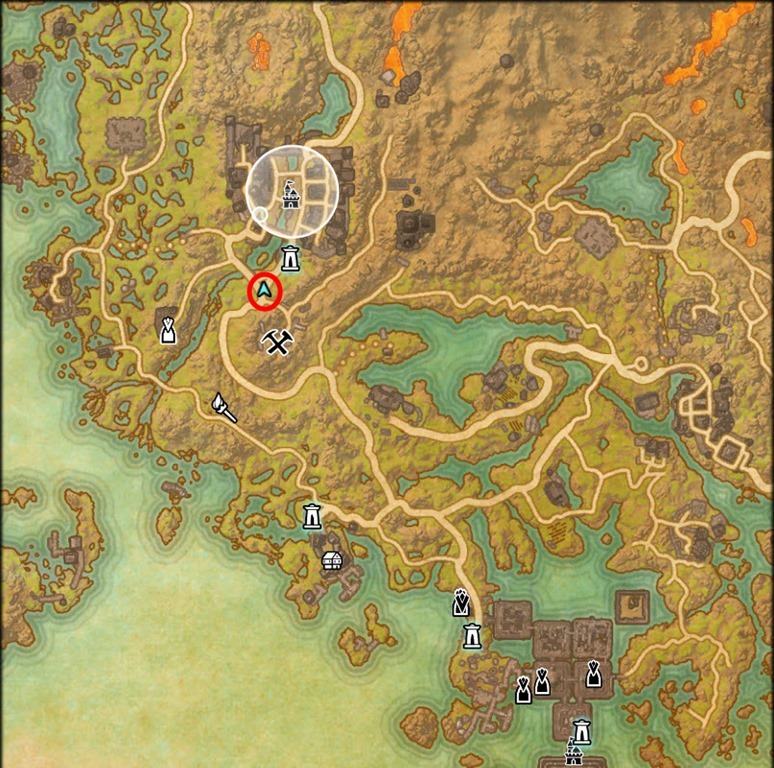 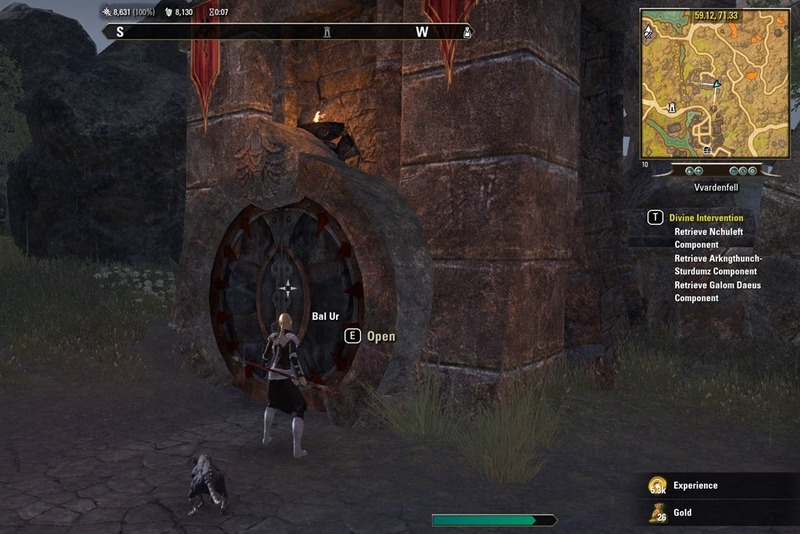 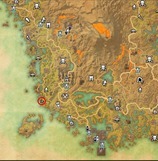 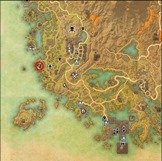 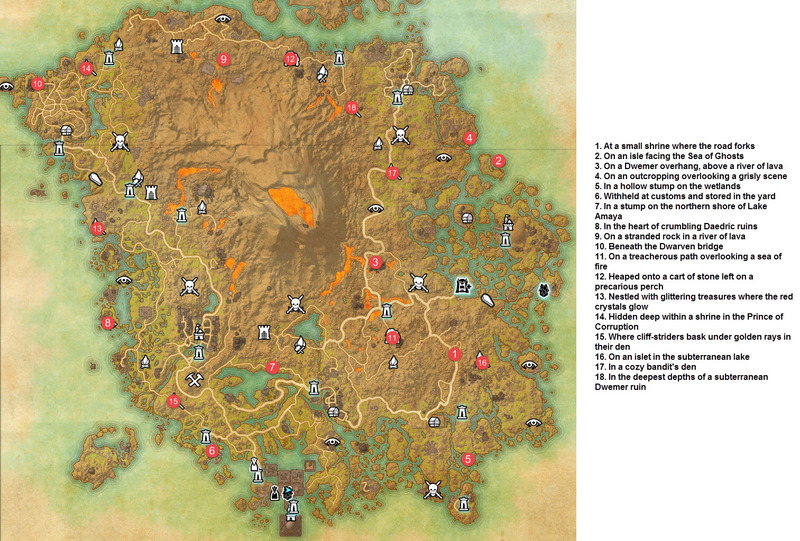 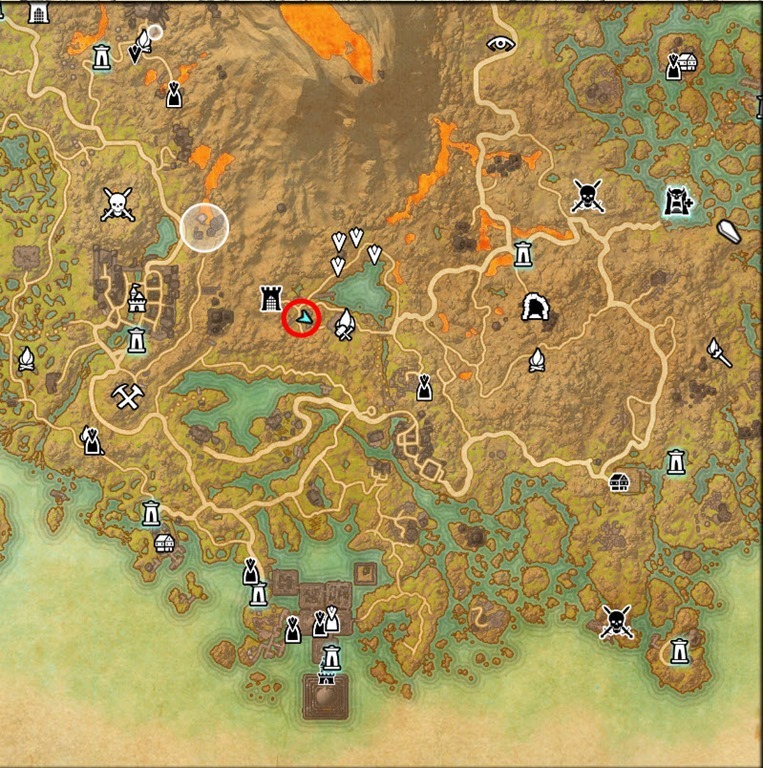 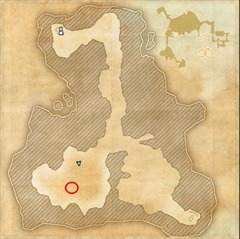 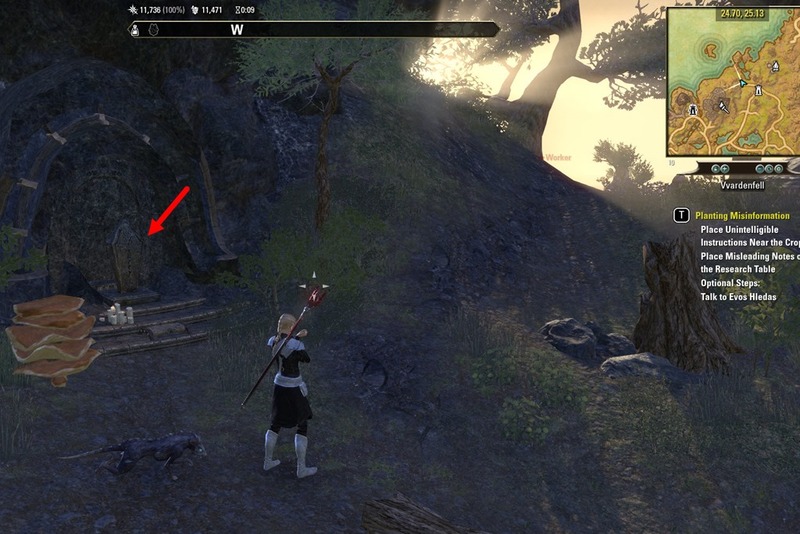 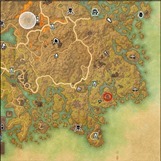 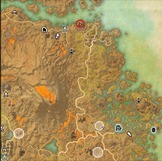 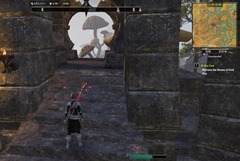 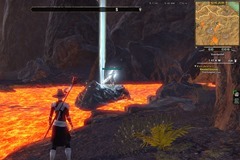 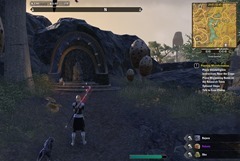 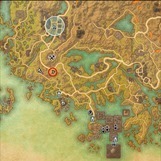 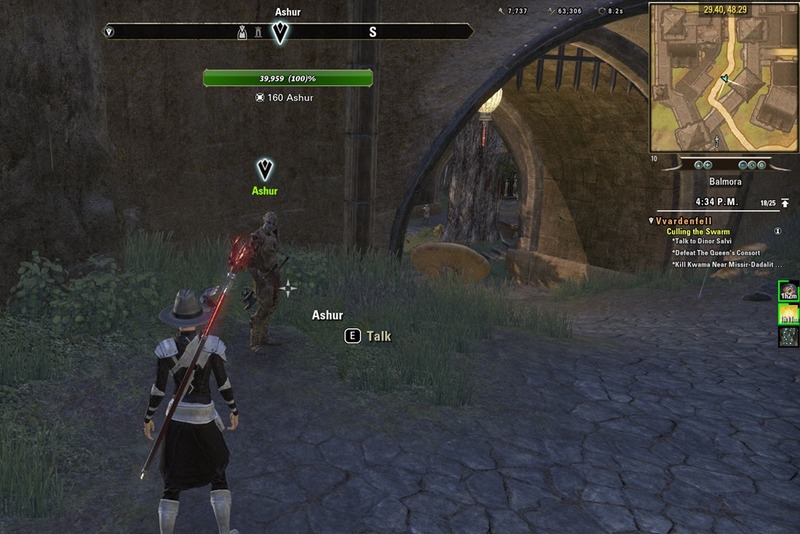 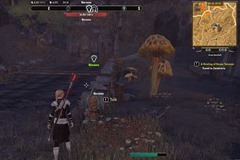 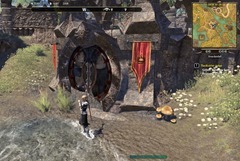 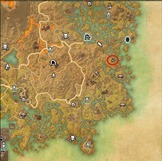 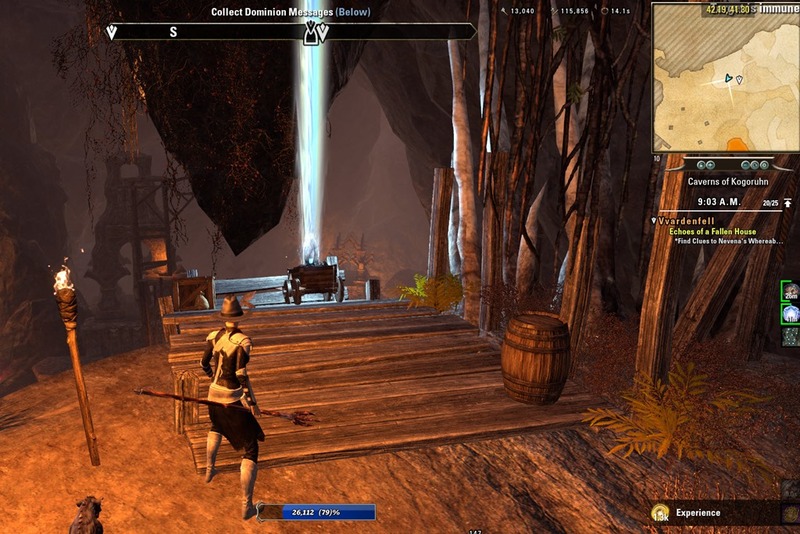 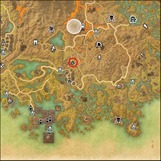 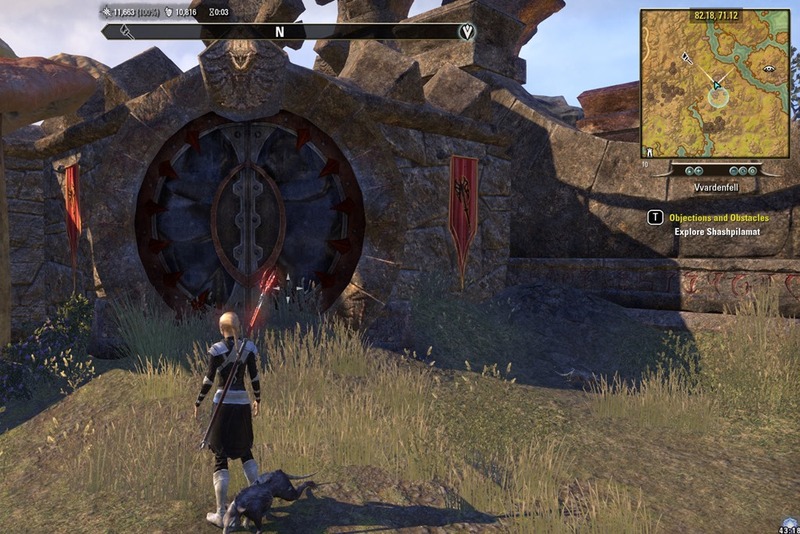 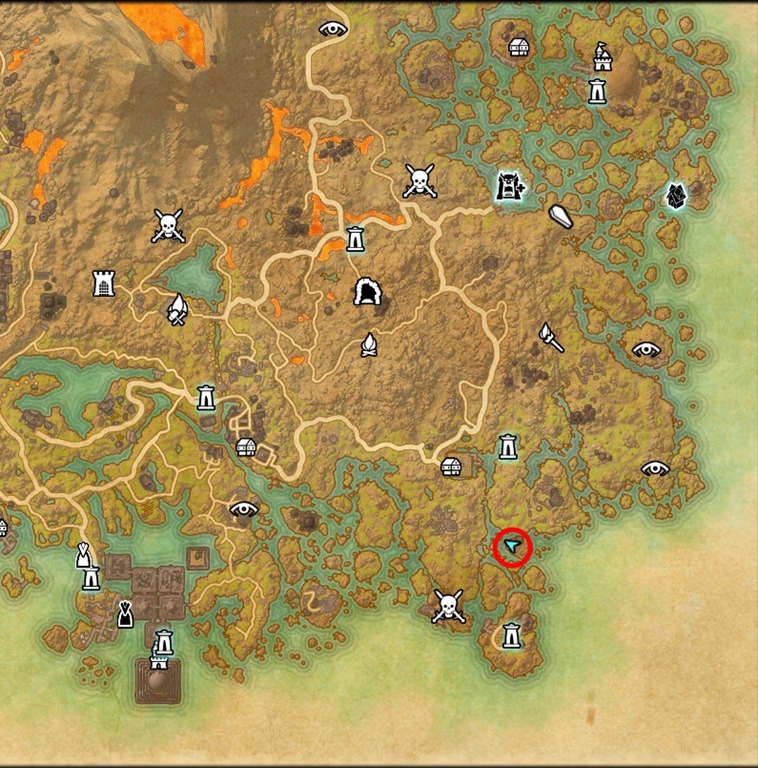 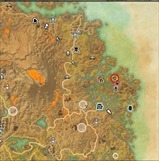 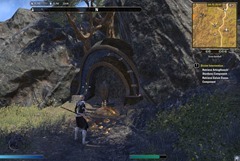 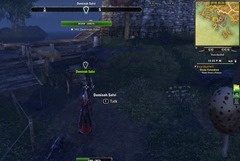 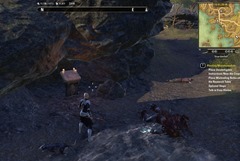 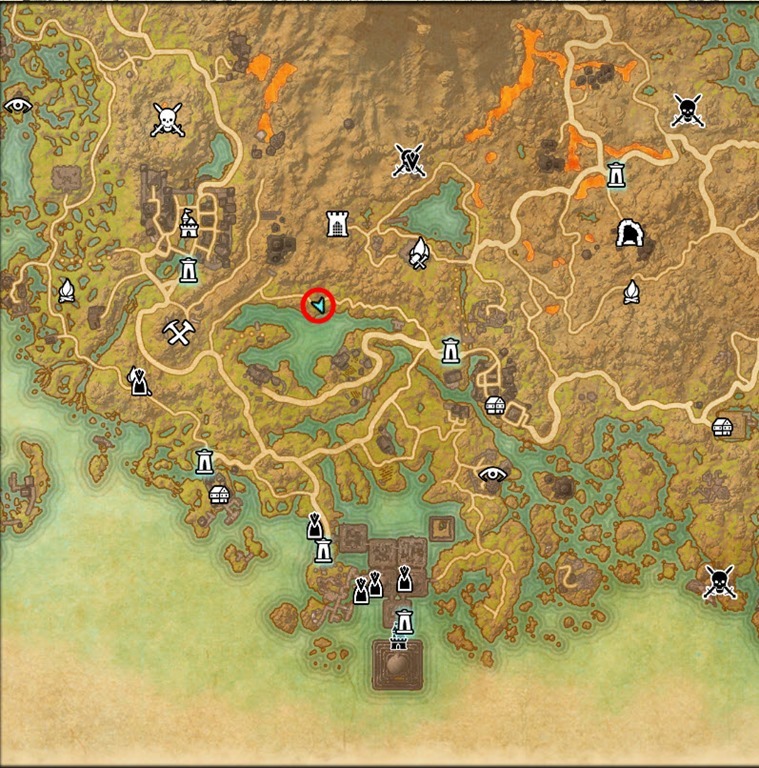 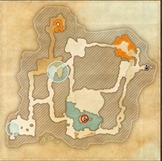 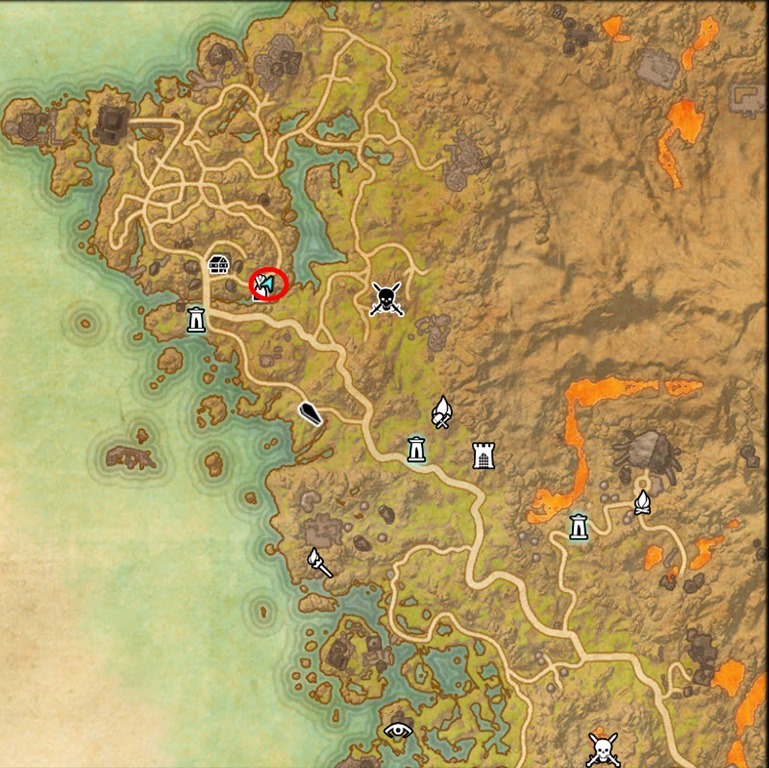 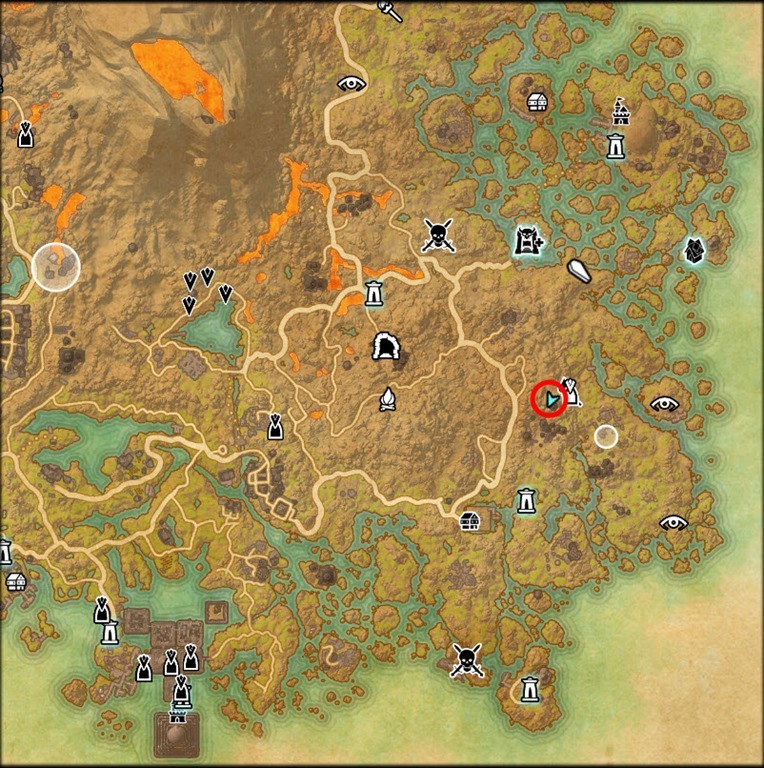 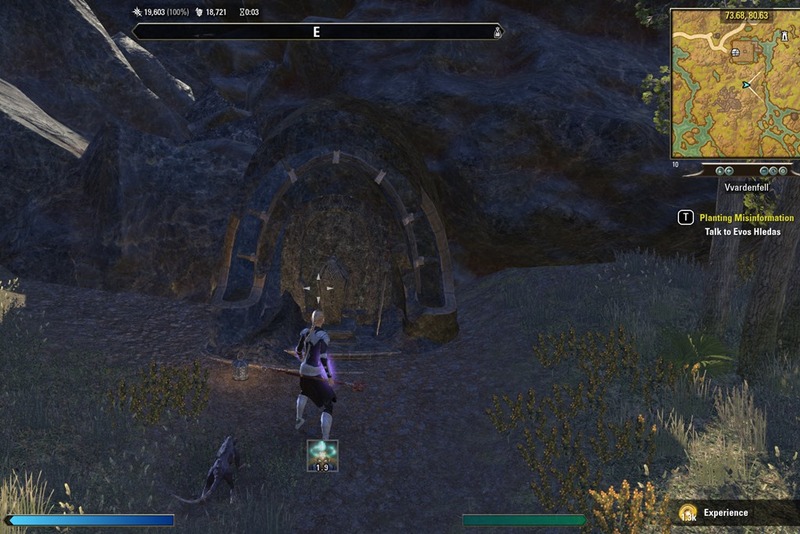 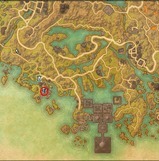 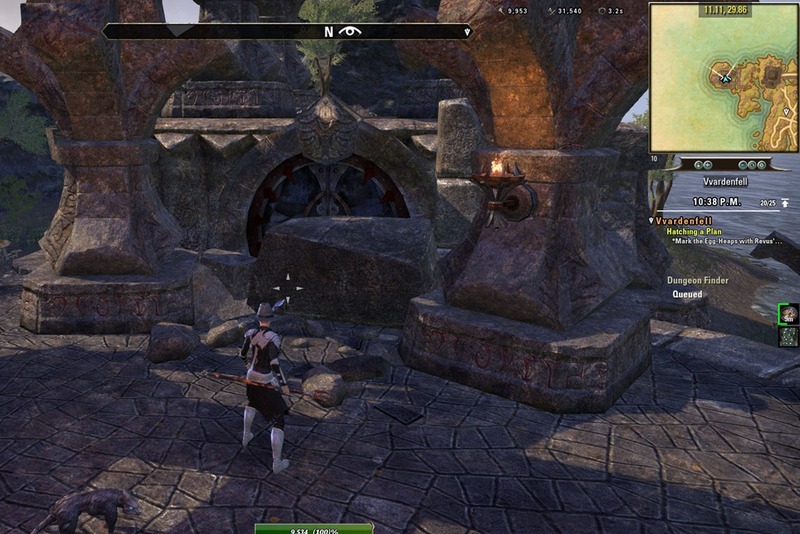 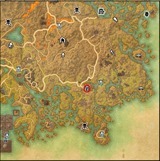 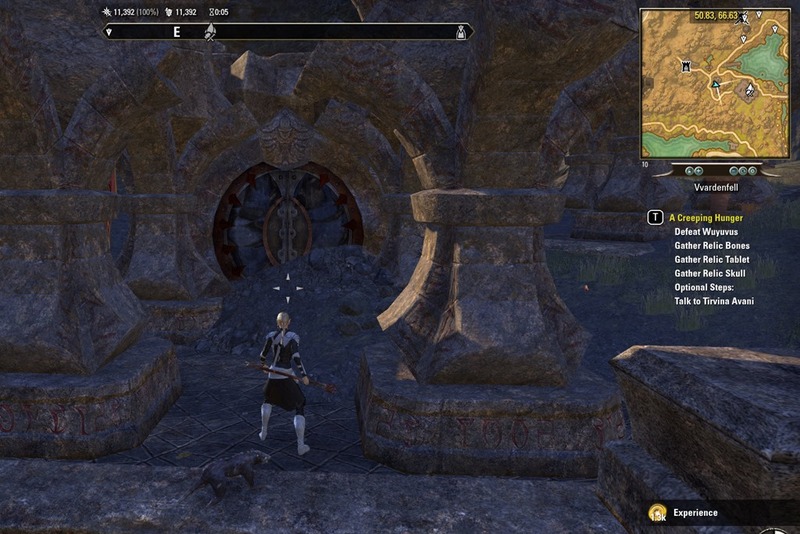 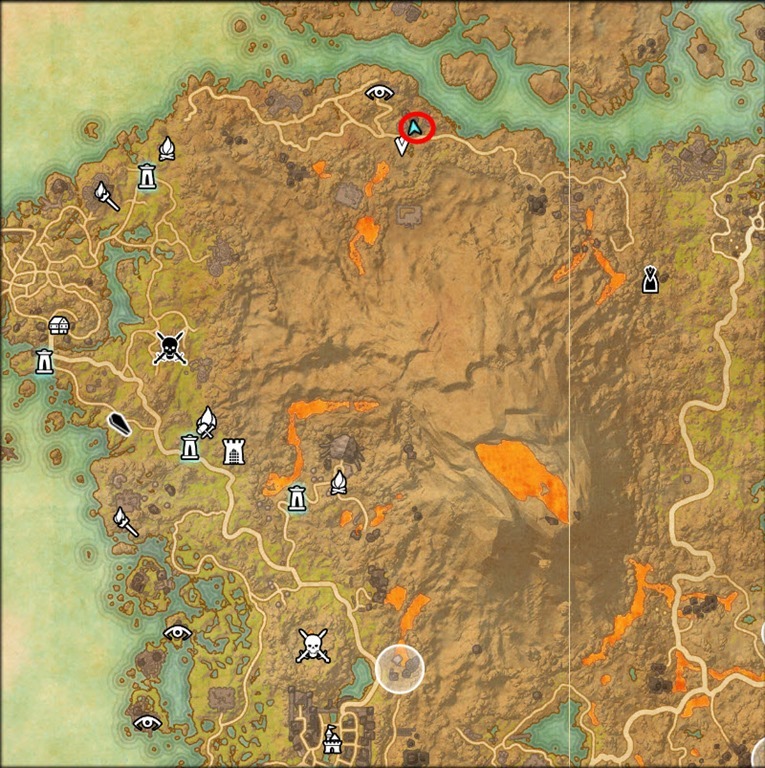 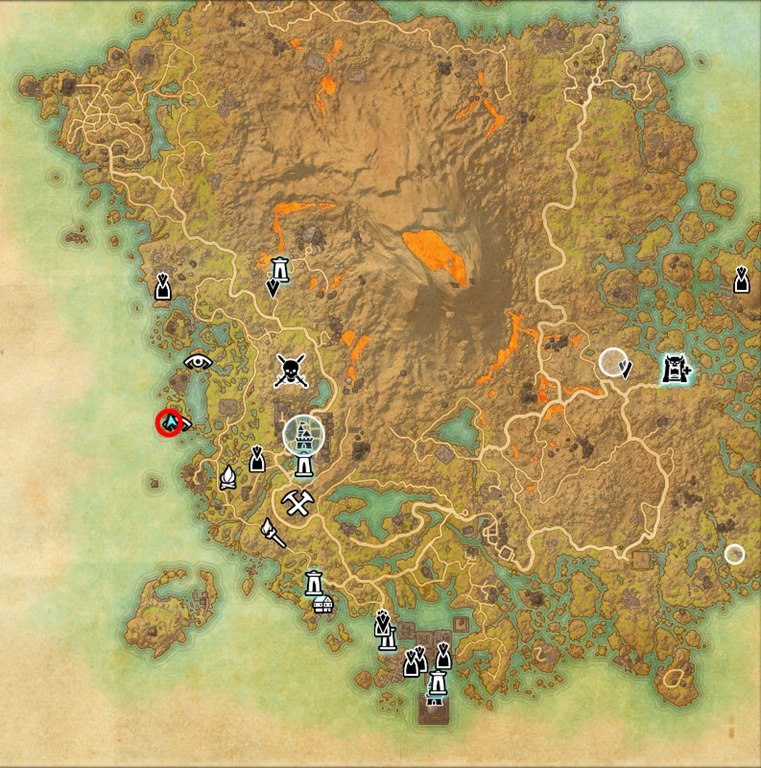 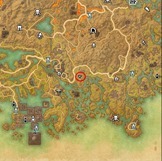 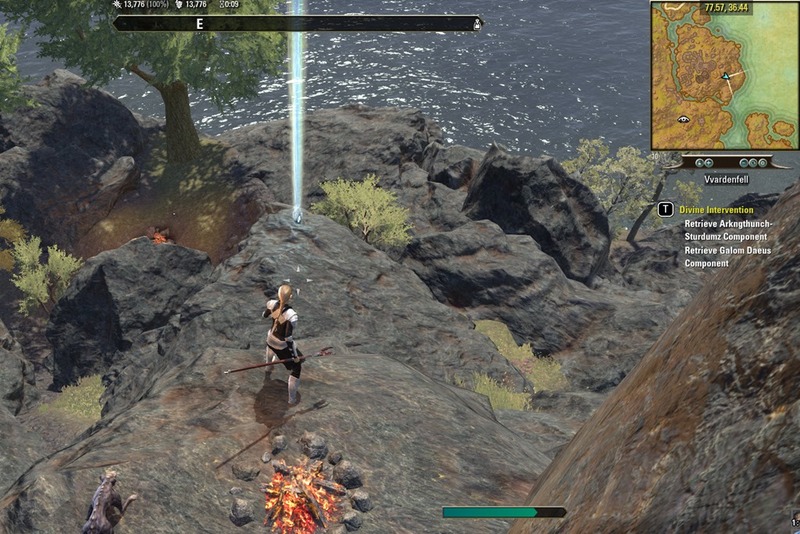 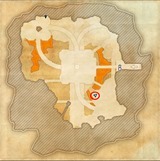 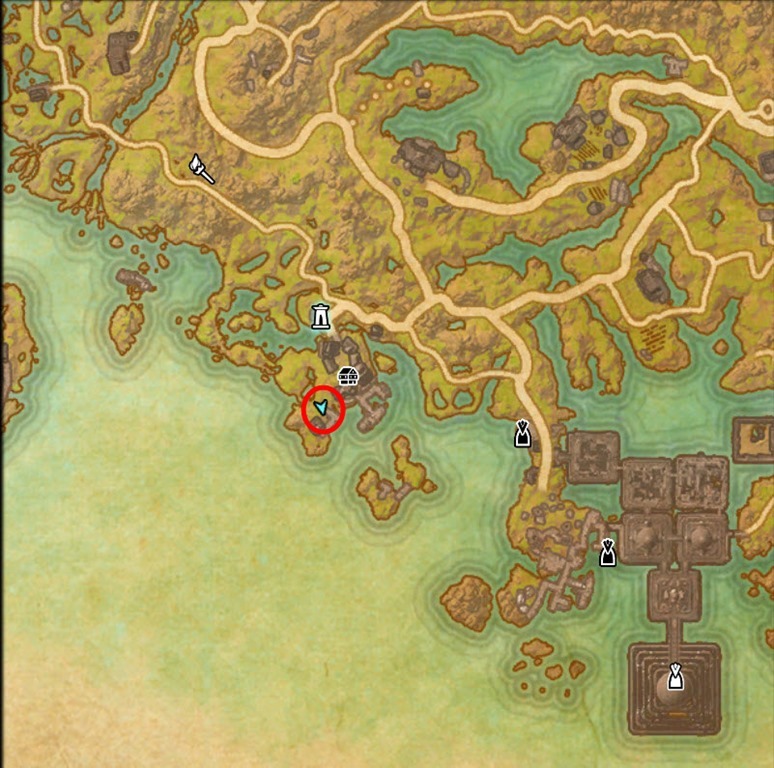 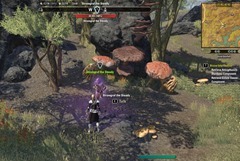 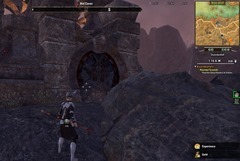 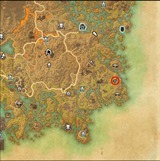 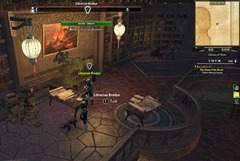 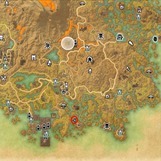 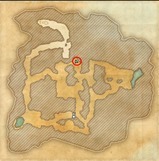 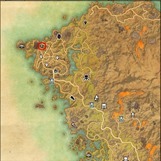 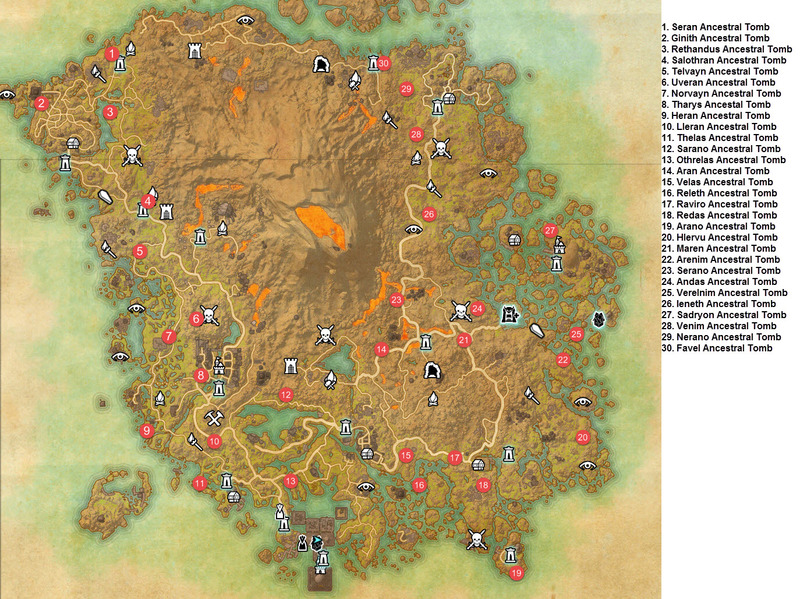 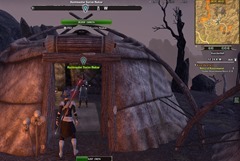 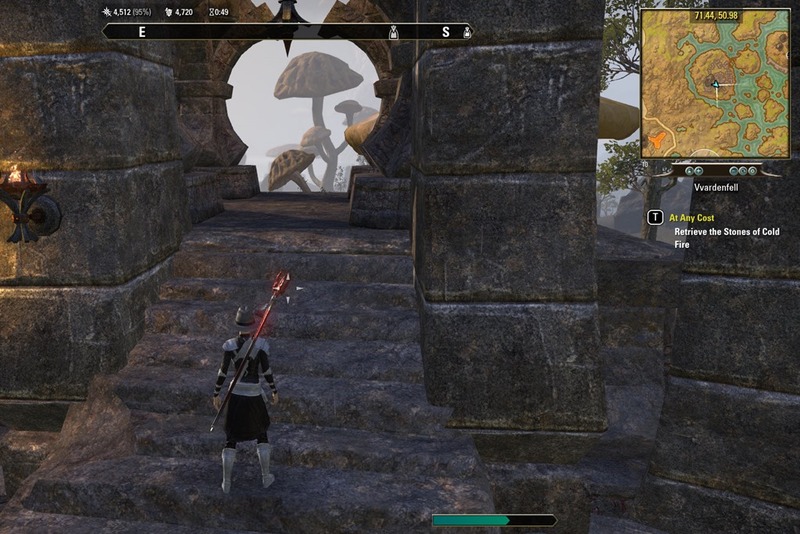 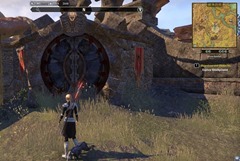 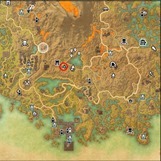 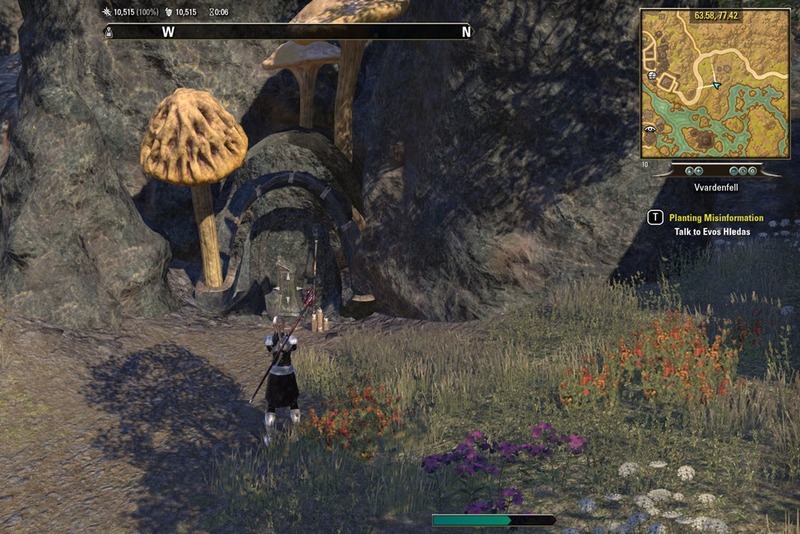 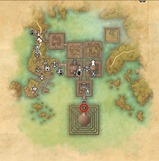 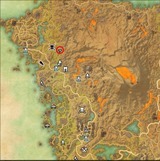 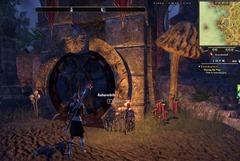 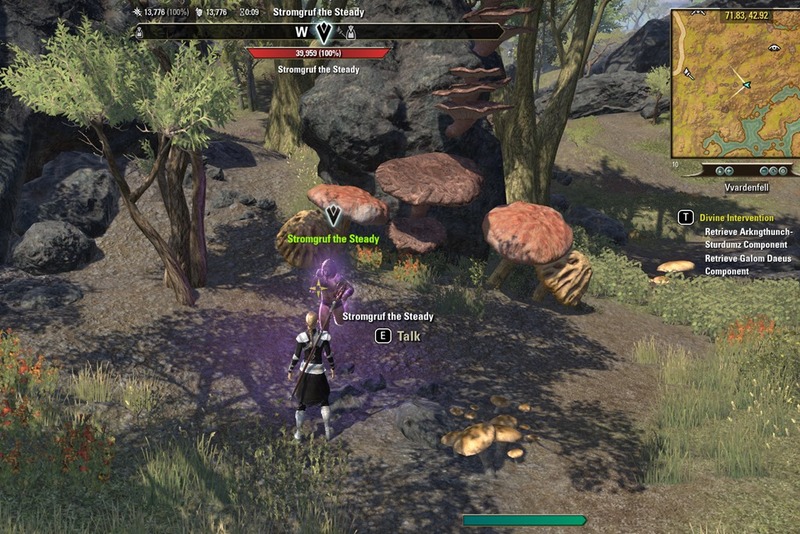 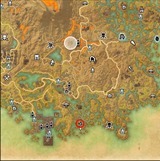 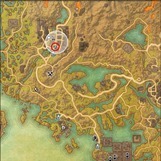 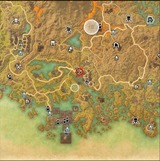 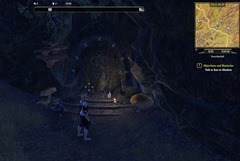 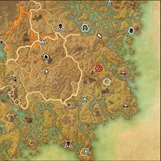 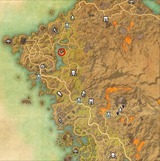 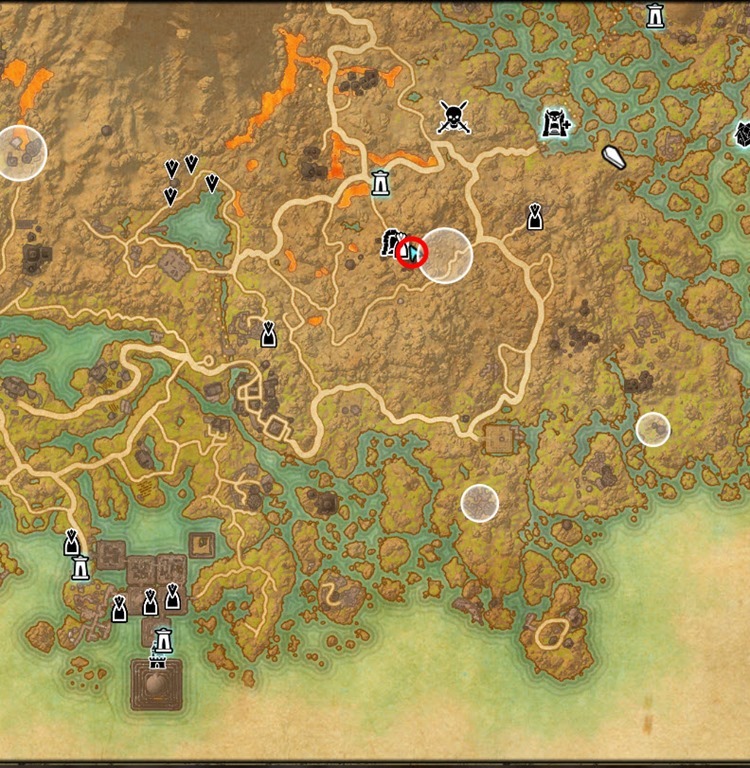 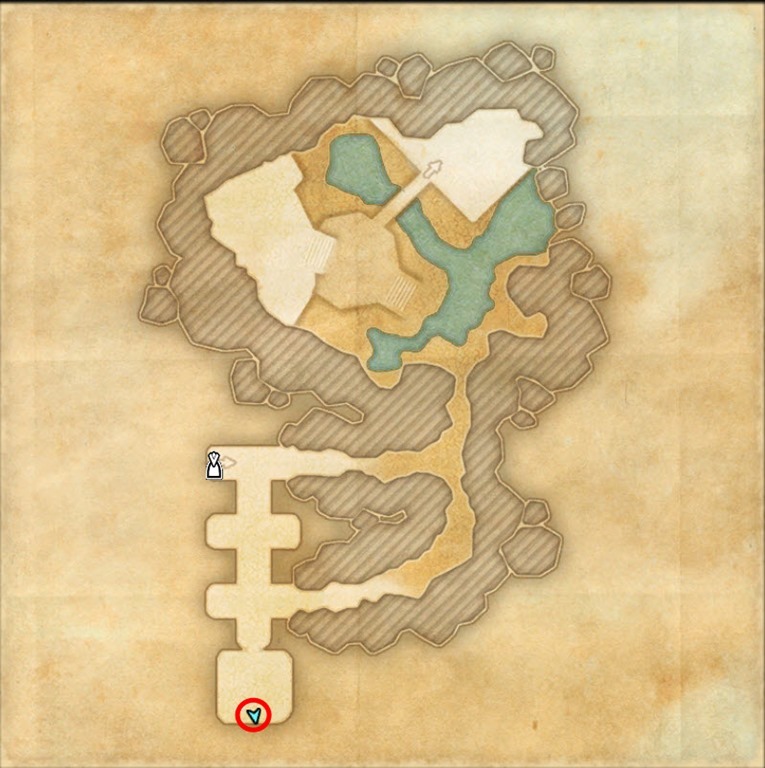 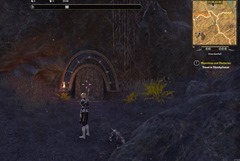 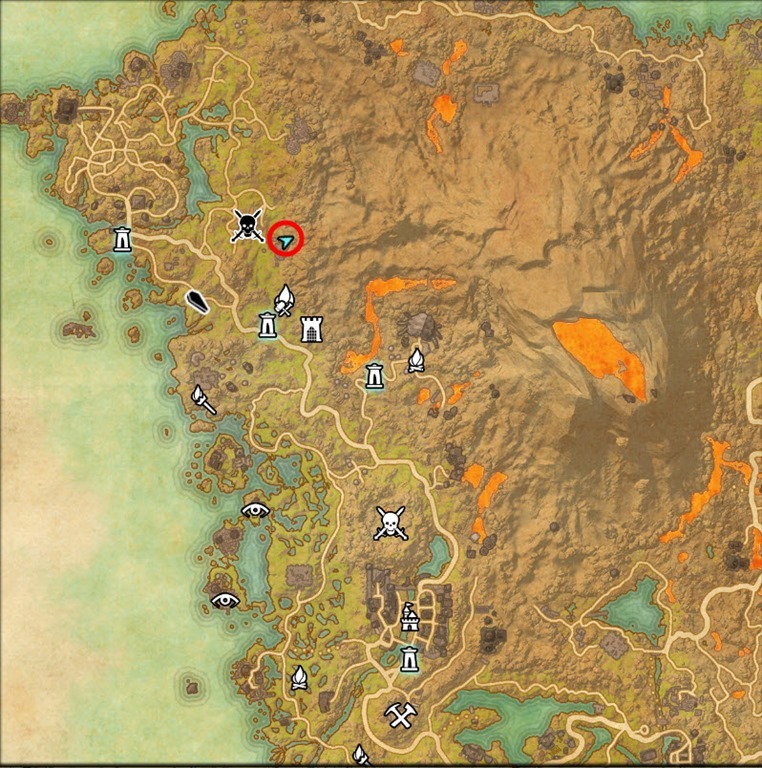 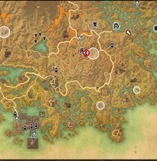 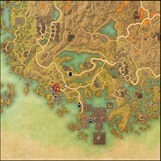 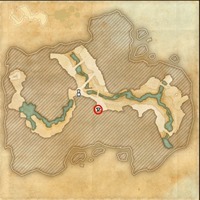 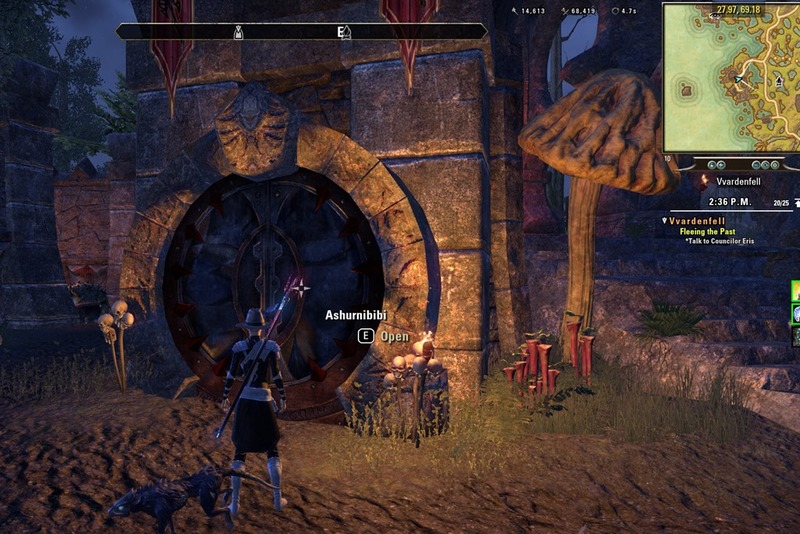 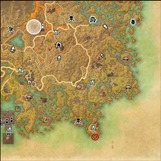 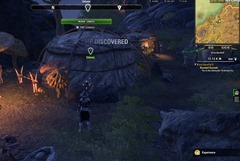 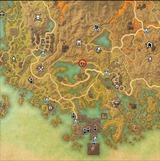 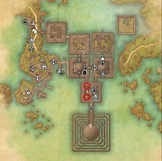 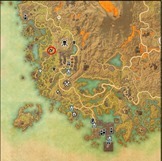 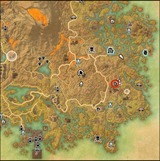 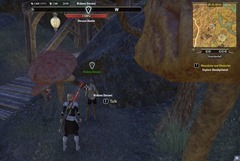 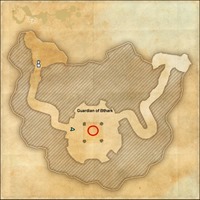 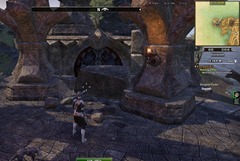 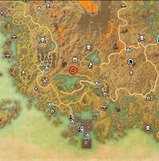 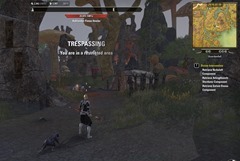 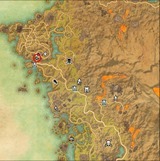 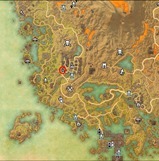 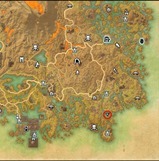 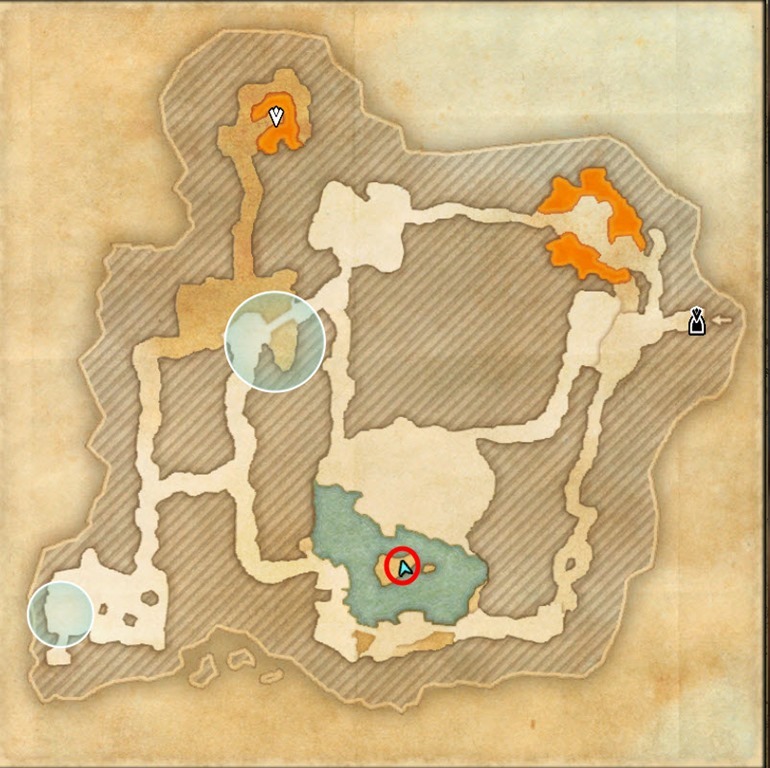 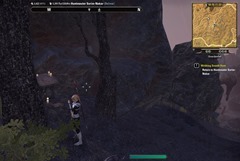 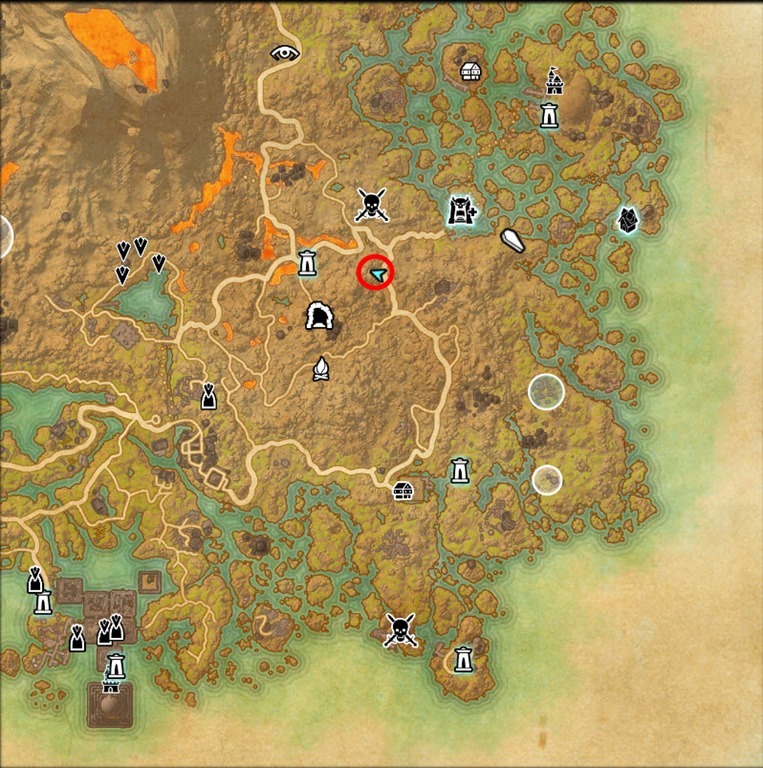 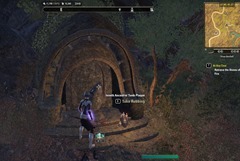 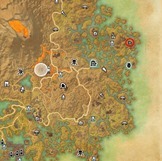 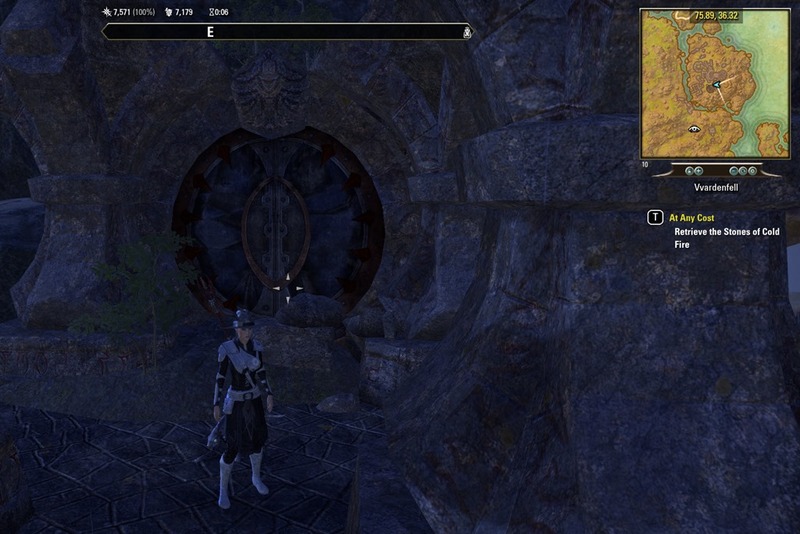 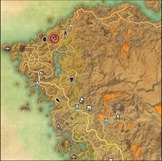 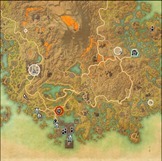 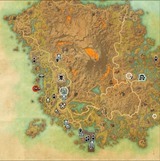 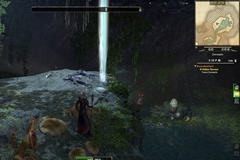 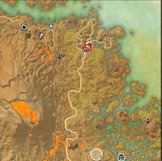 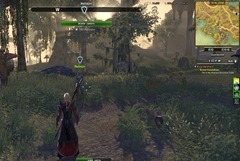 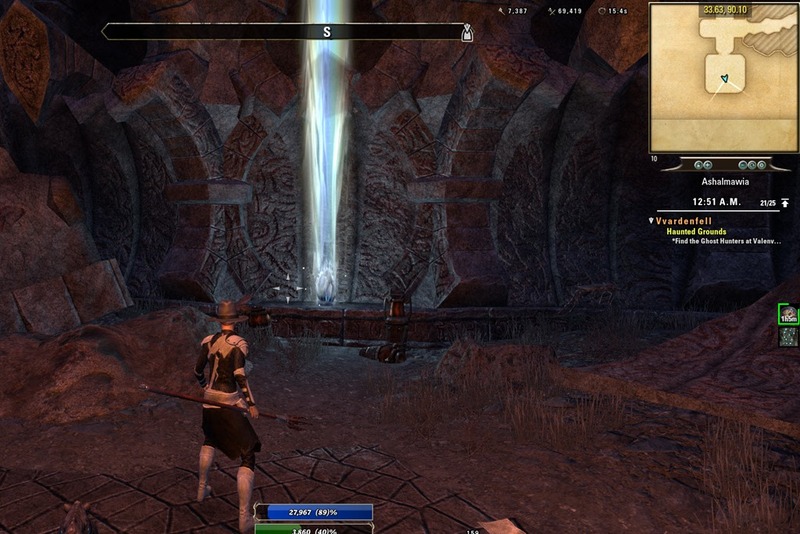 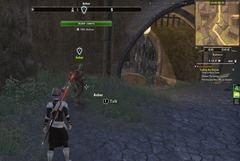 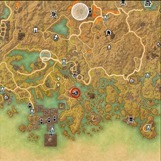 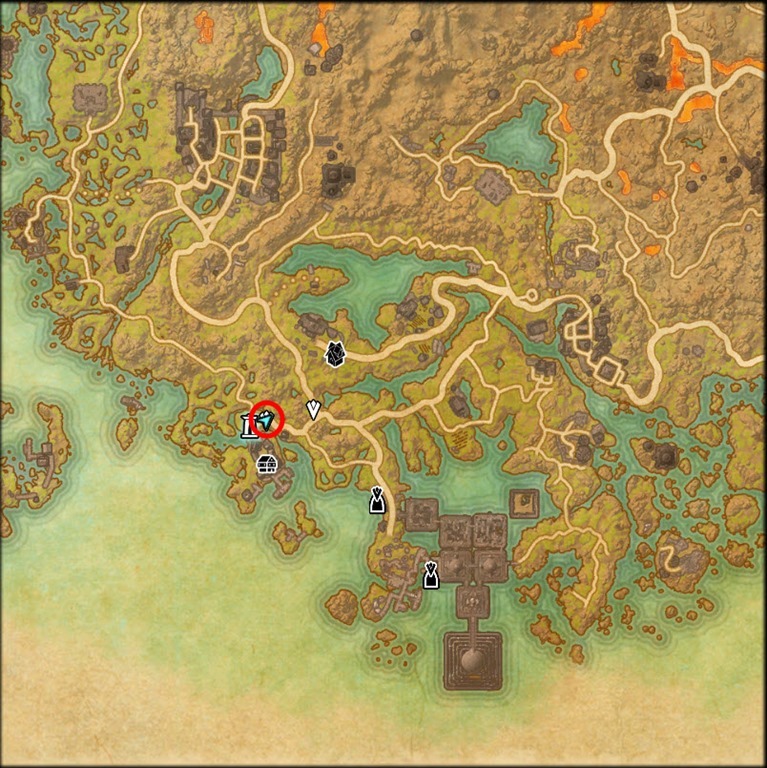 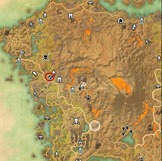 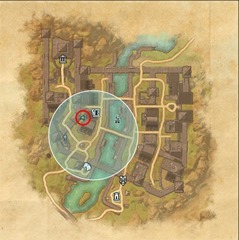 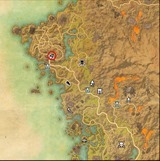 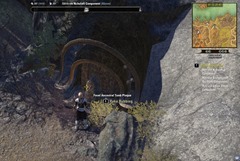 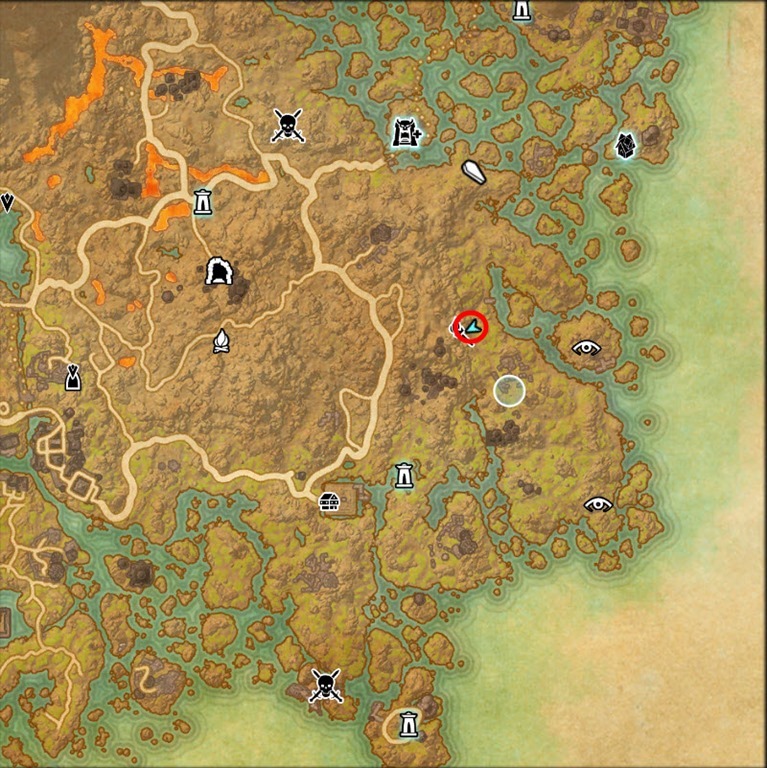 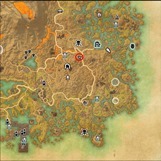 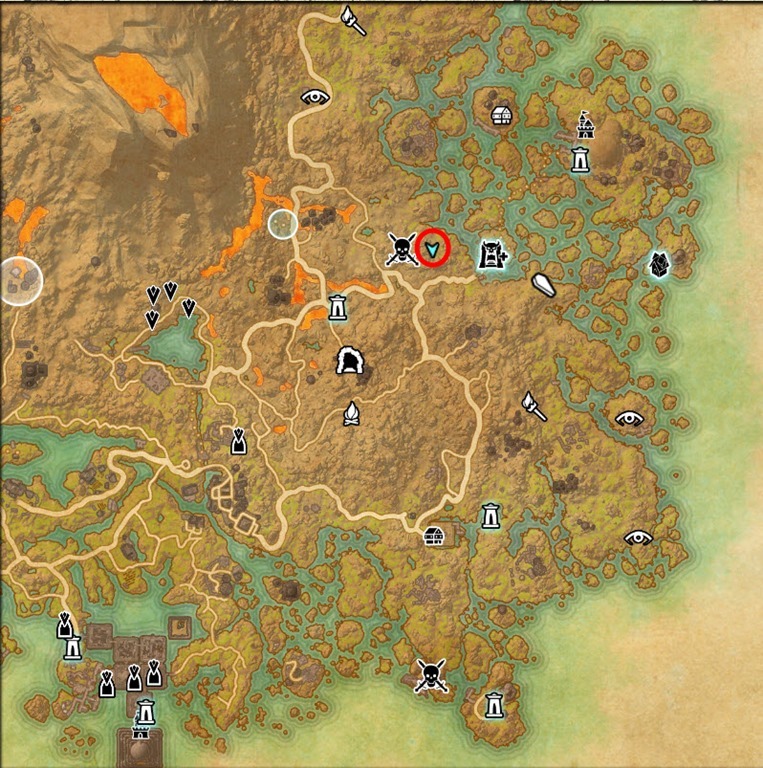 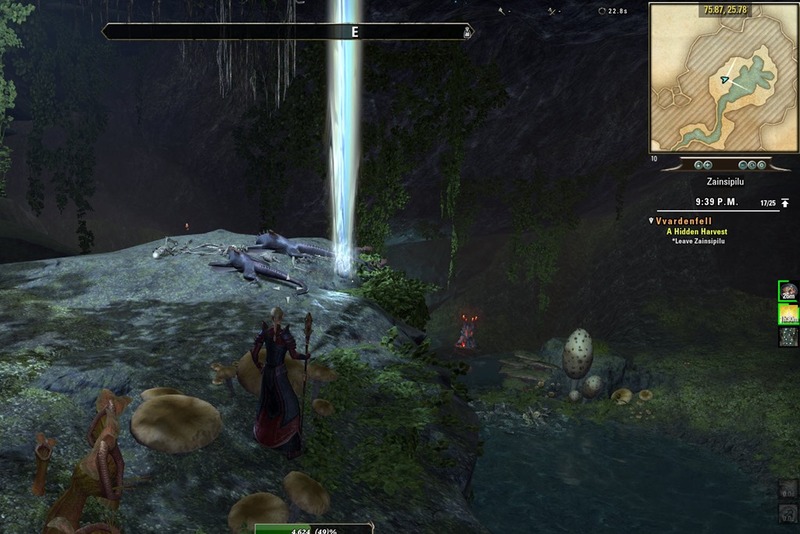 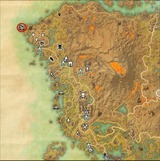 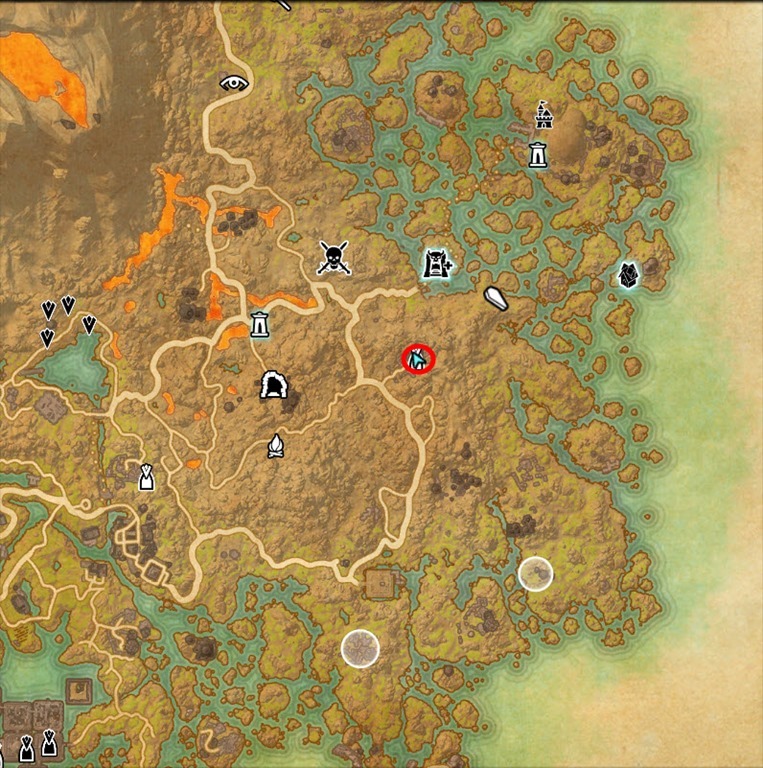 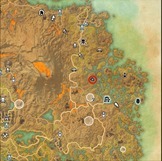 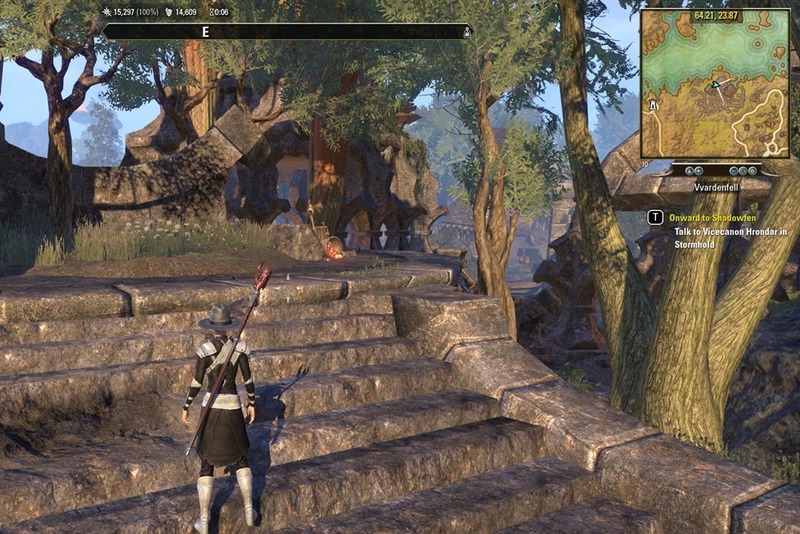 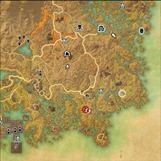 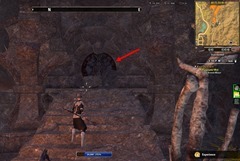 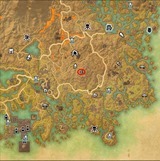 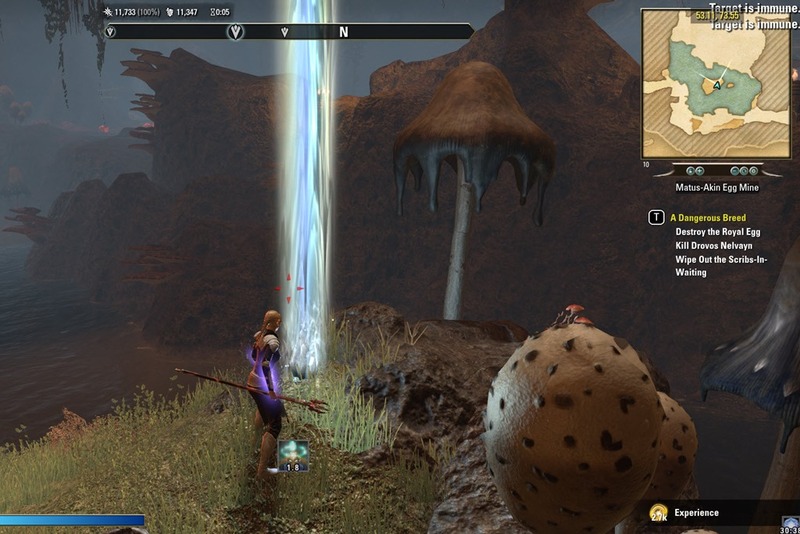 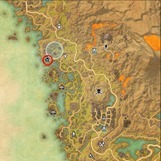 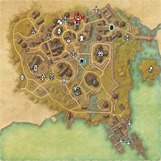 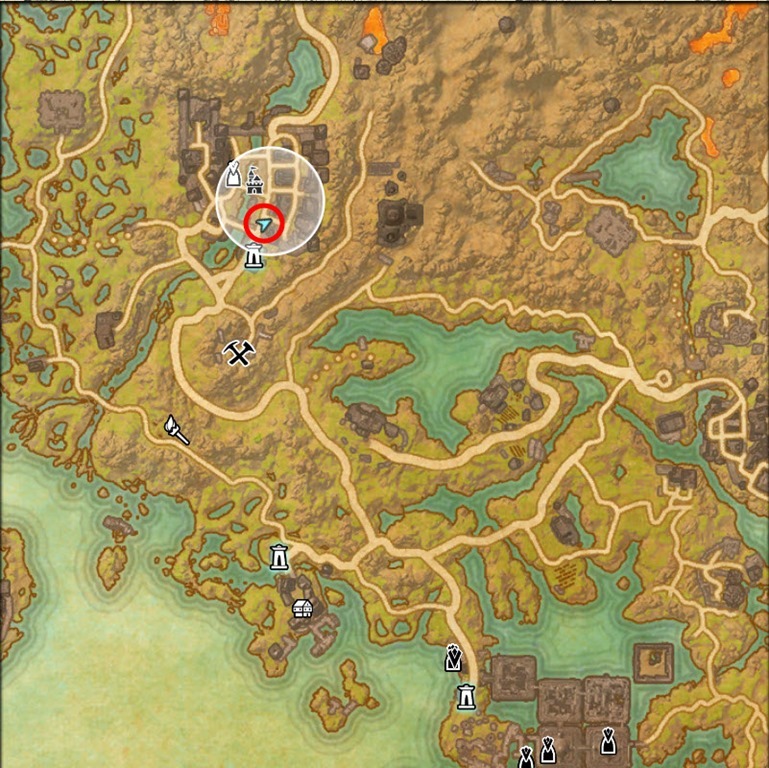 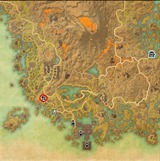 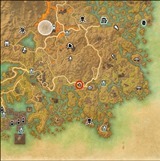 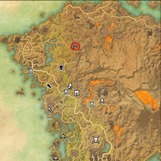 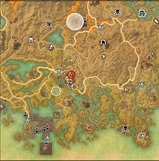 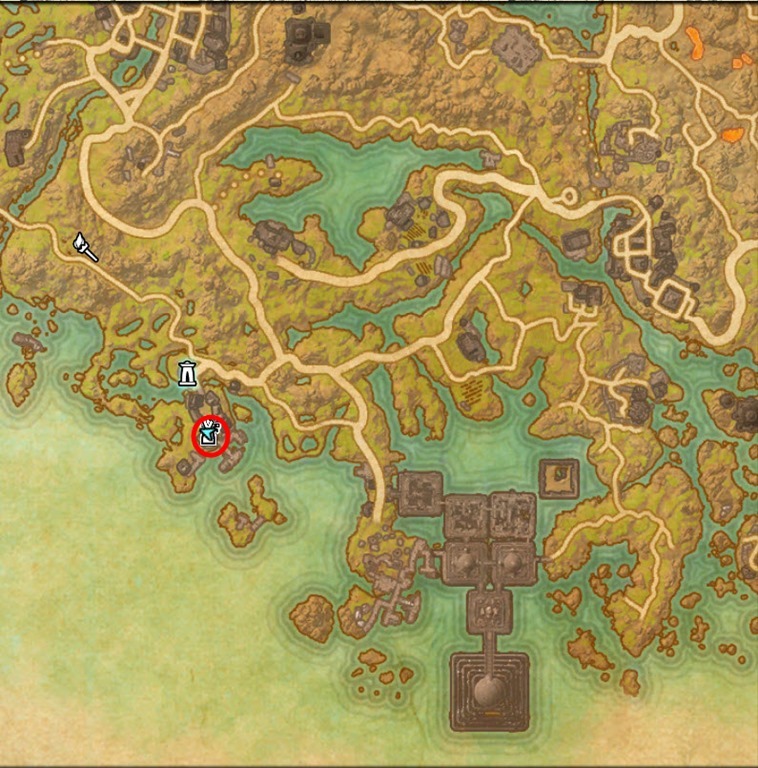 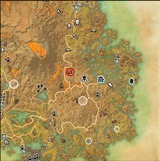 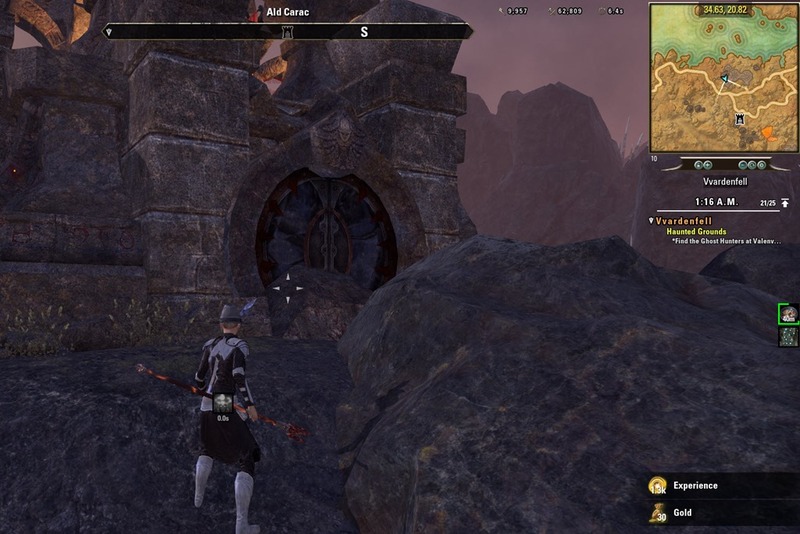 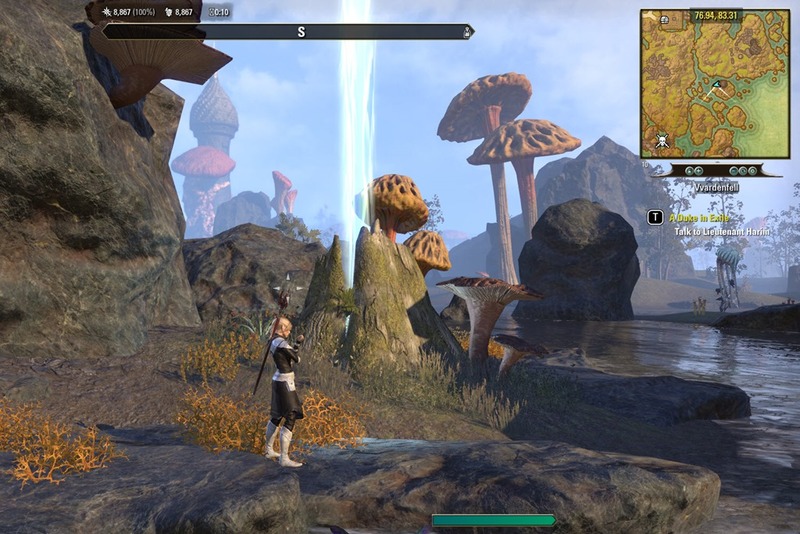 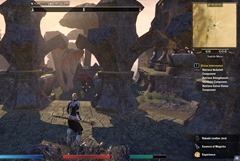 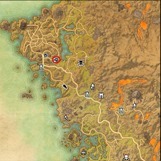 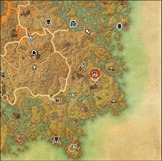 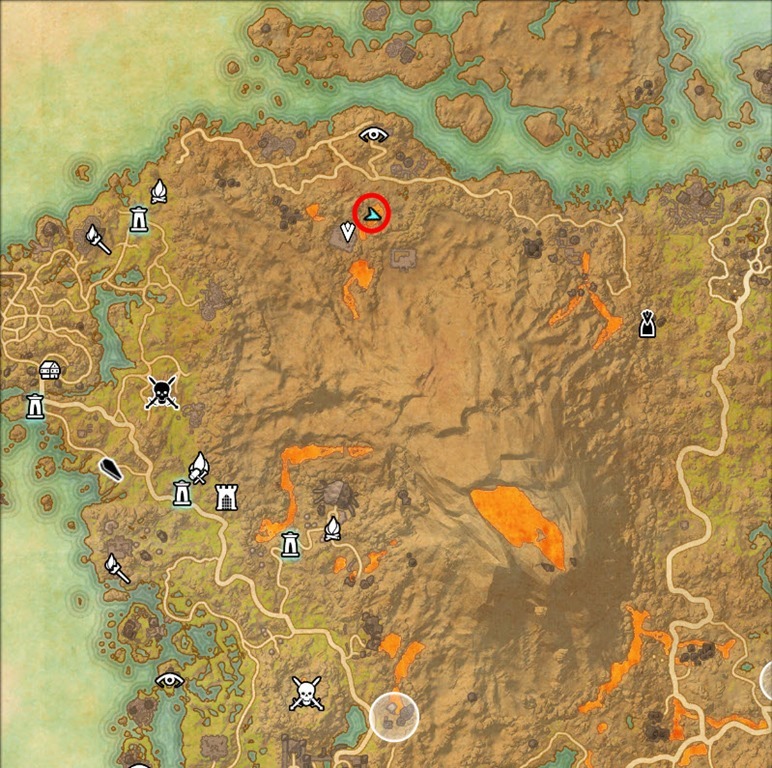 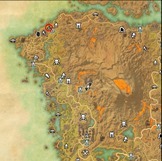 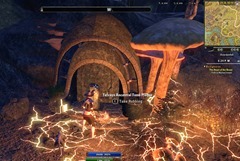 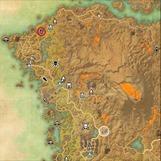 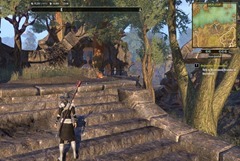 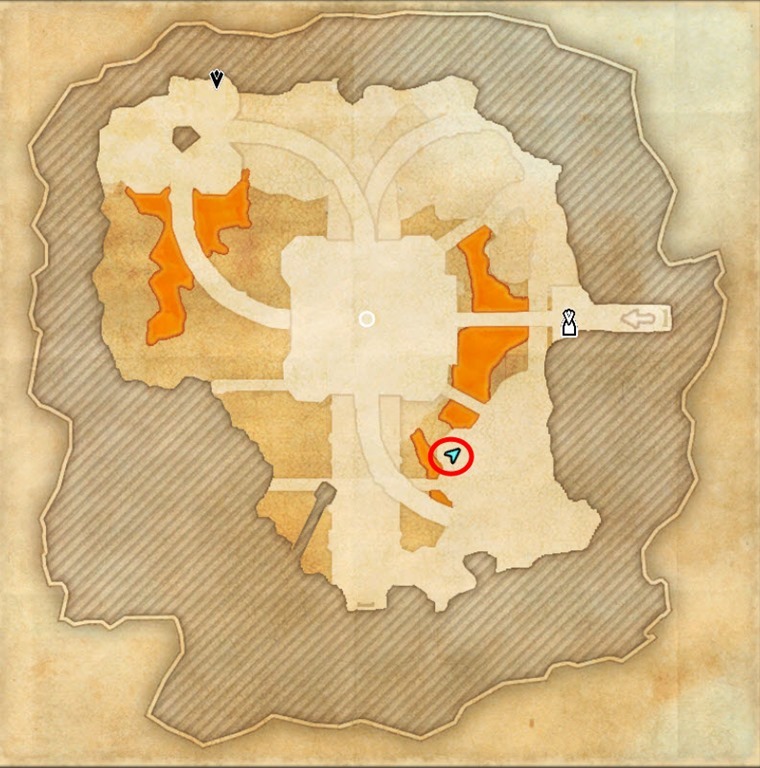 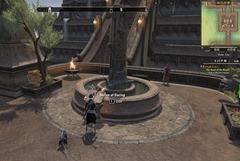 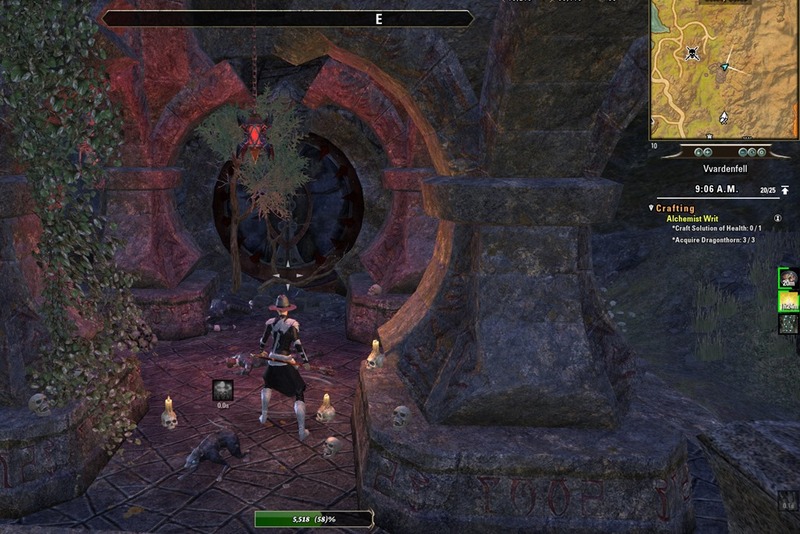 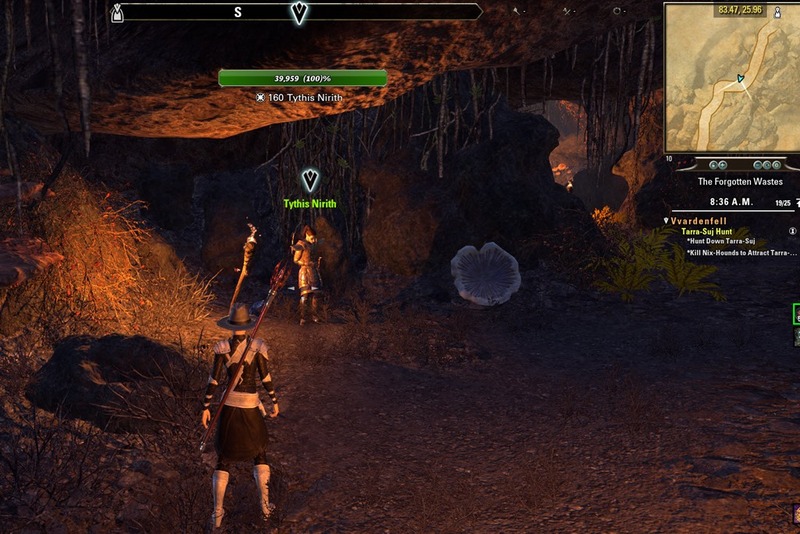 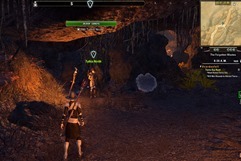 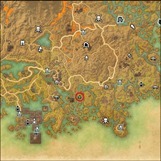 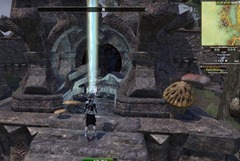 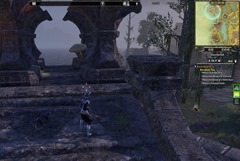 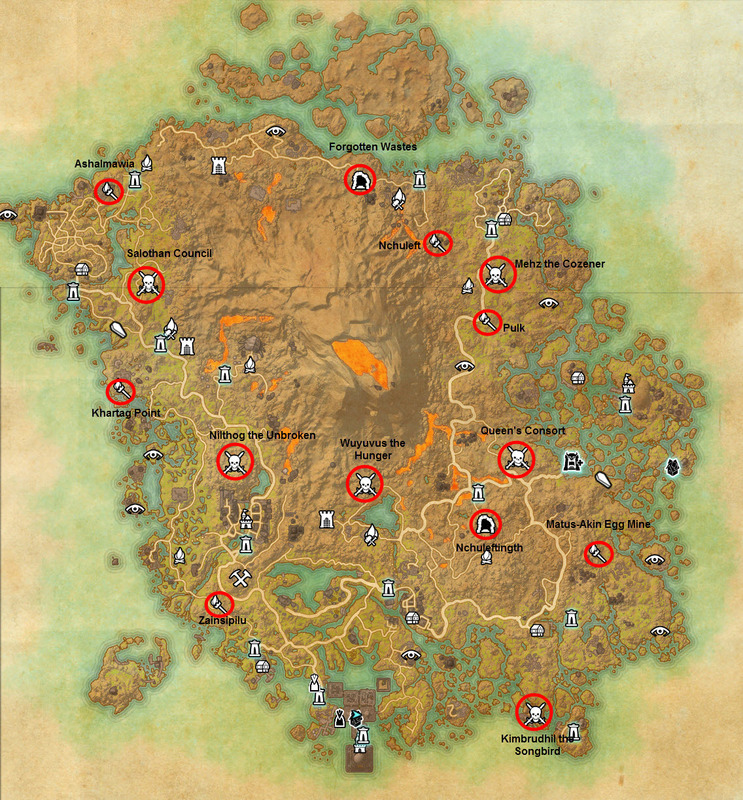 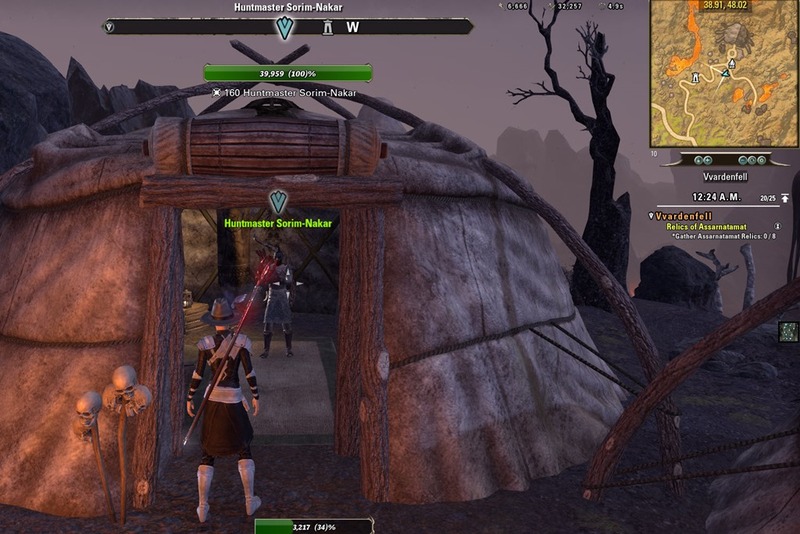 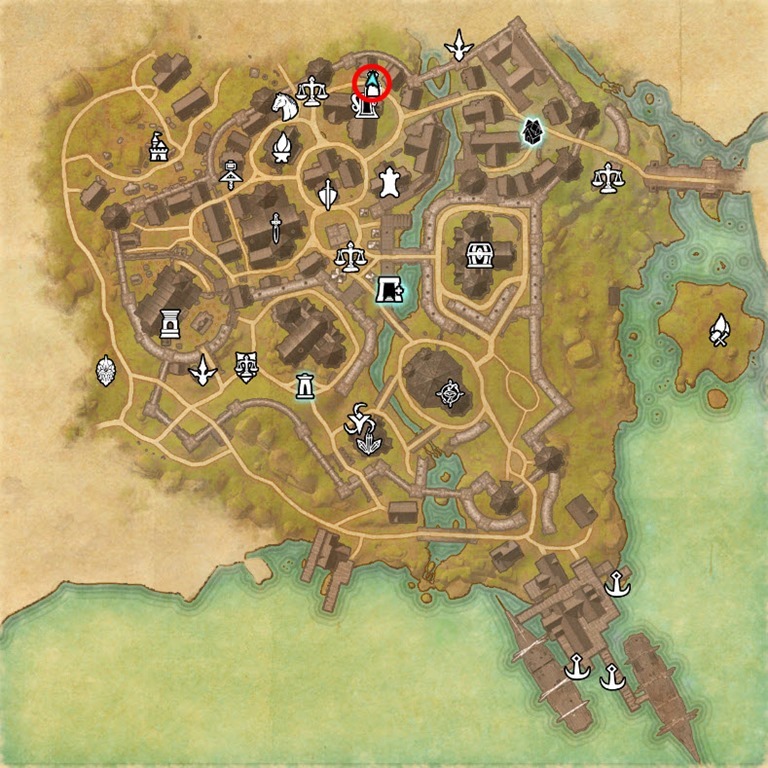 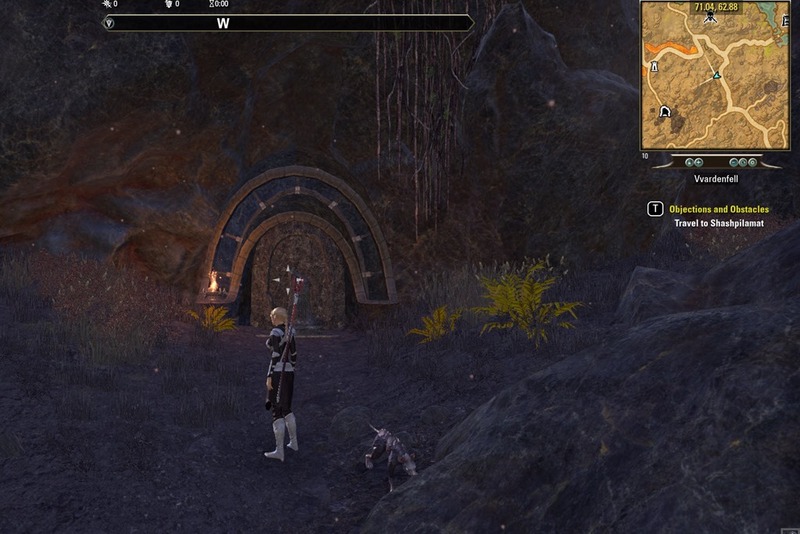 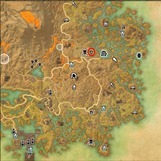 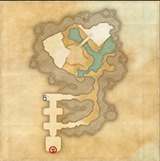 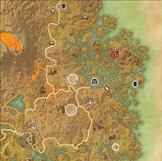 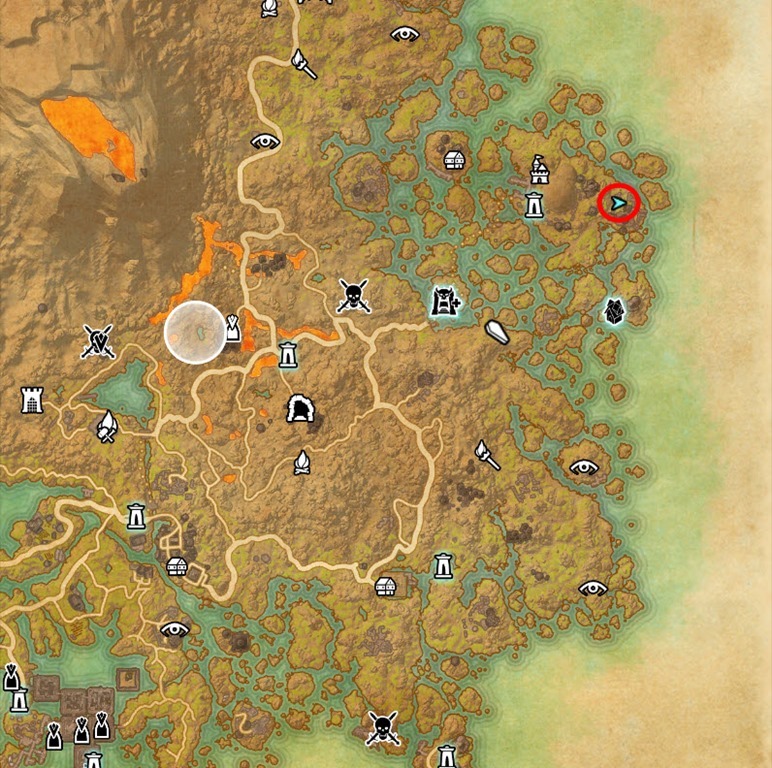 Elder Scrolls Online Morrowind Vvardenfell quests, skyshards, and achievements guide. 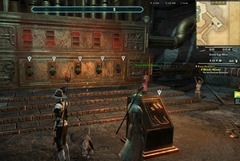 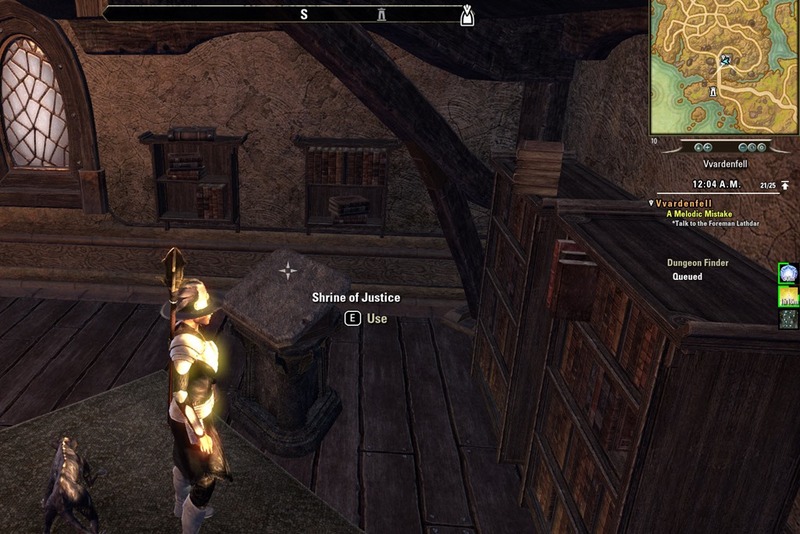 Quest giver: Beleru Omoril (world boss) and Traylan Omoril (solo) in Halls of Justice in Temple Canton of Vivec City. 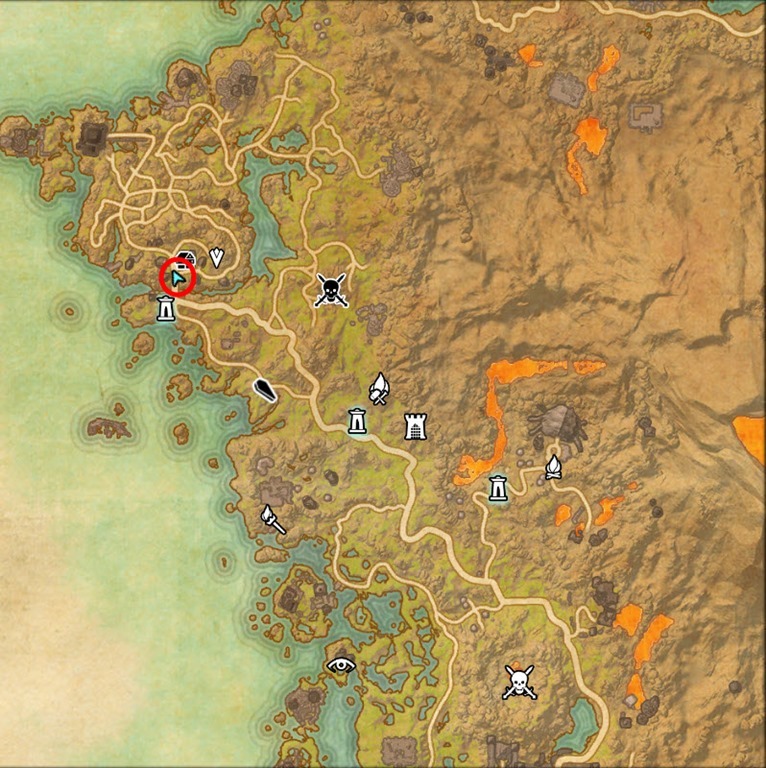 Prerequisites: Completing Ashlander Ties at Ald’rhun and then completing Ashlander Relations at Urshilaku Camp. 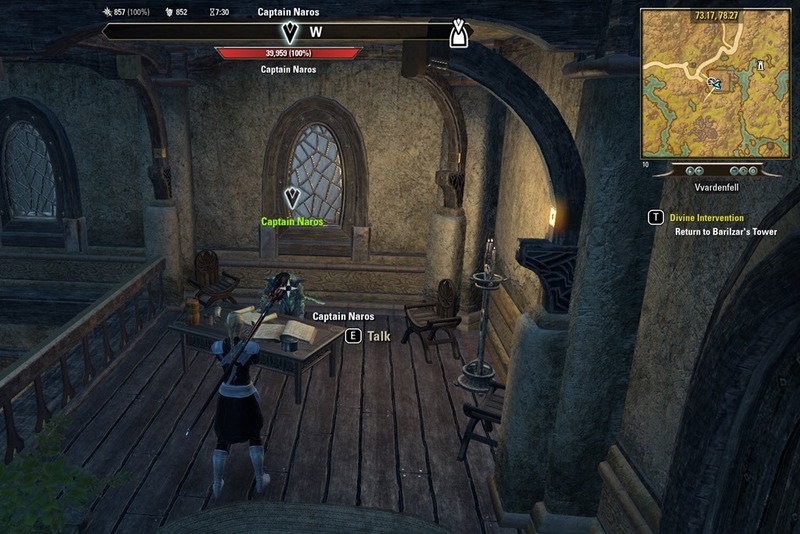 Talk to Rhea Opacarius at the Cloudy Dregs Inn in Wayrest in Stormhaven. 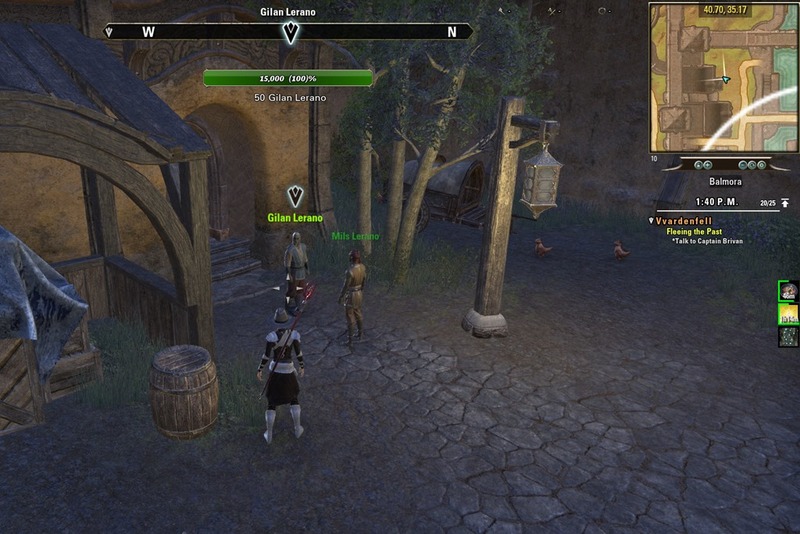 Other Inns will also have a NPC named Alessio Guillion that send you to her. 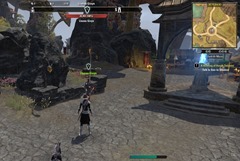 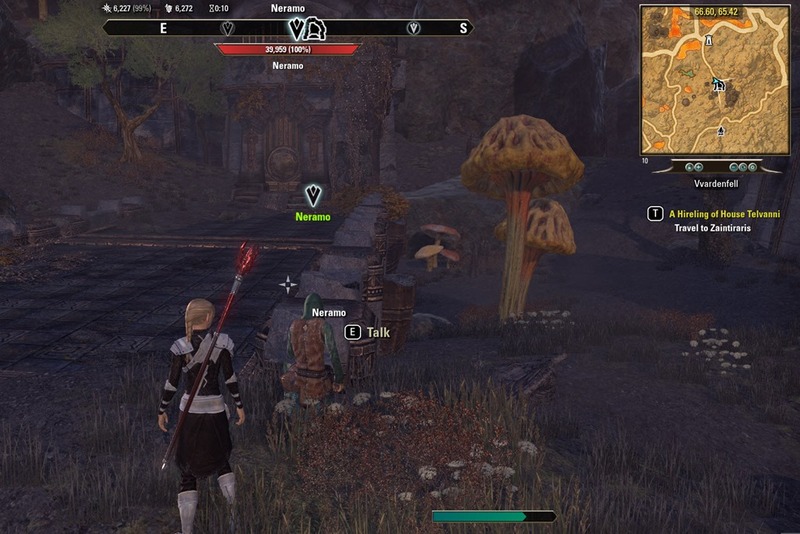 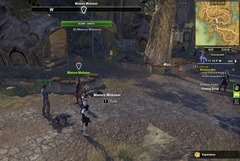 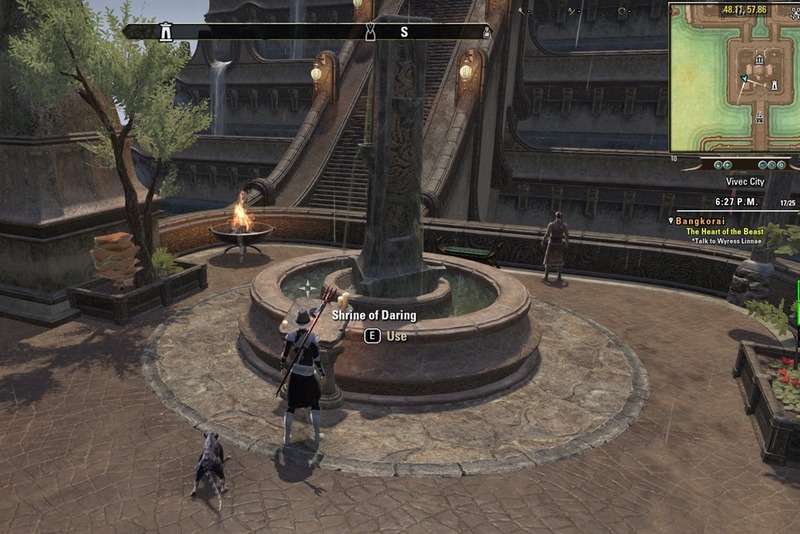 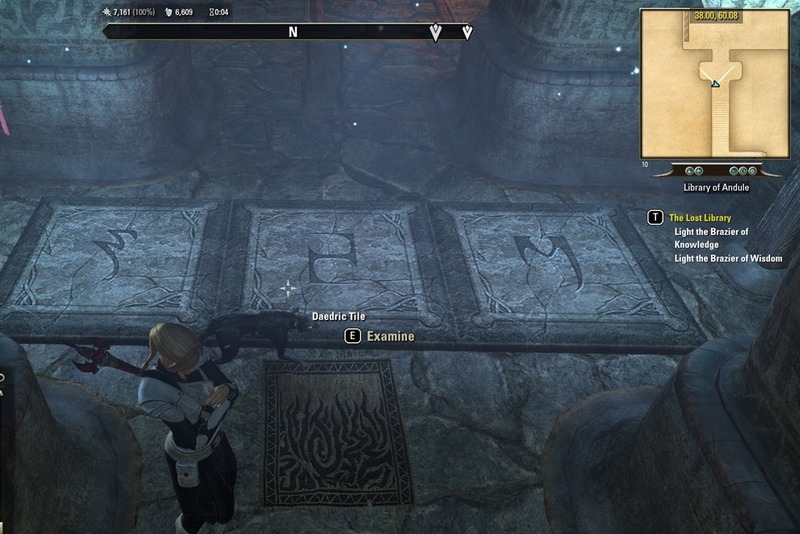 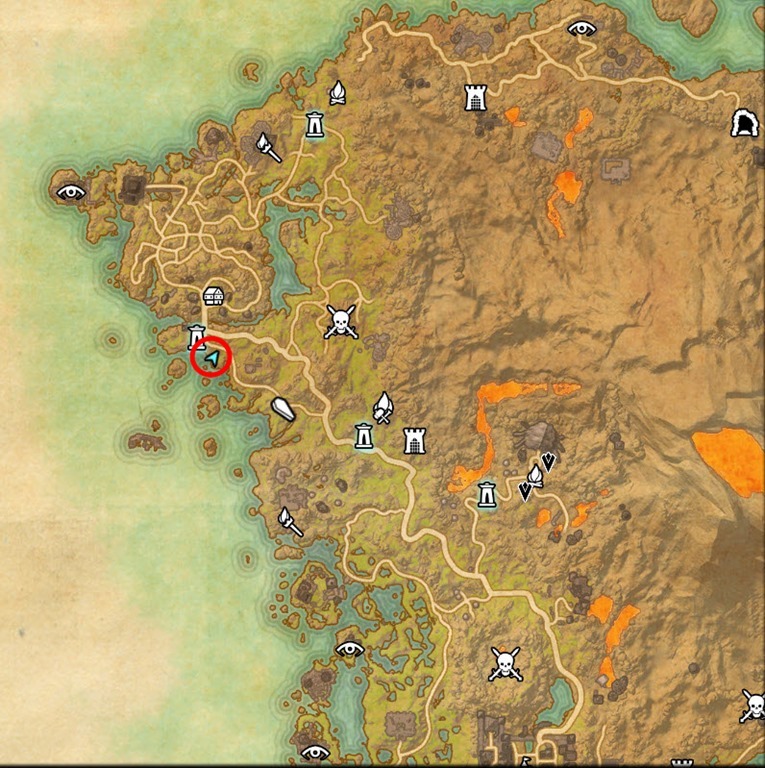 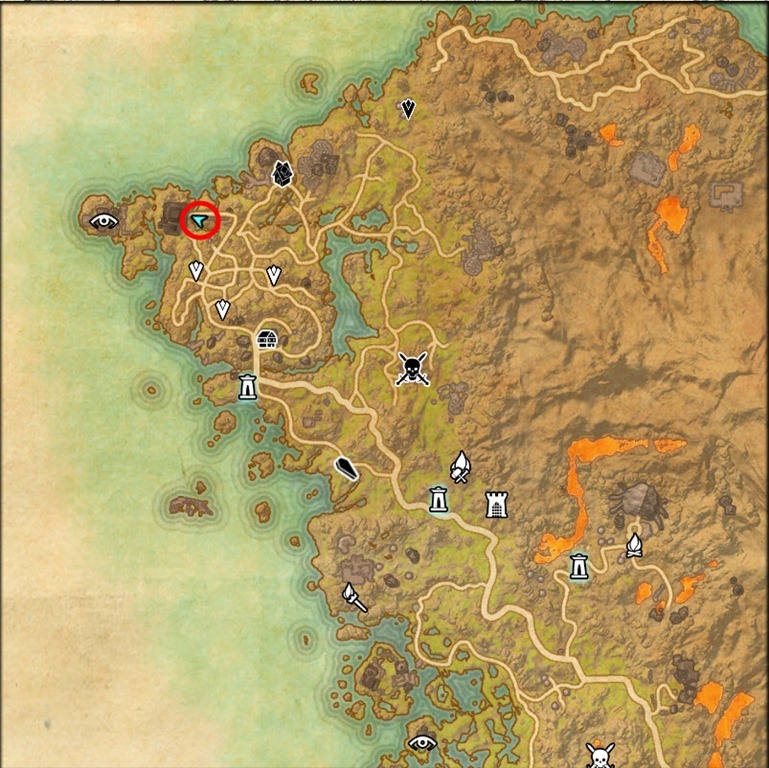 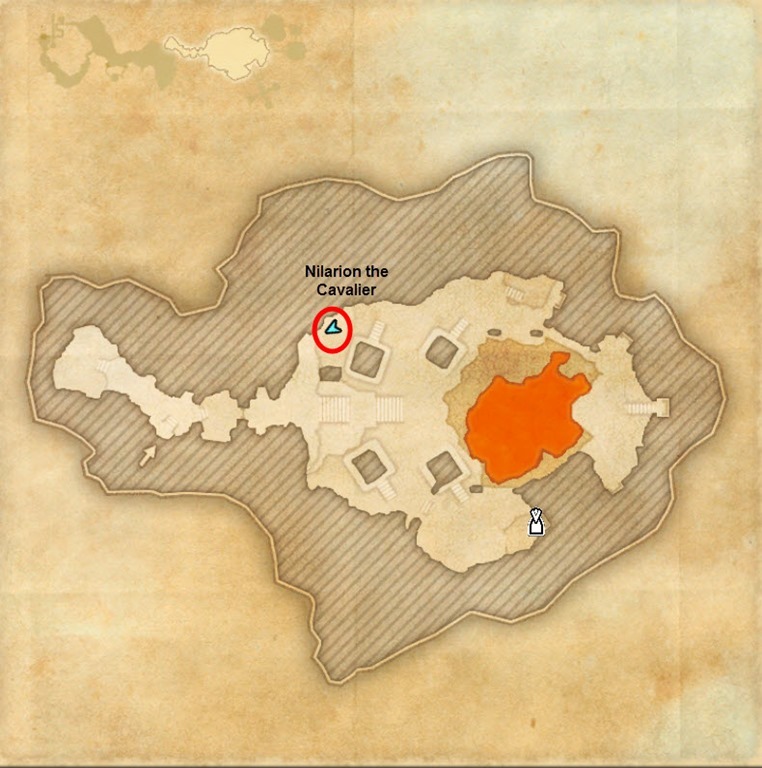 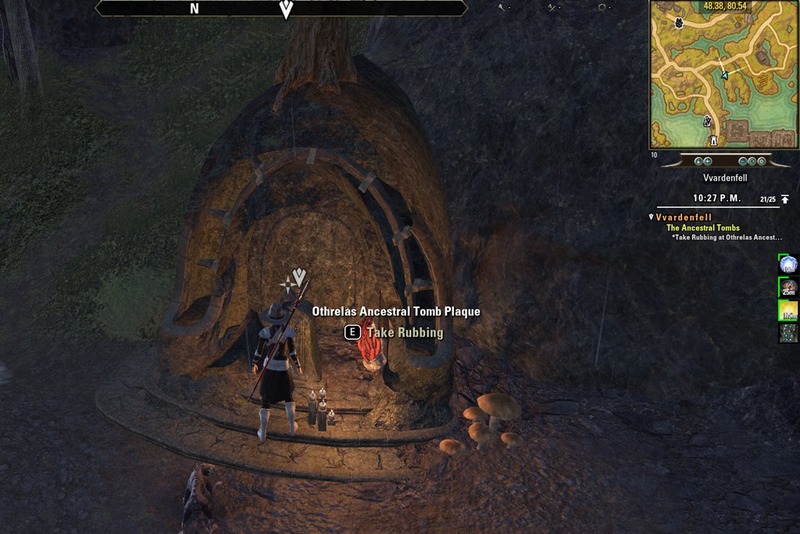 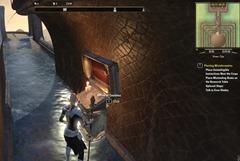 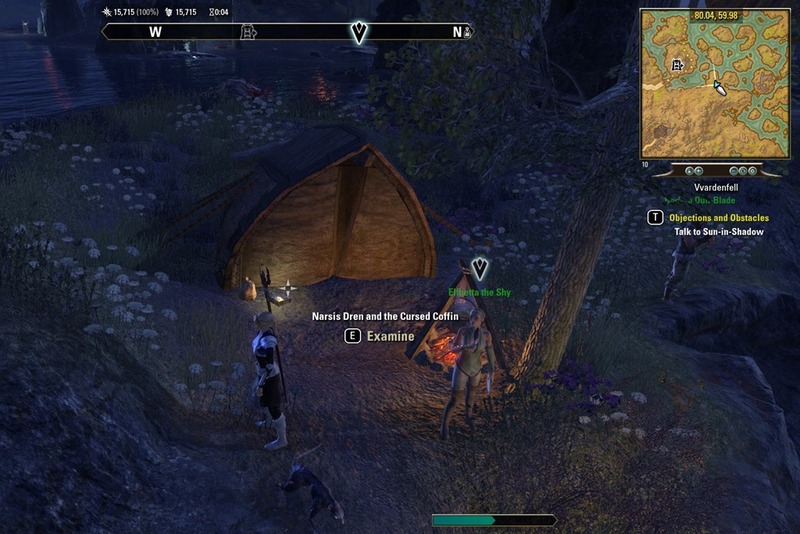 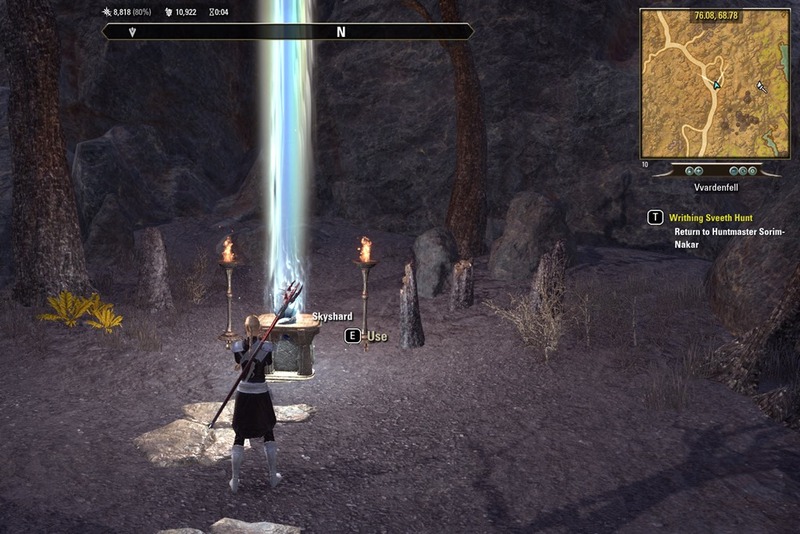 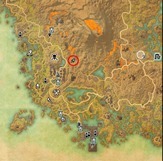 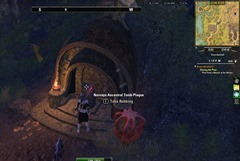 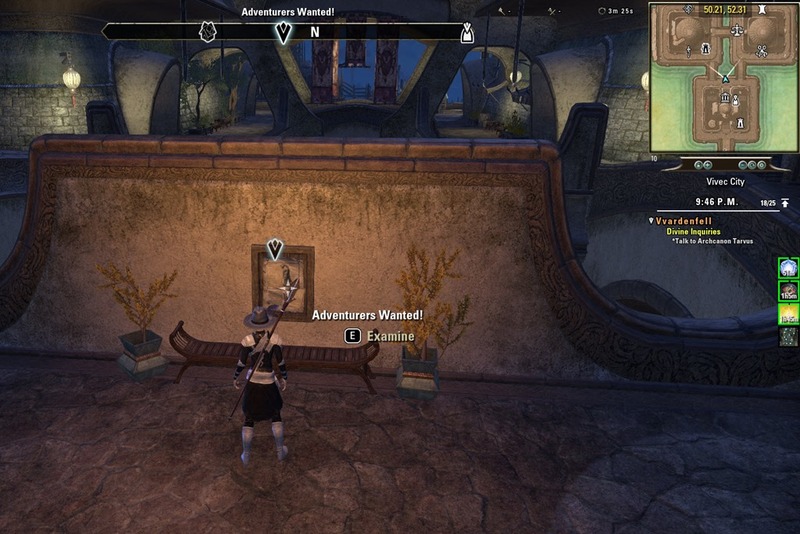 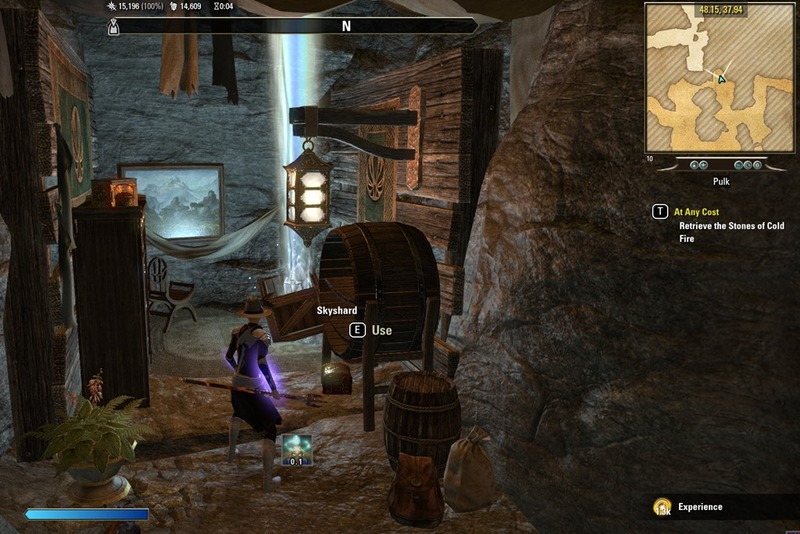 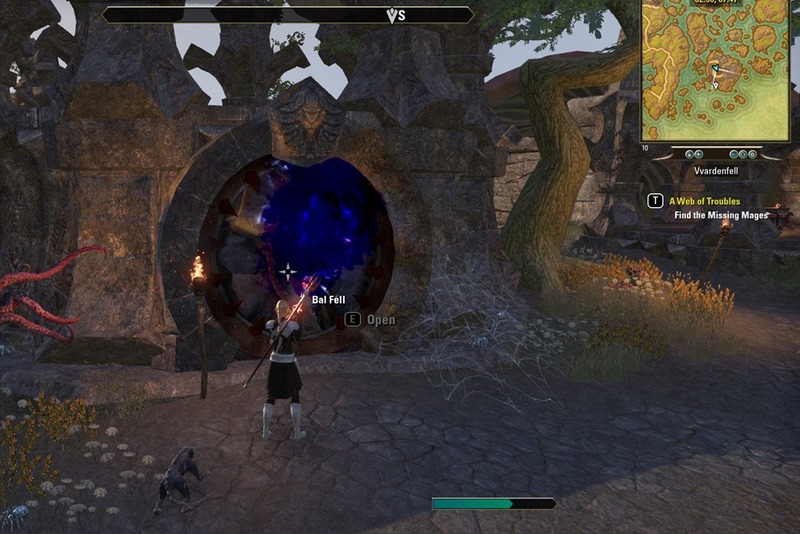 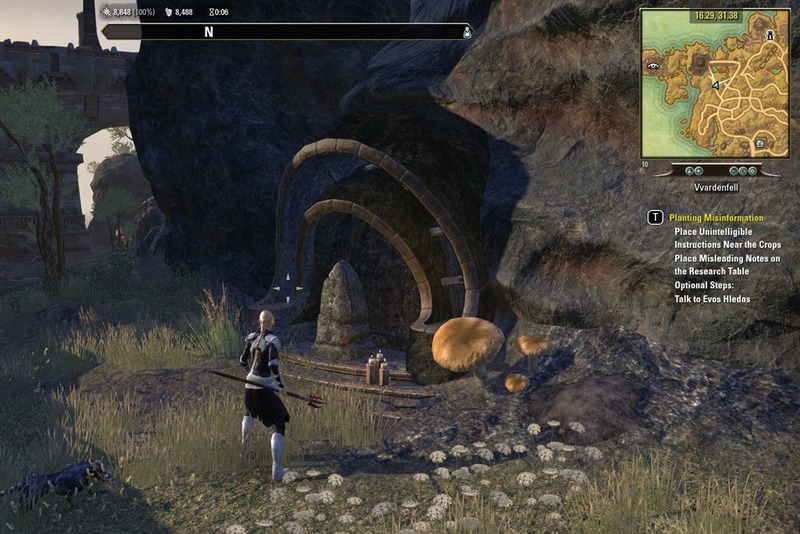 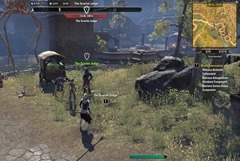 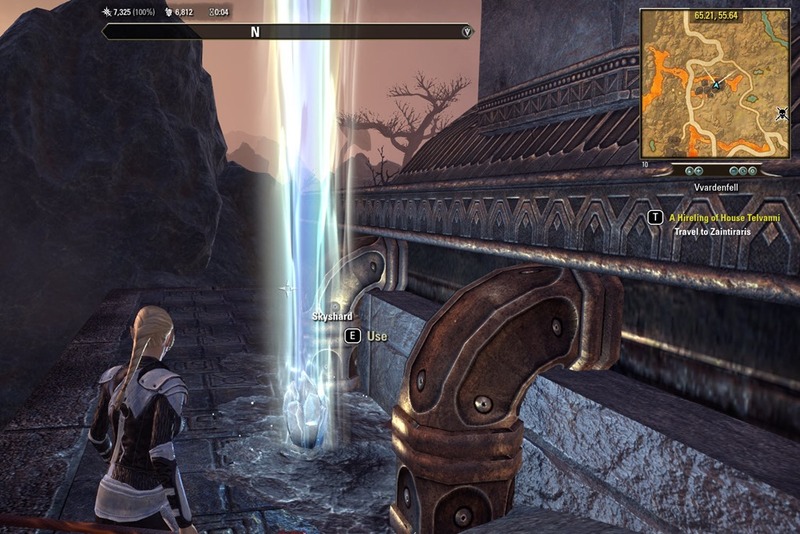 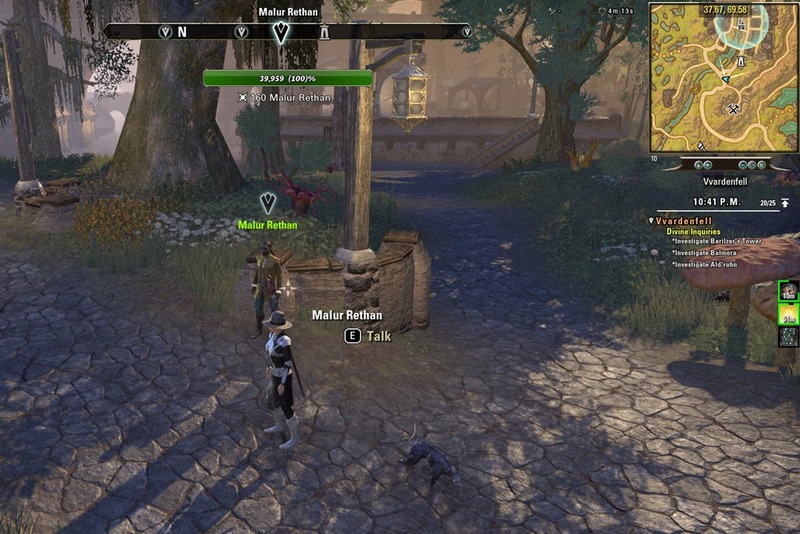 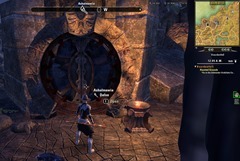 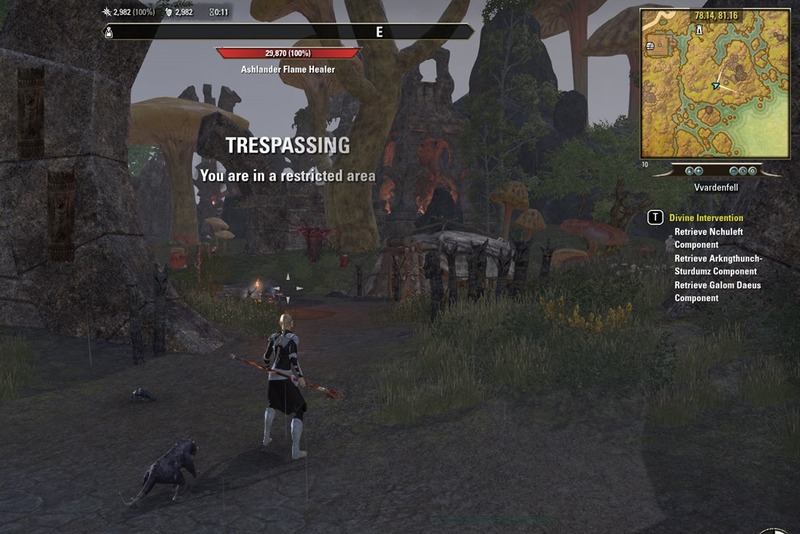 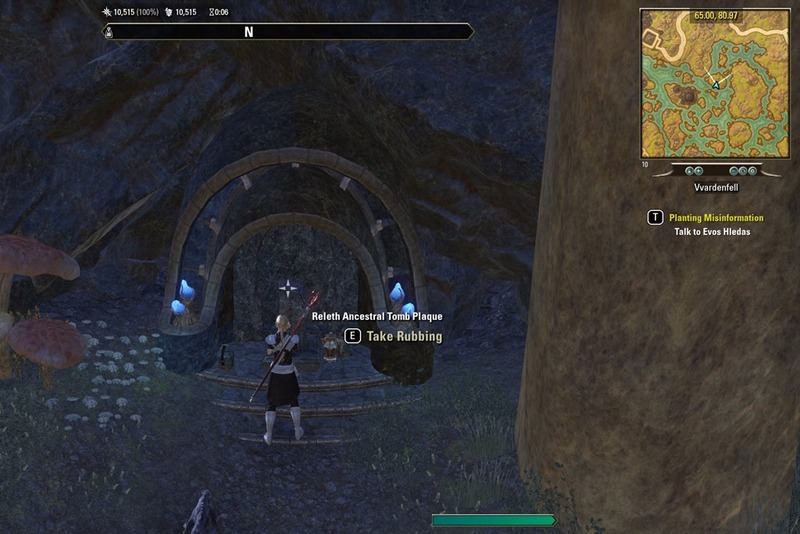 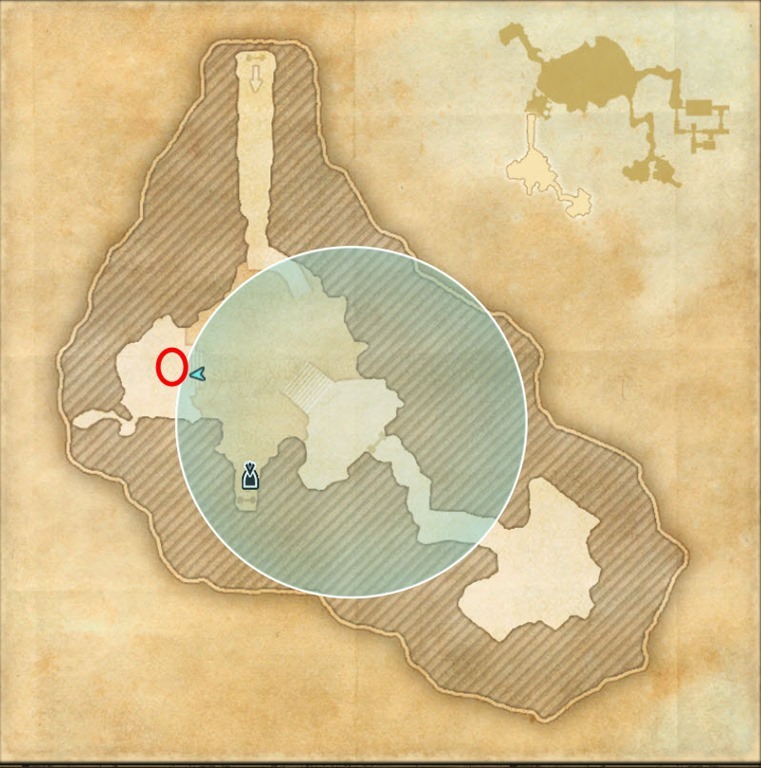 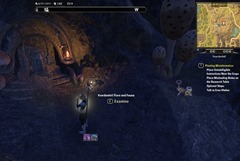 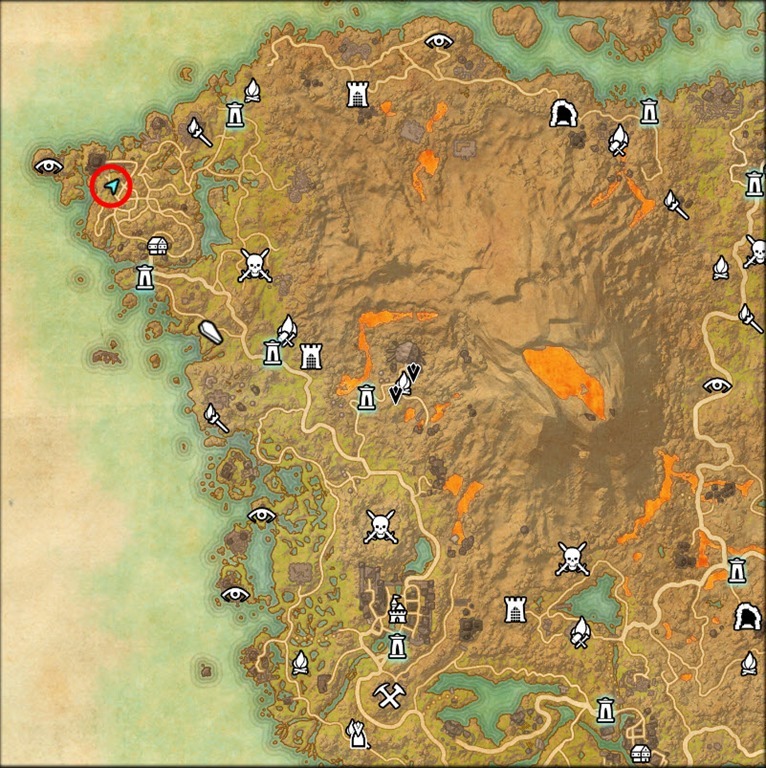 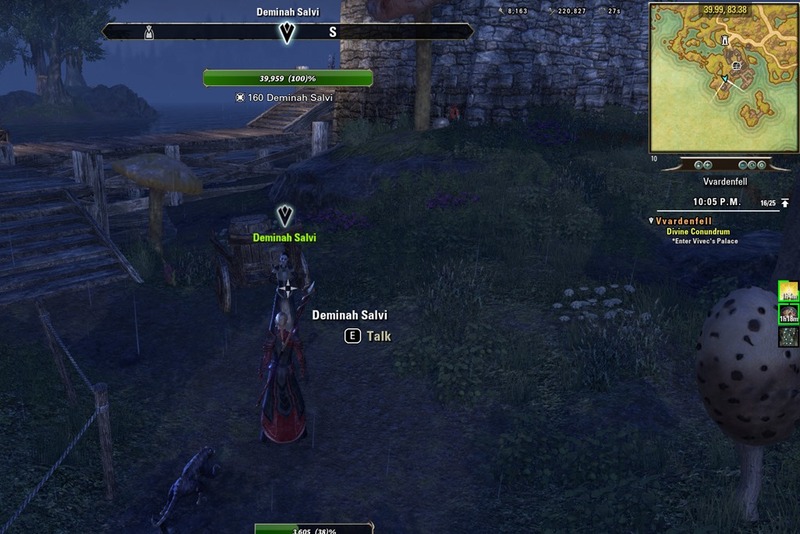 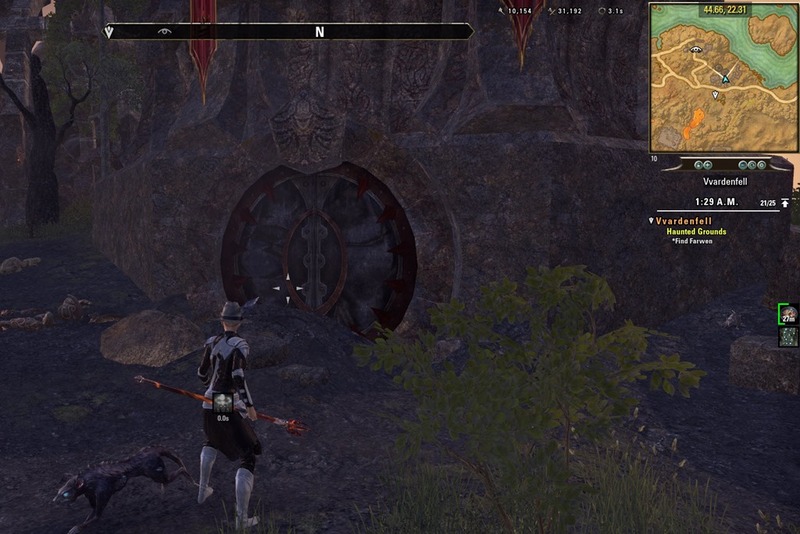 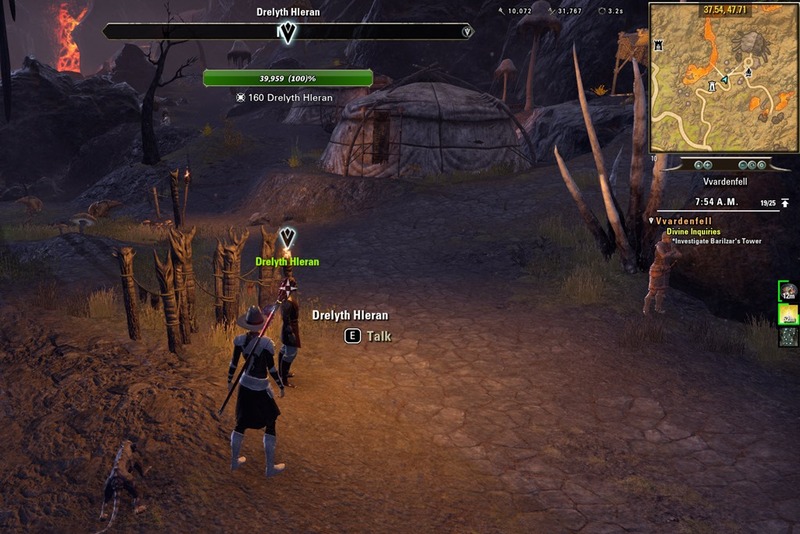 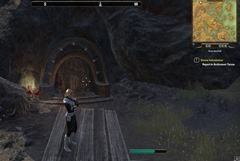 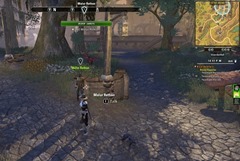 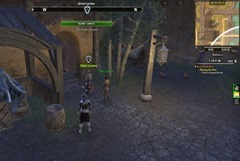 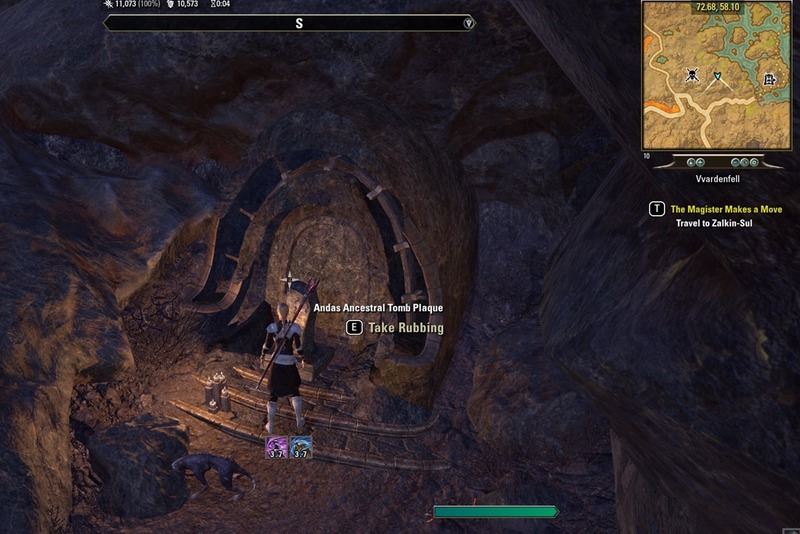 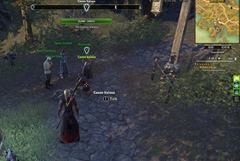 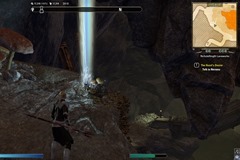 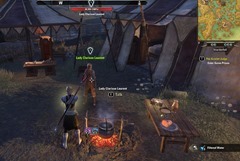 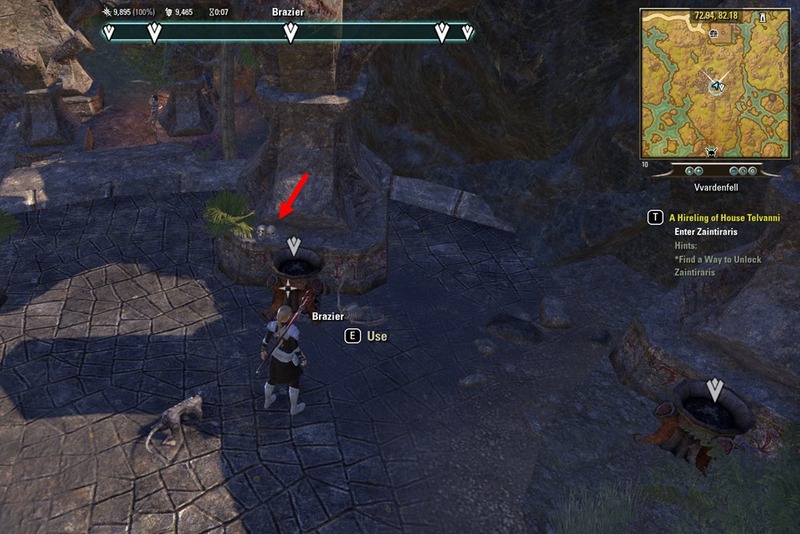 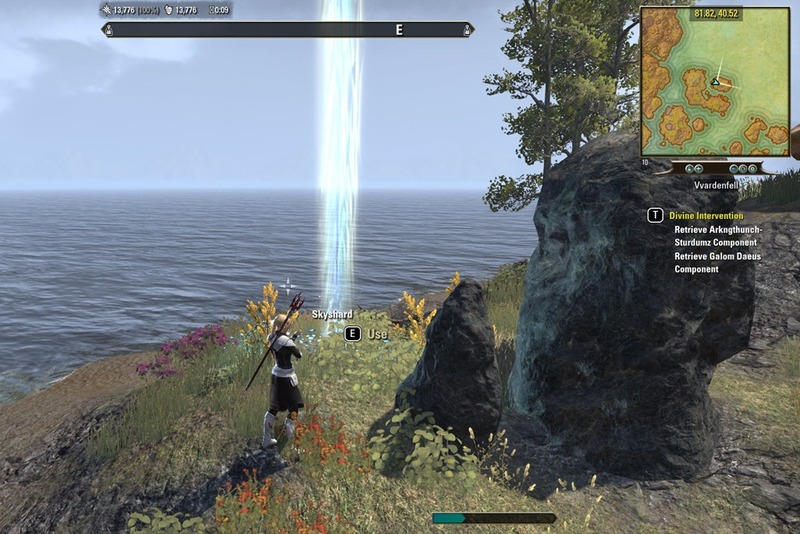 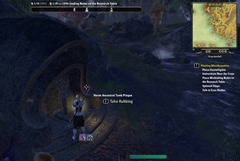 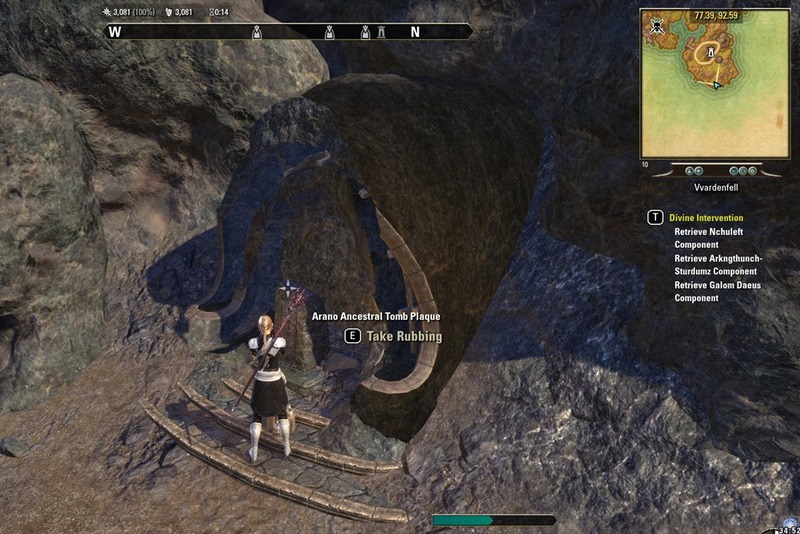 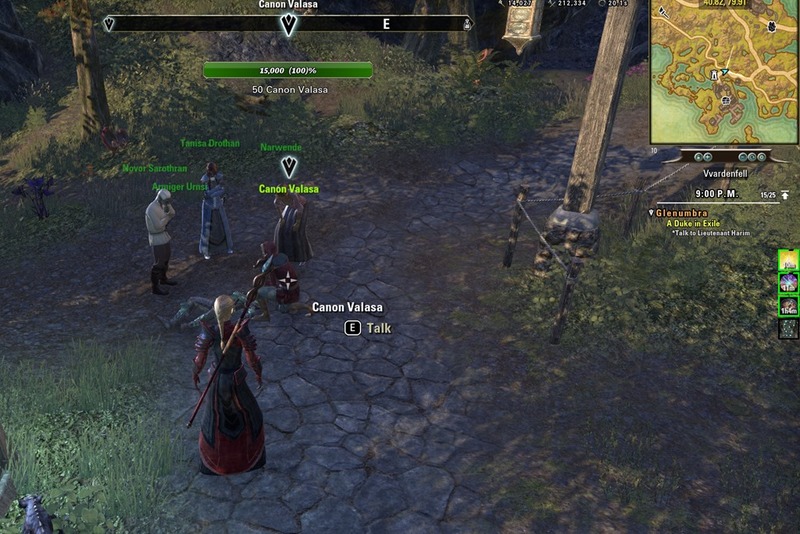 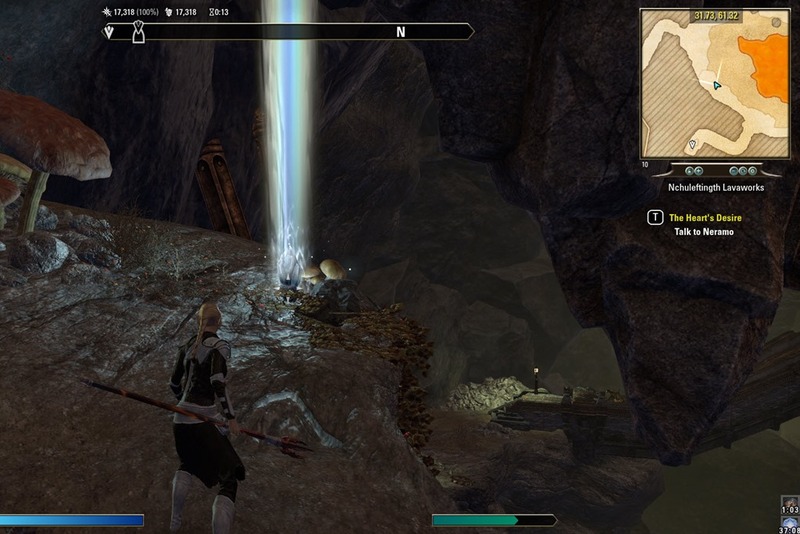 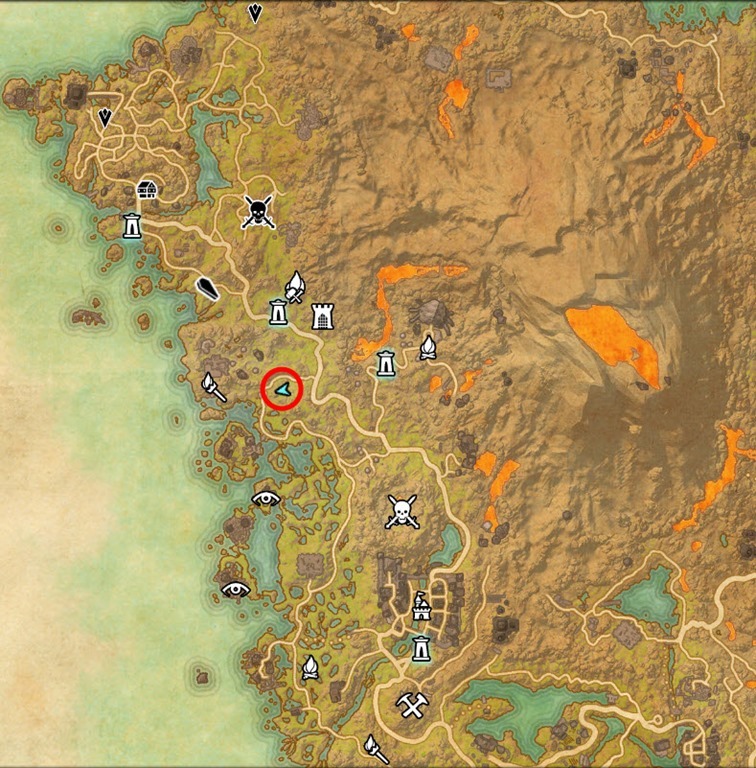 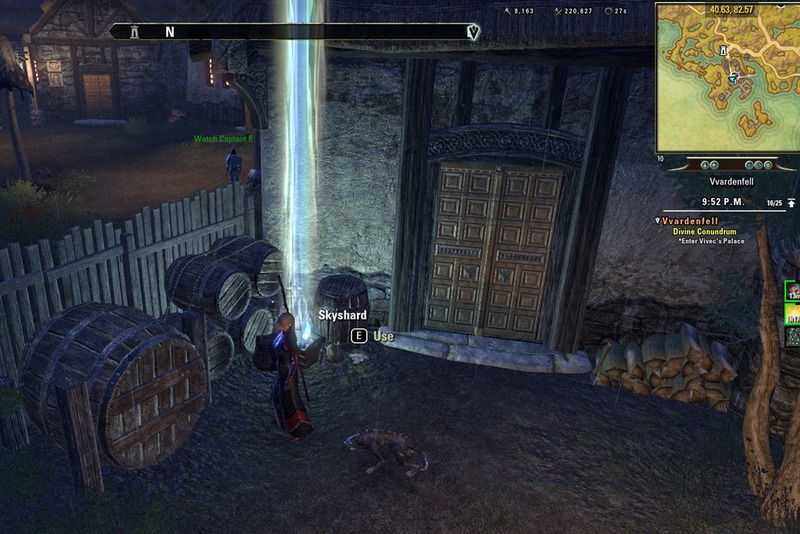 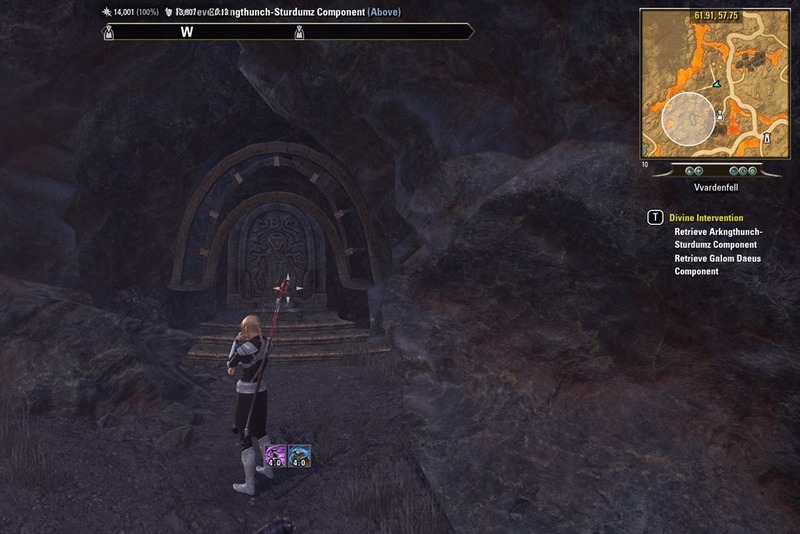 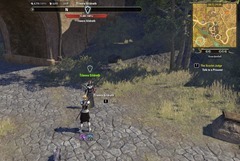 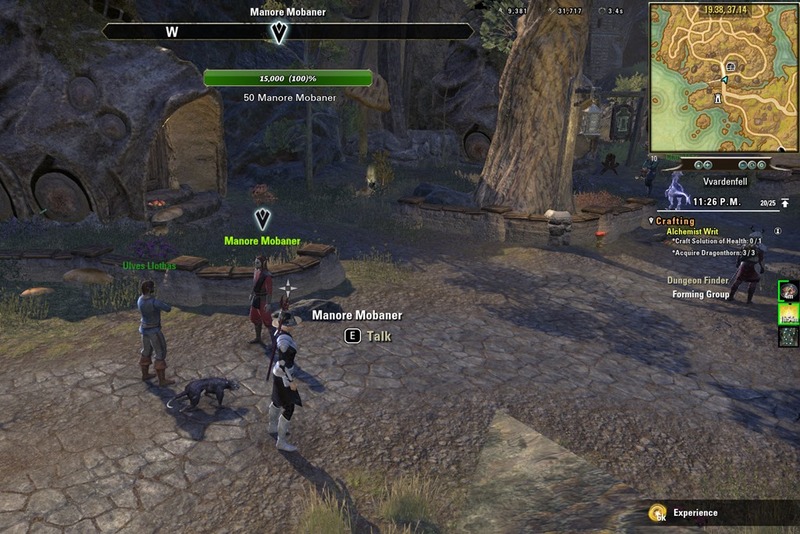 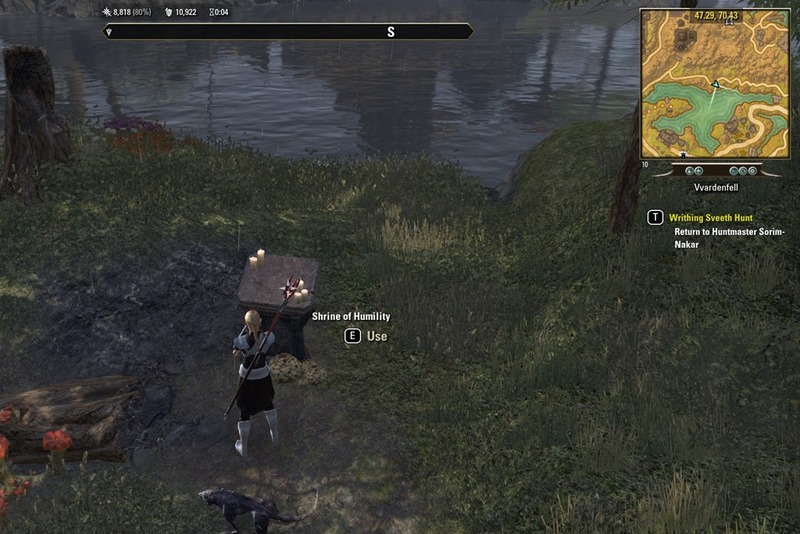 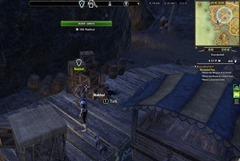 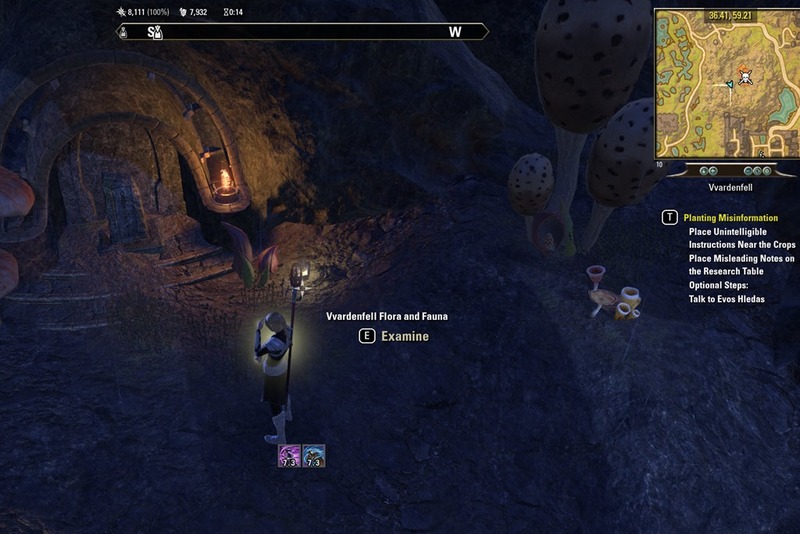 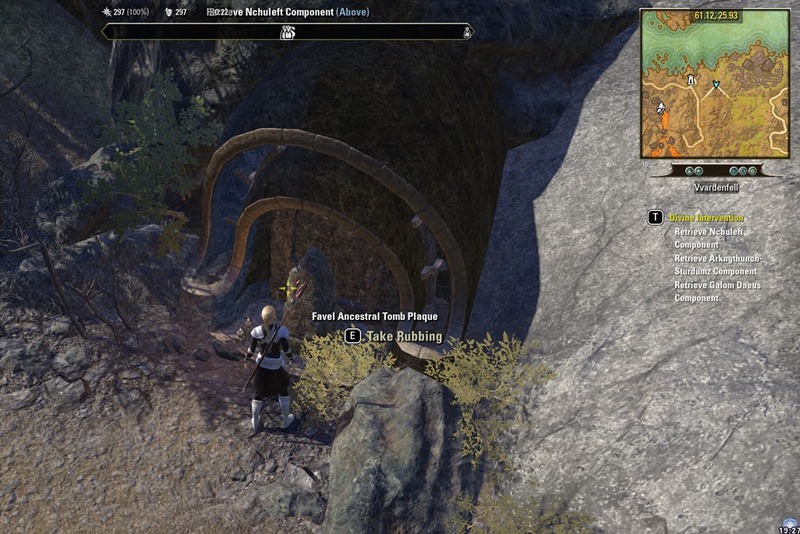 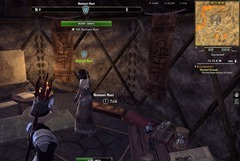 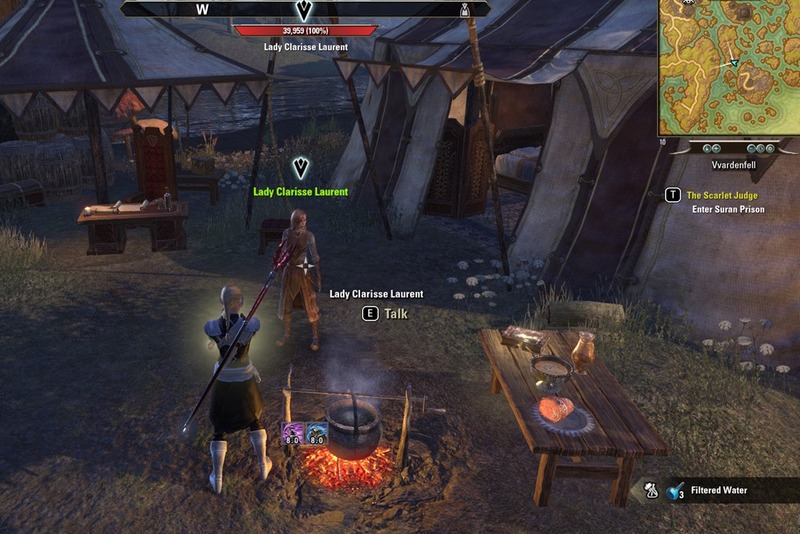 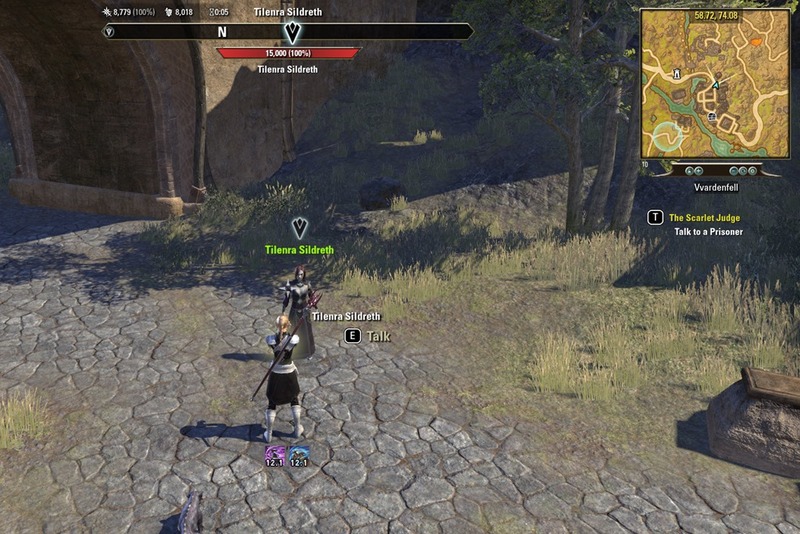 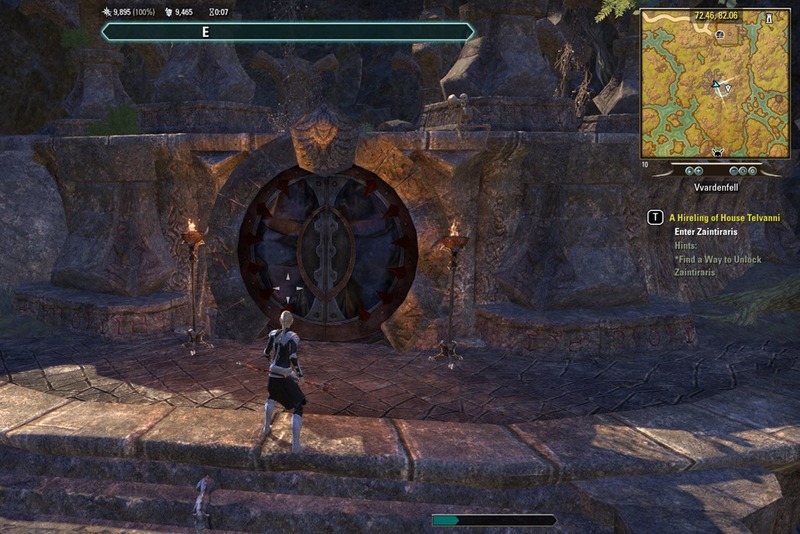 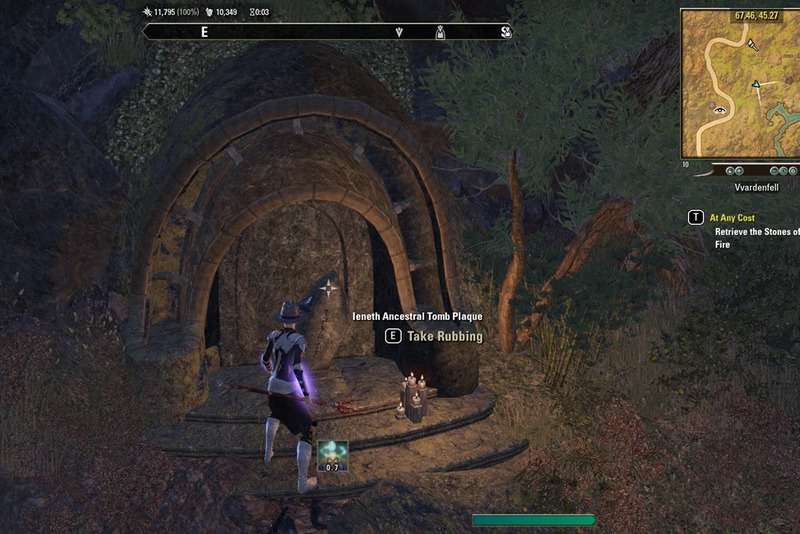 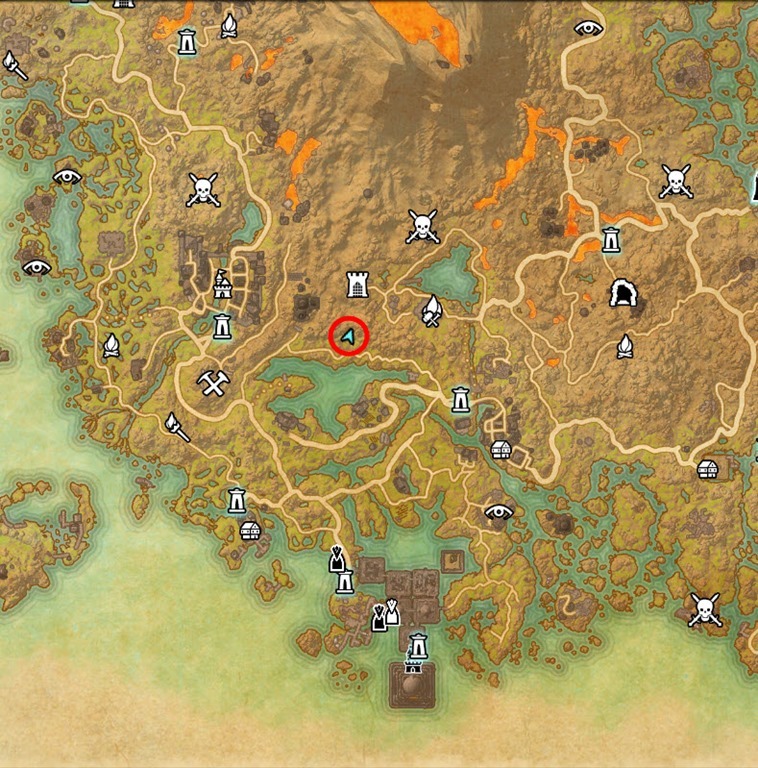 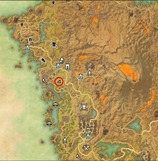 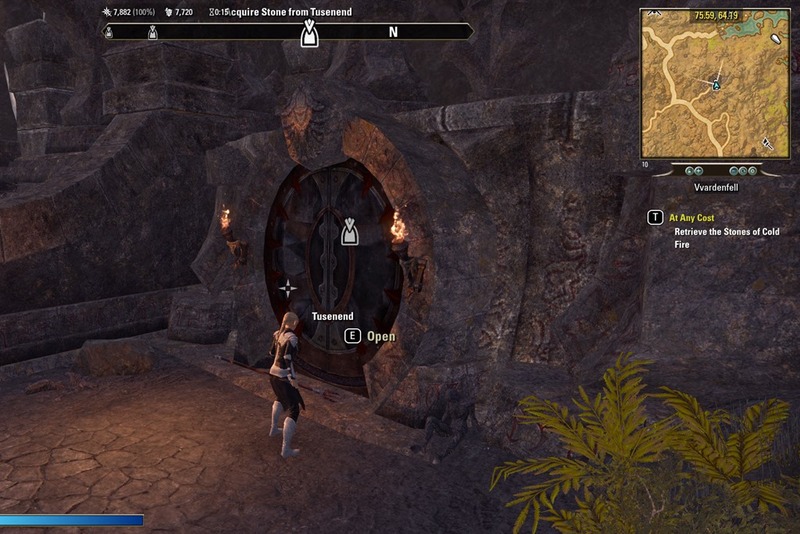 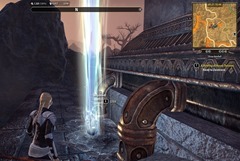 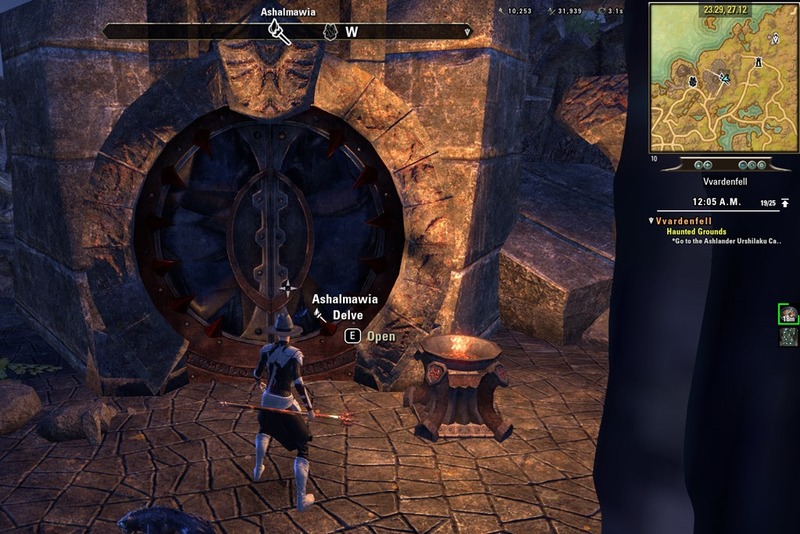 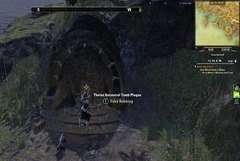 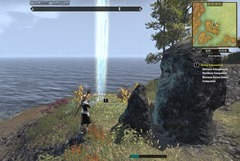 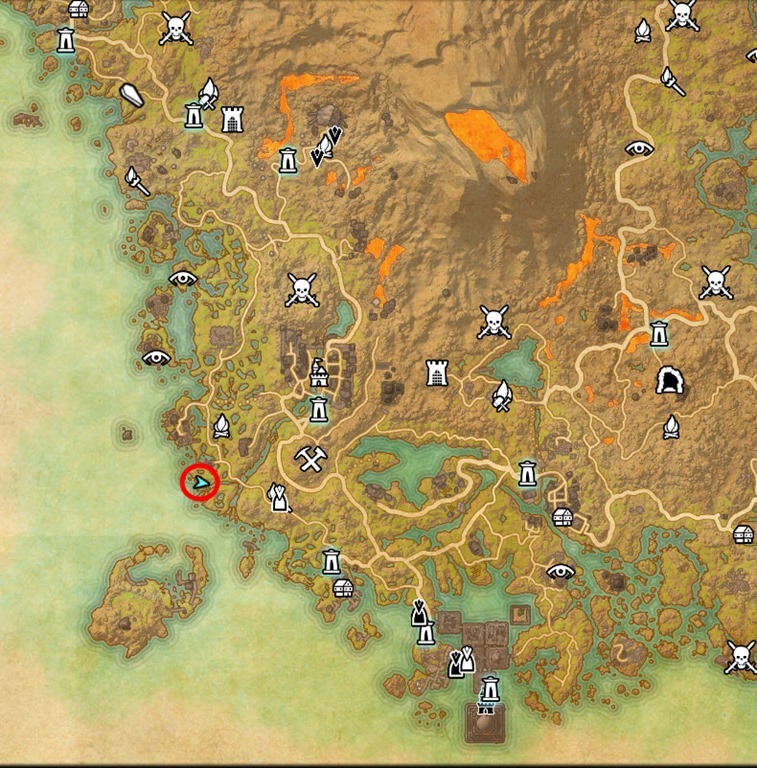 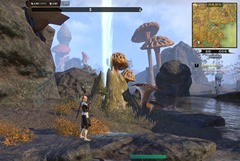 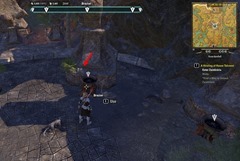 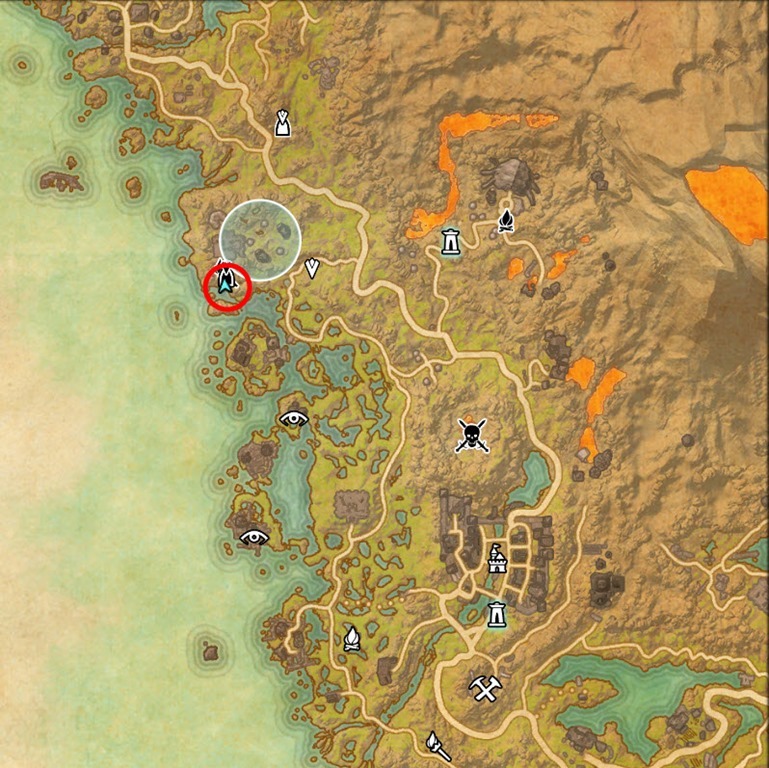 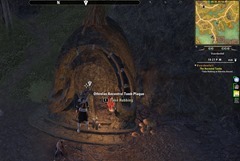 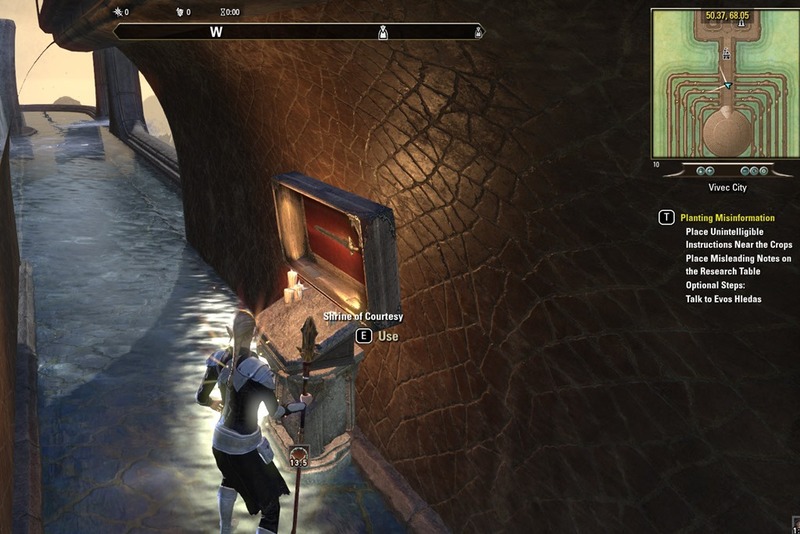 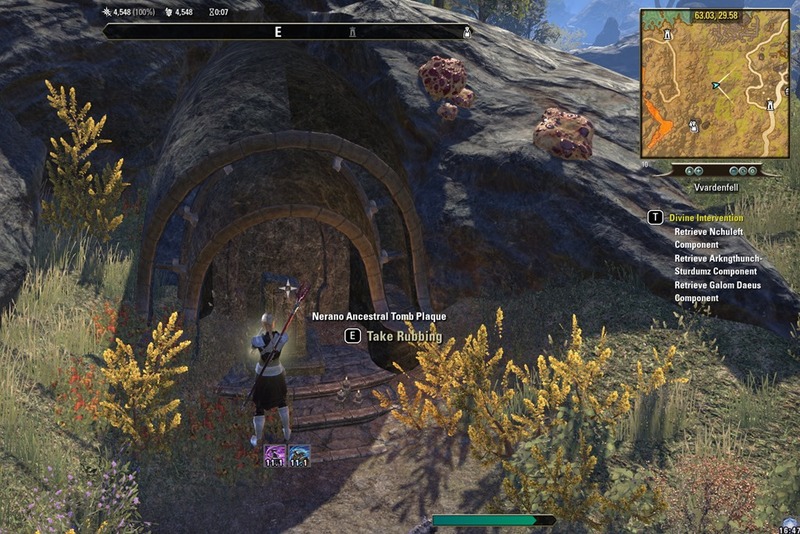 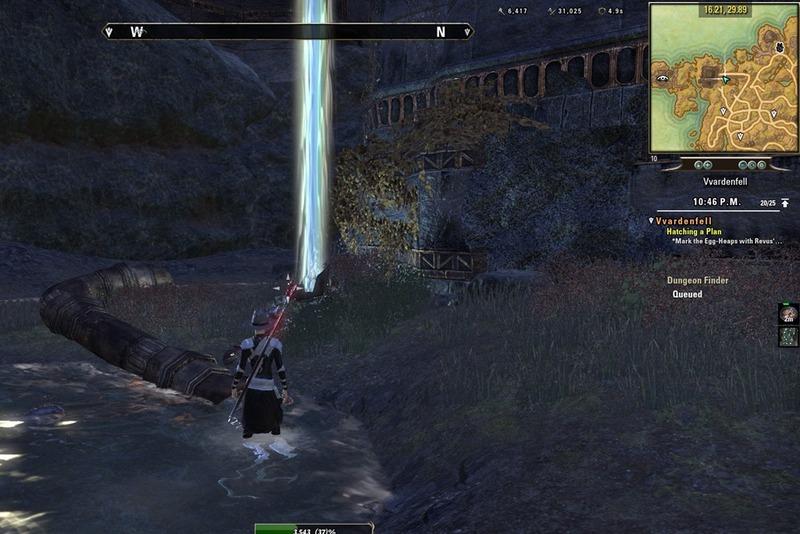 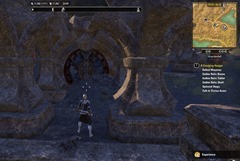 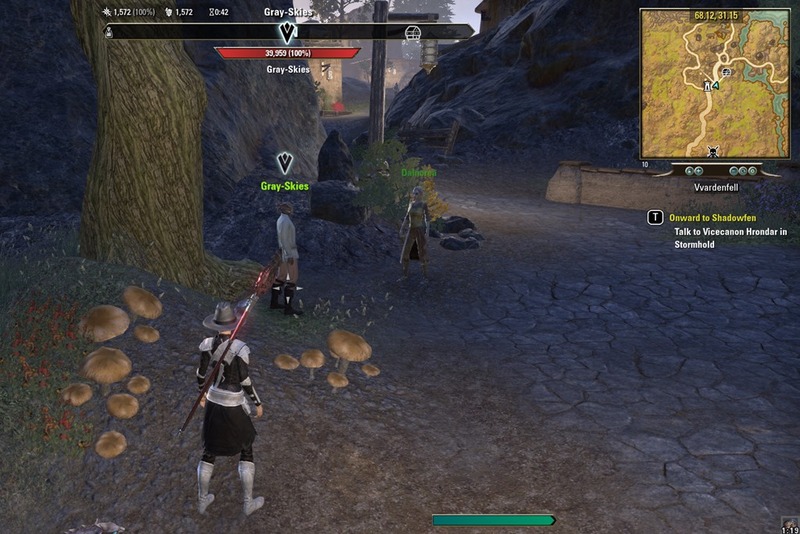 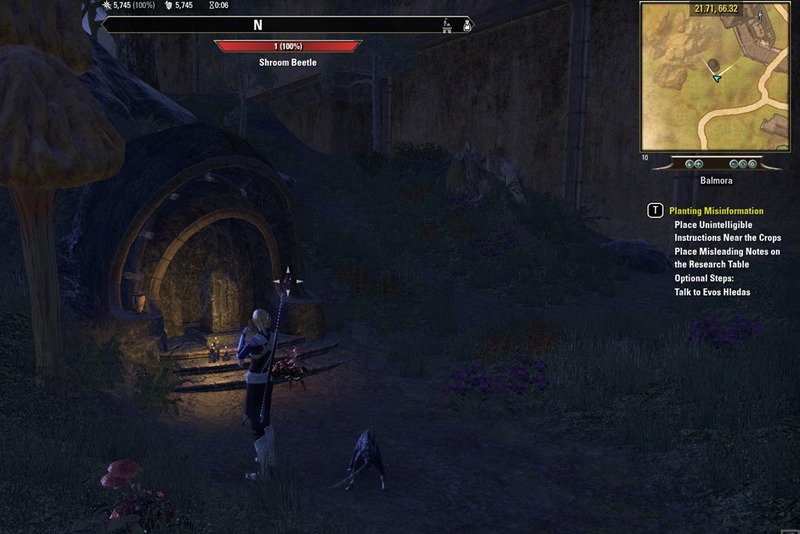 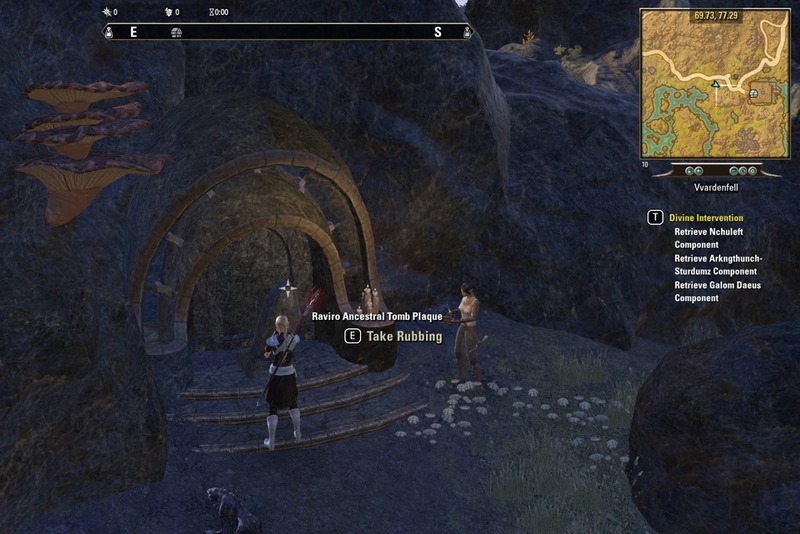 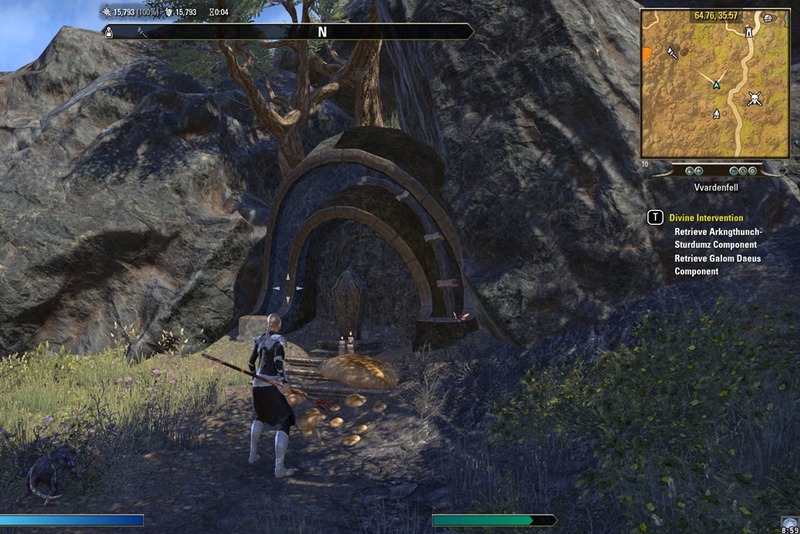 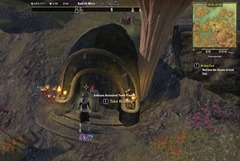 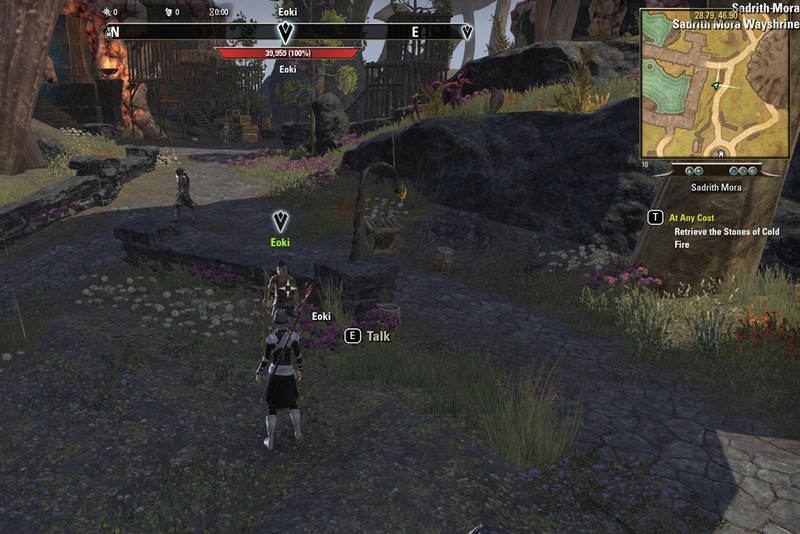 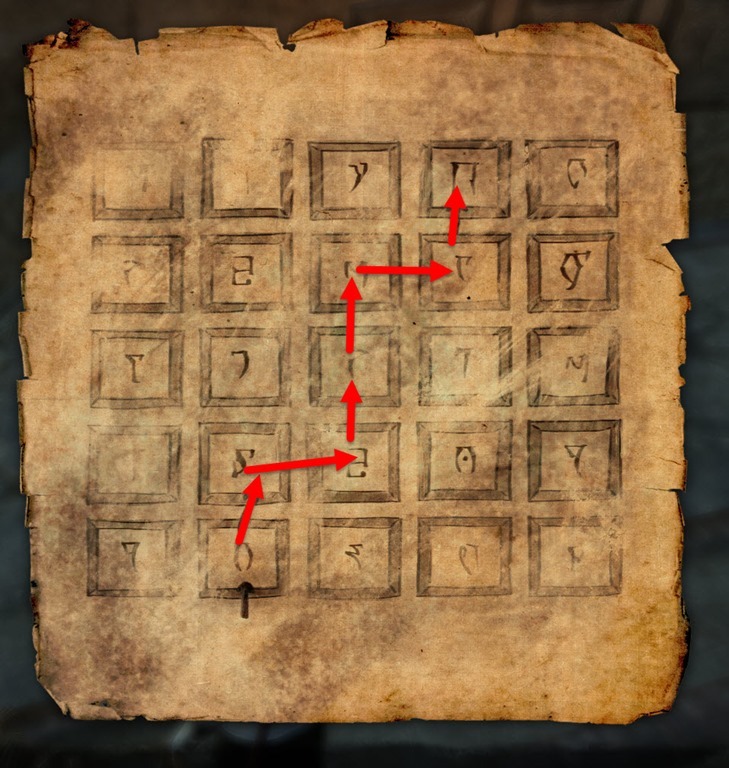 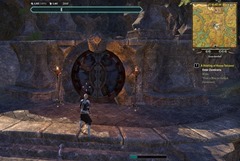 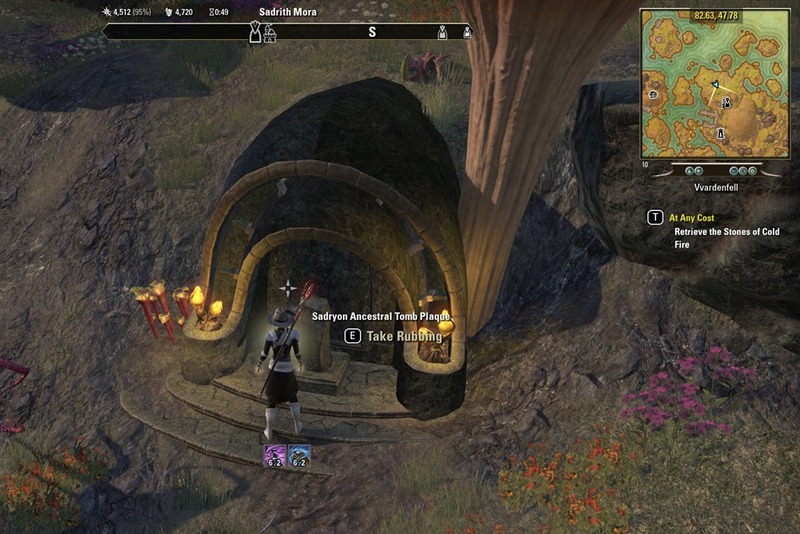 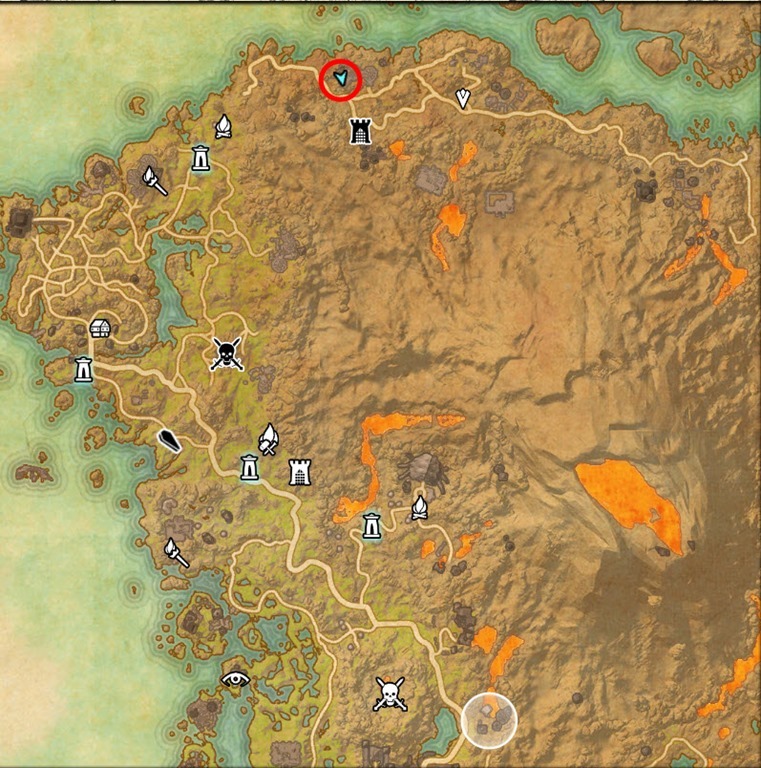 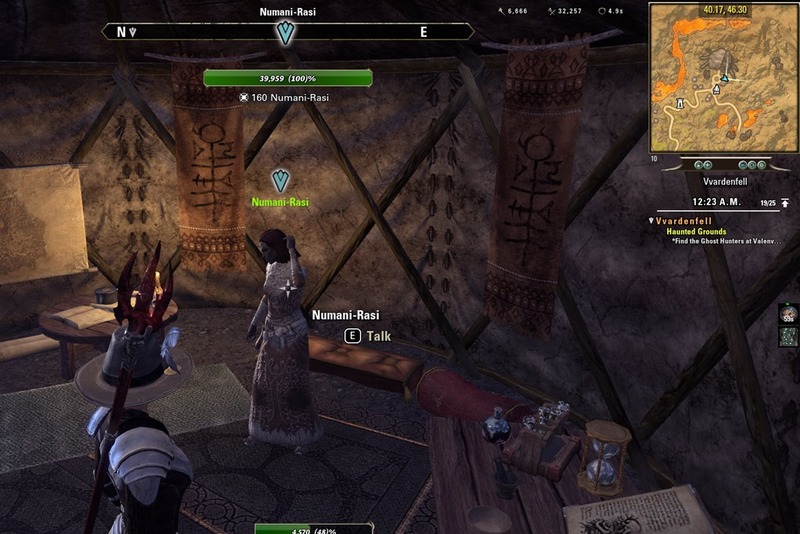 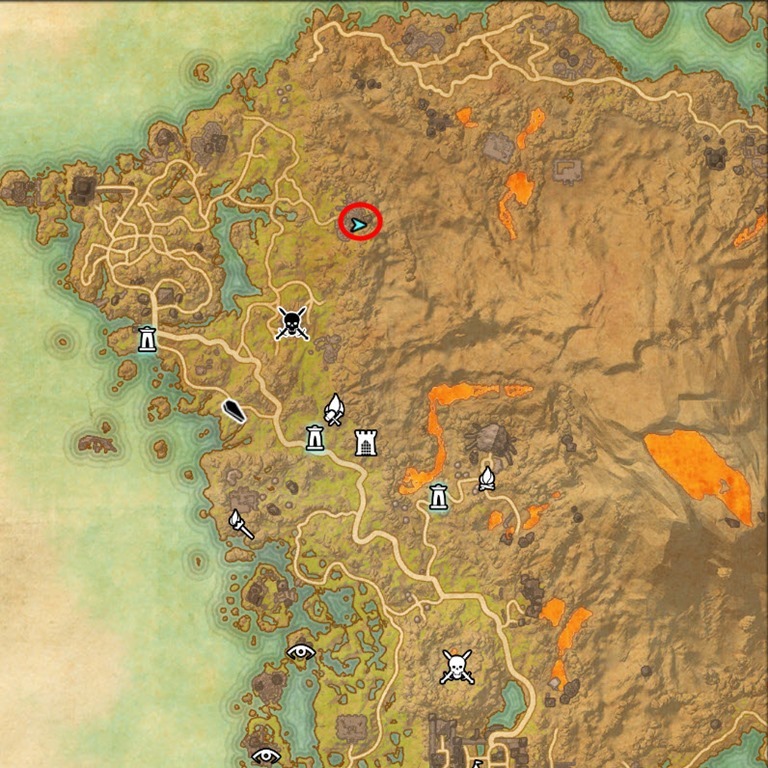 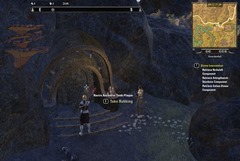 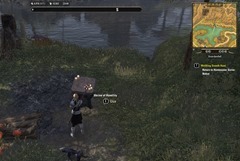 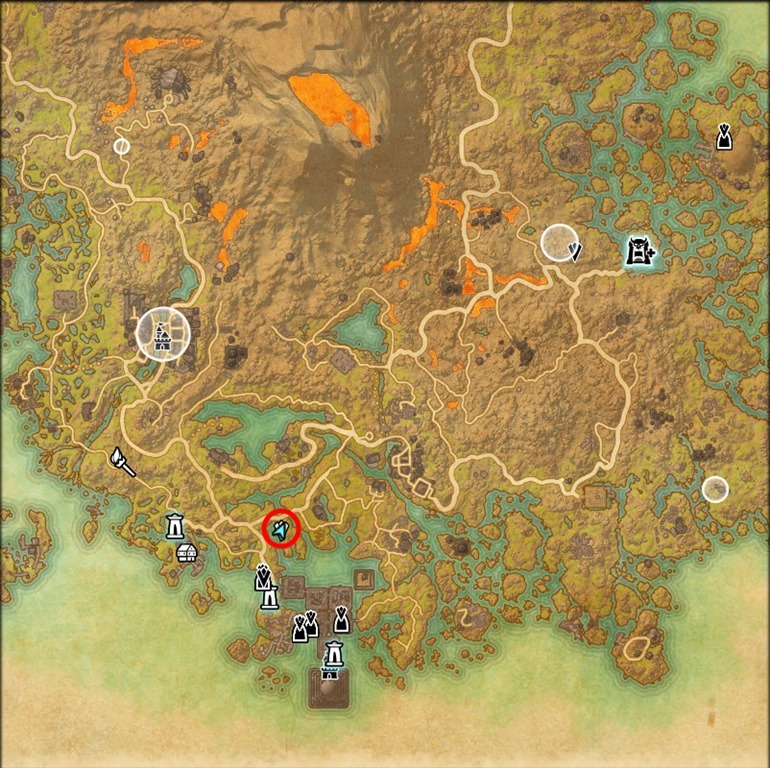 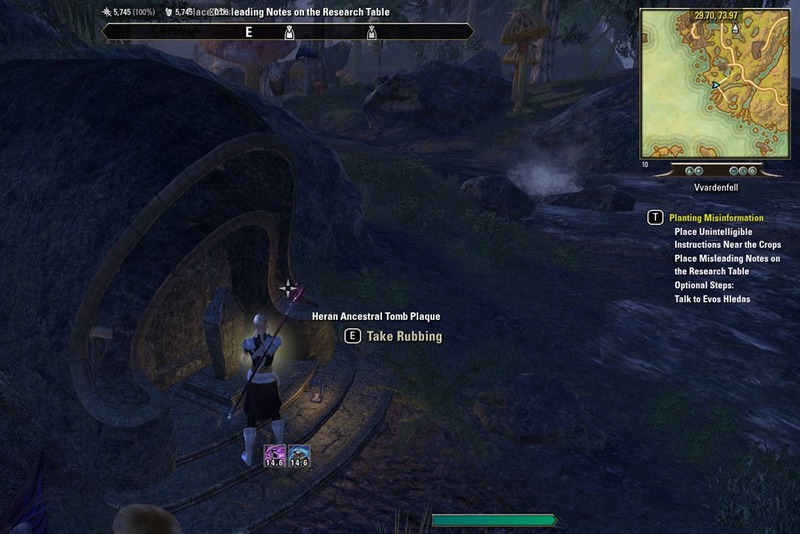 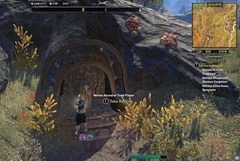 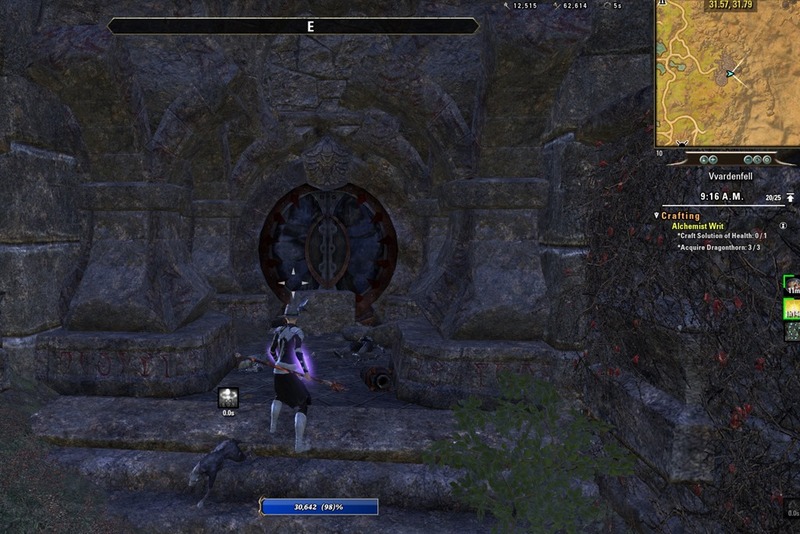 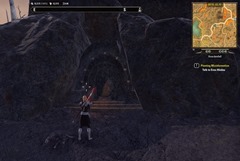 If you did not get the quest from the Invitation to Morrowind letter in your mail, you can get it from the Canon Valasa right as you land in Vvardenfell at Seyda Neen wayshrine. 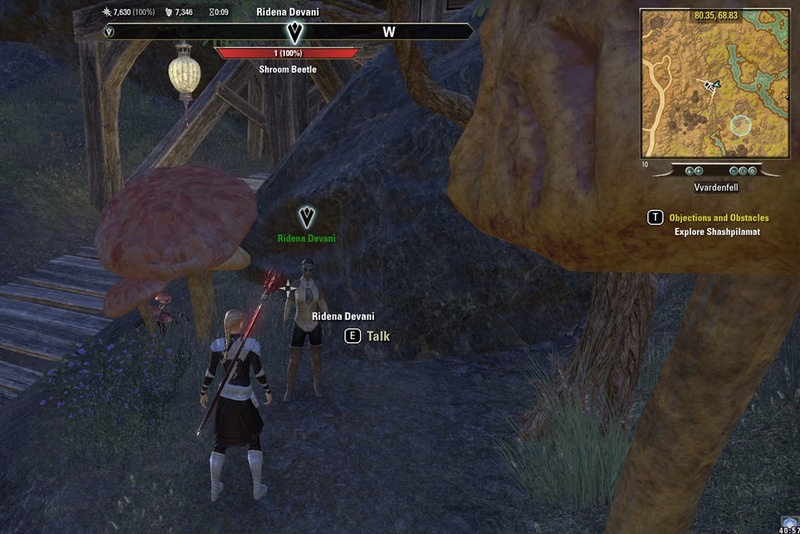 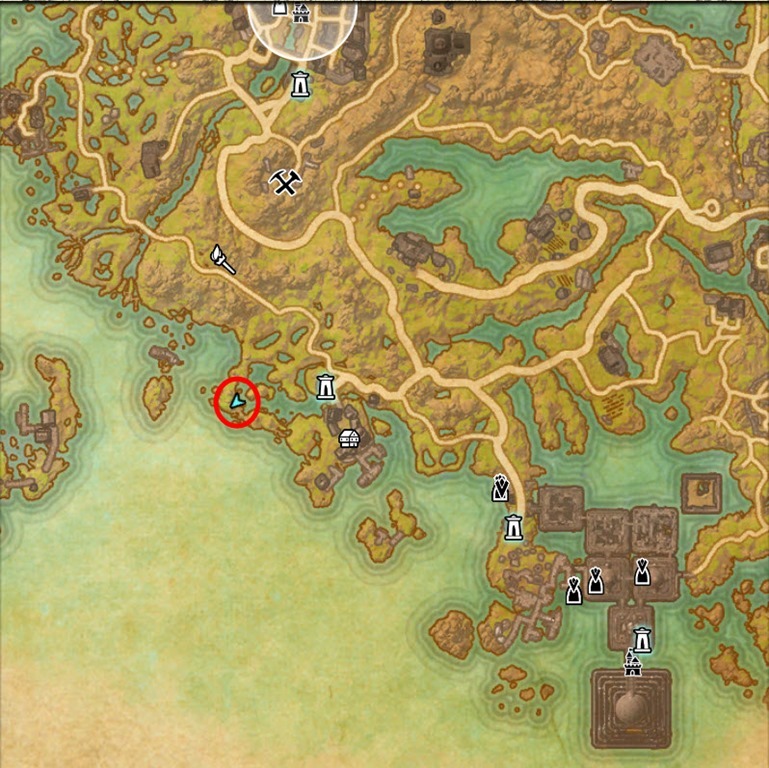 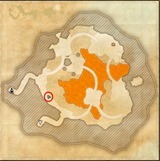 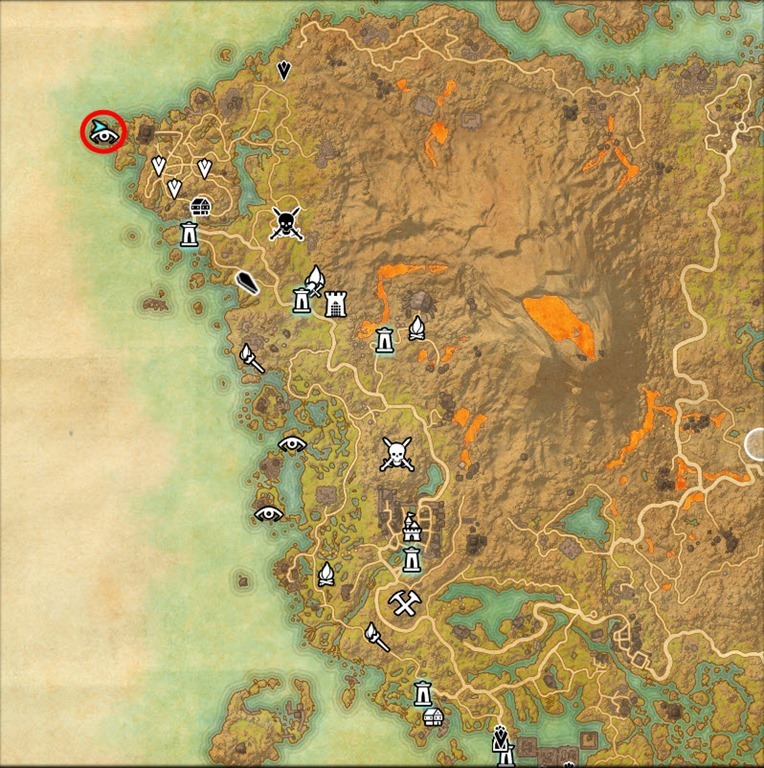 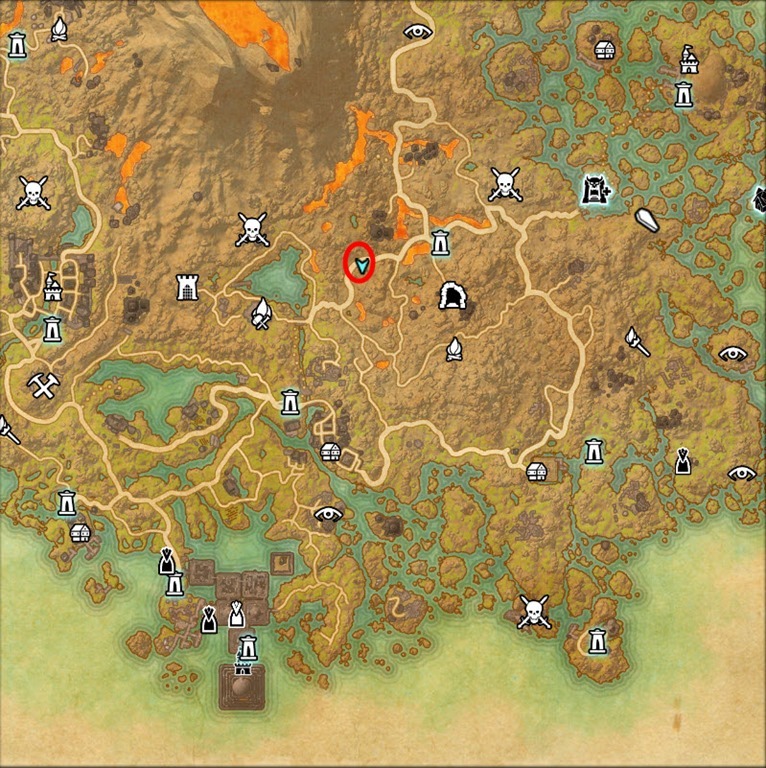 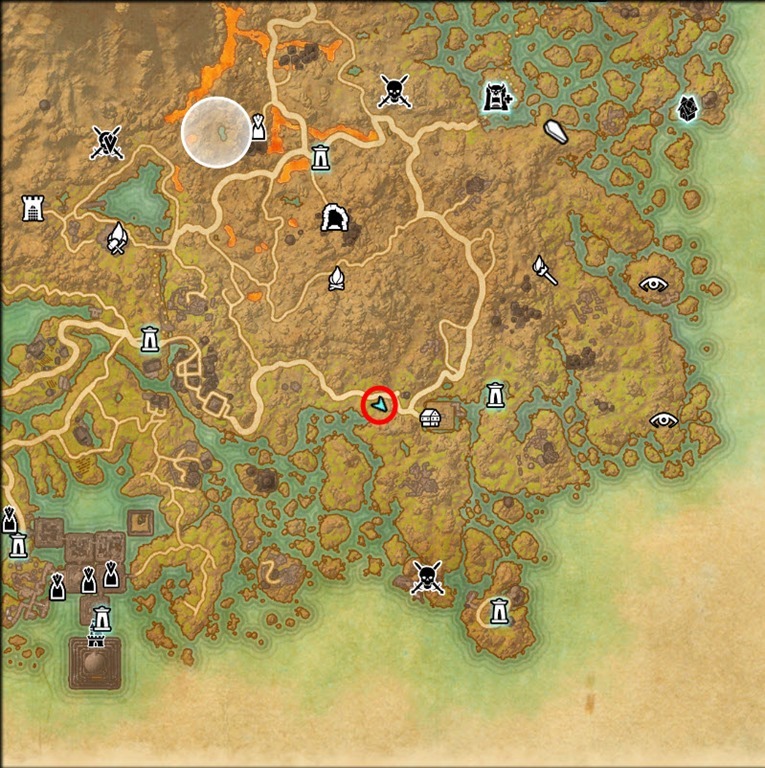 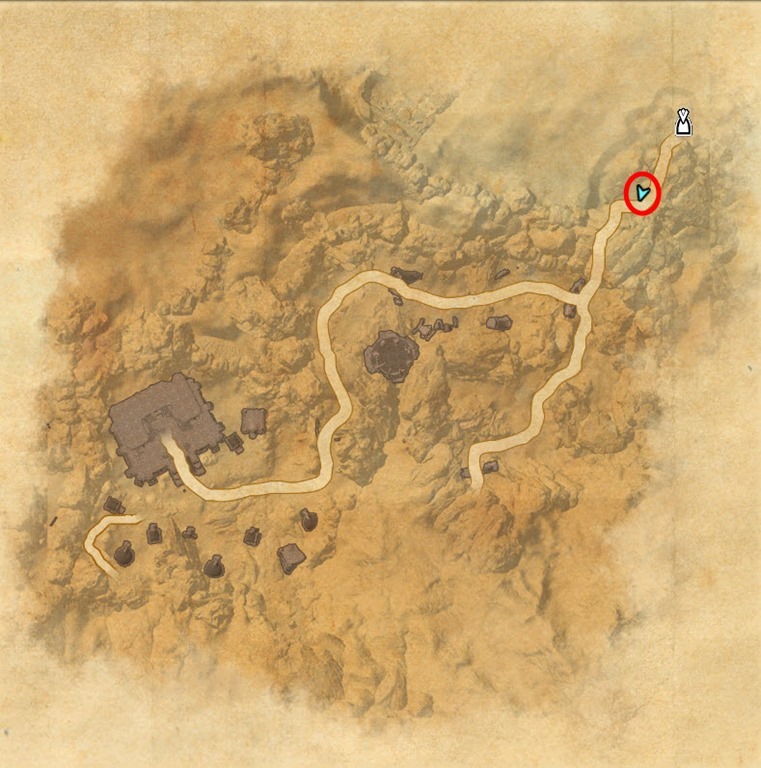 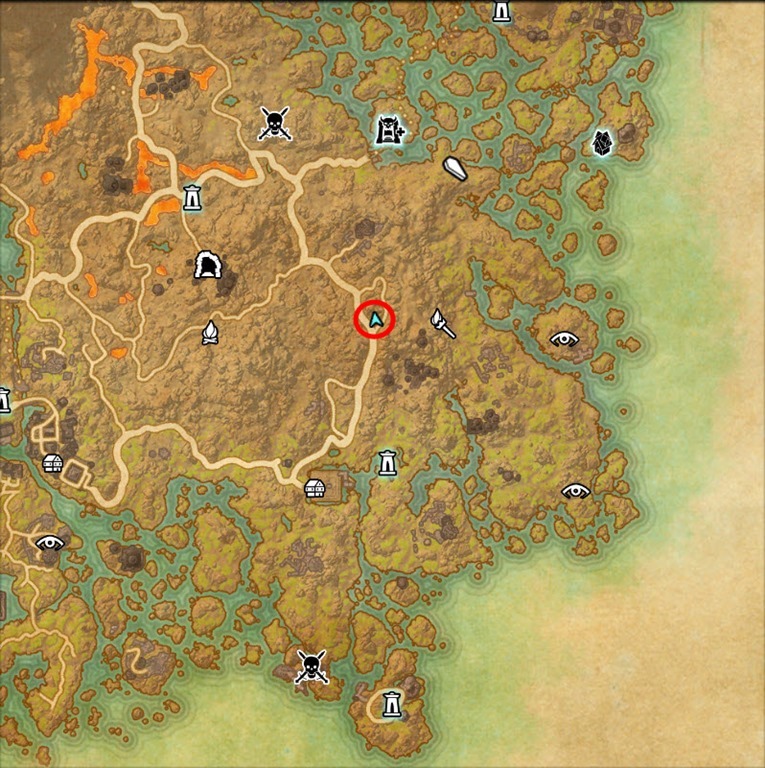 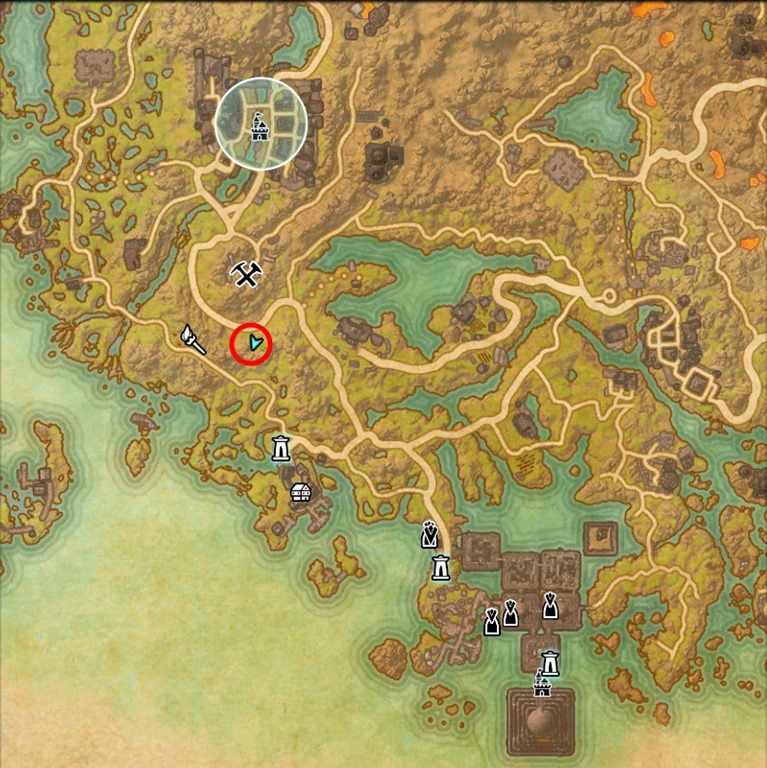 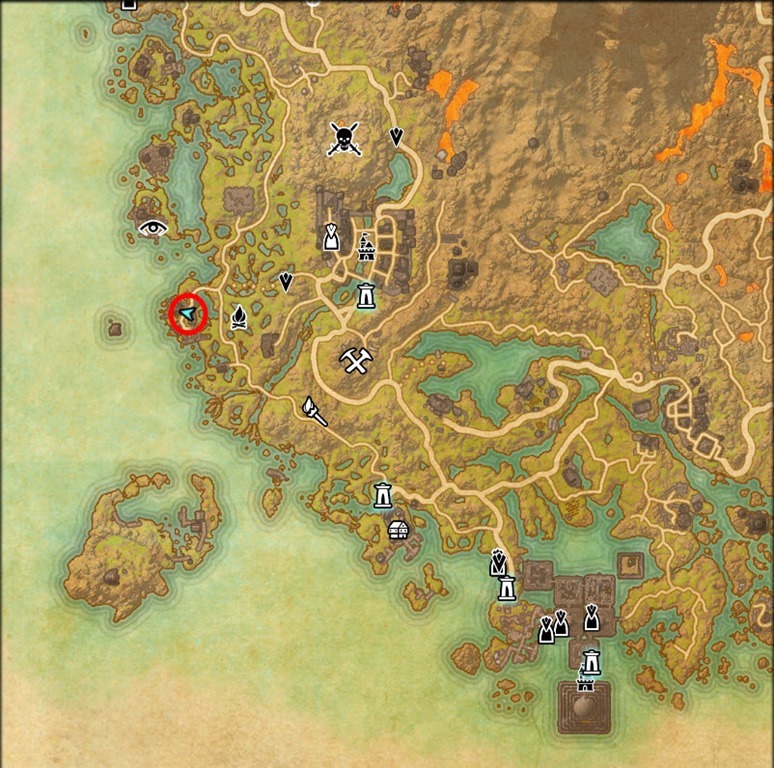 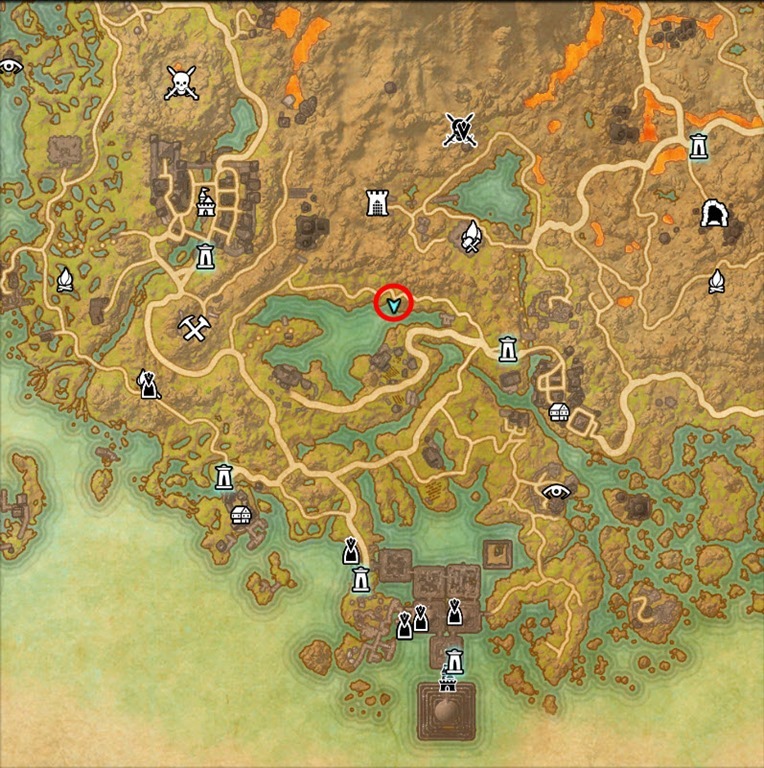 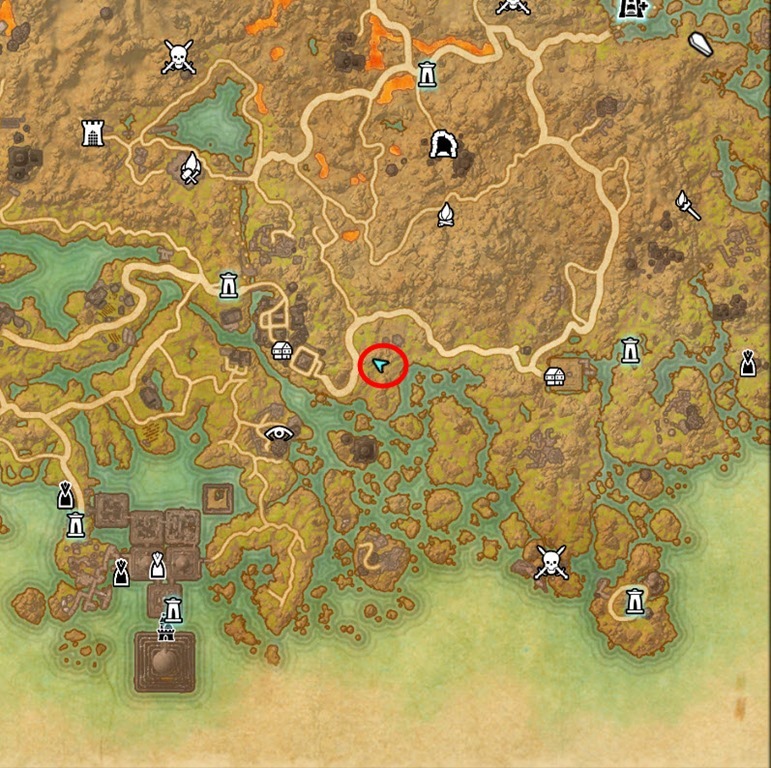 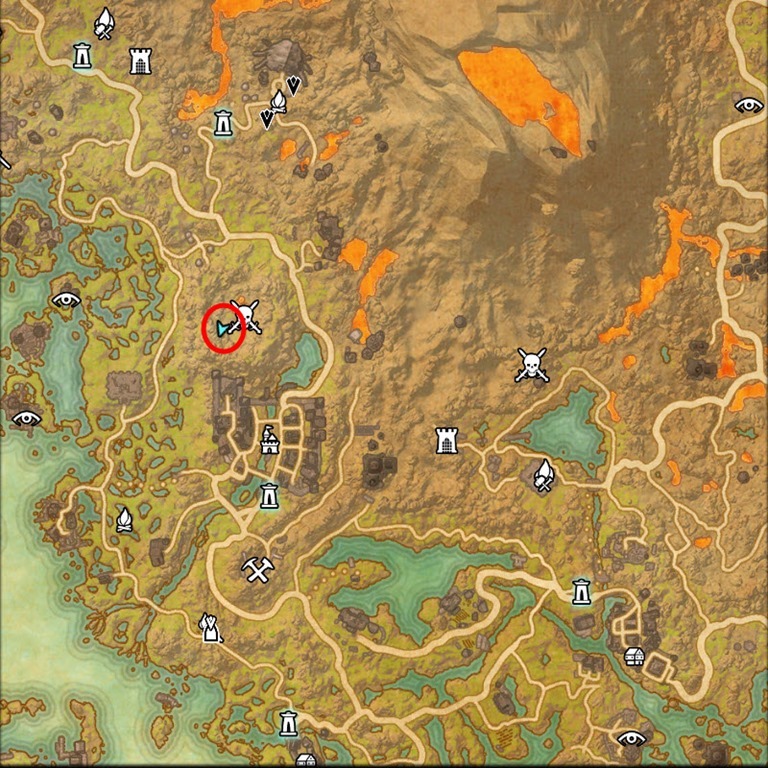 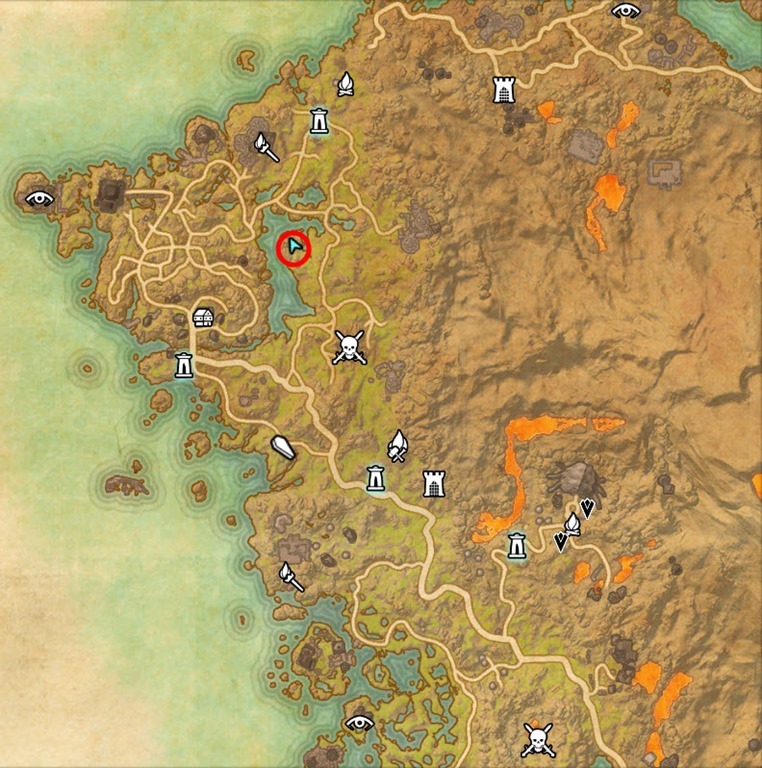 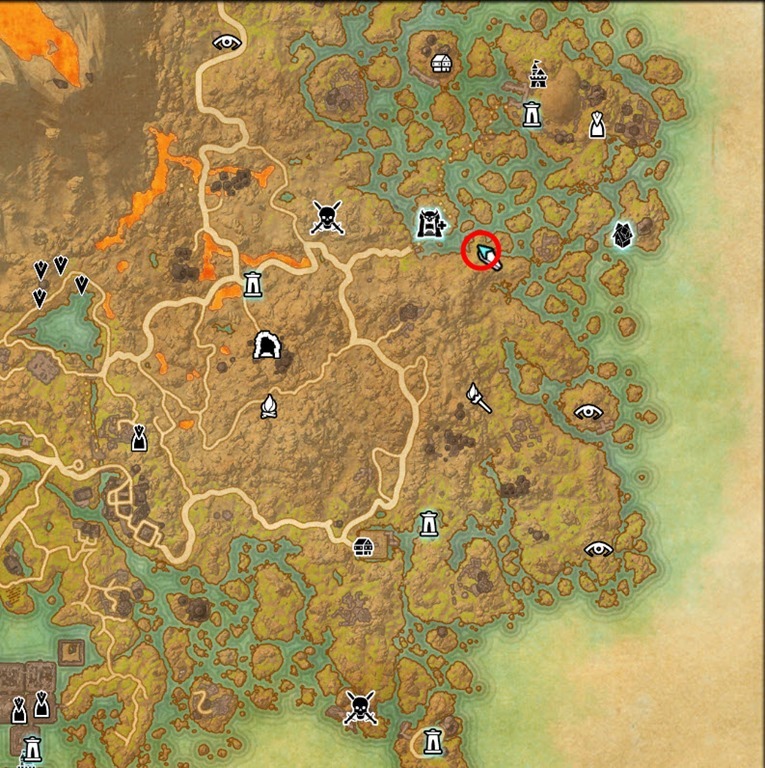 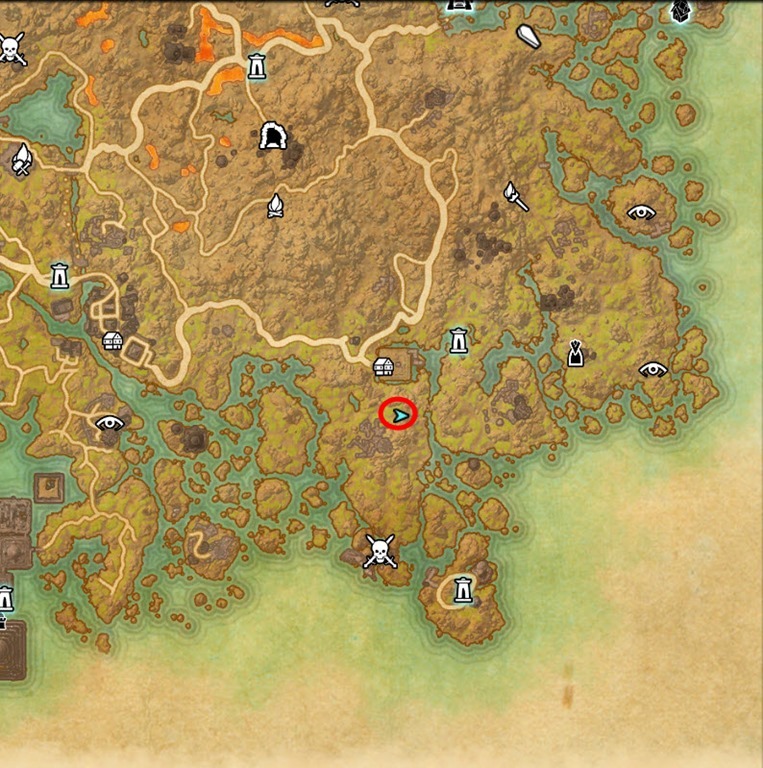 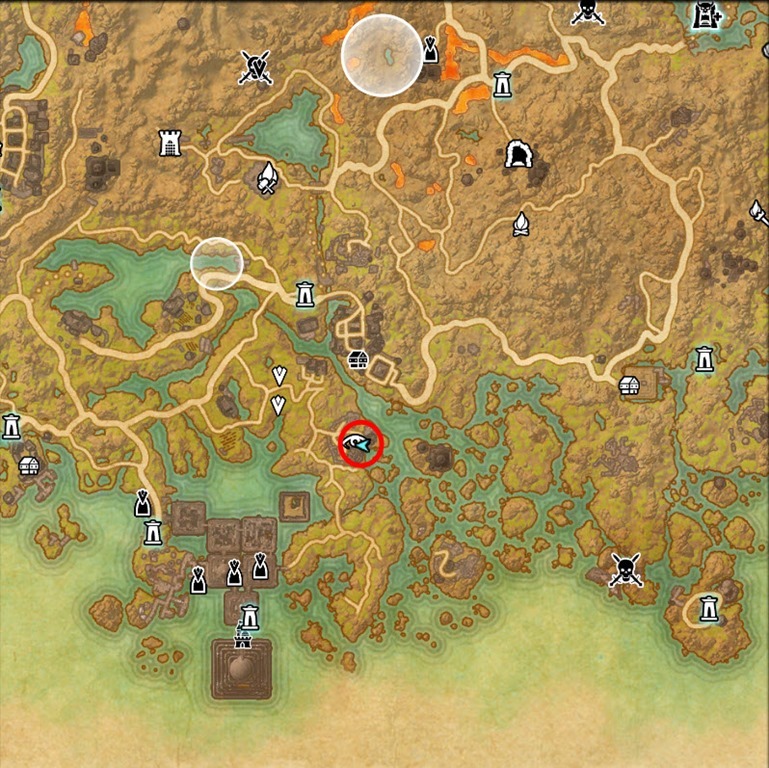 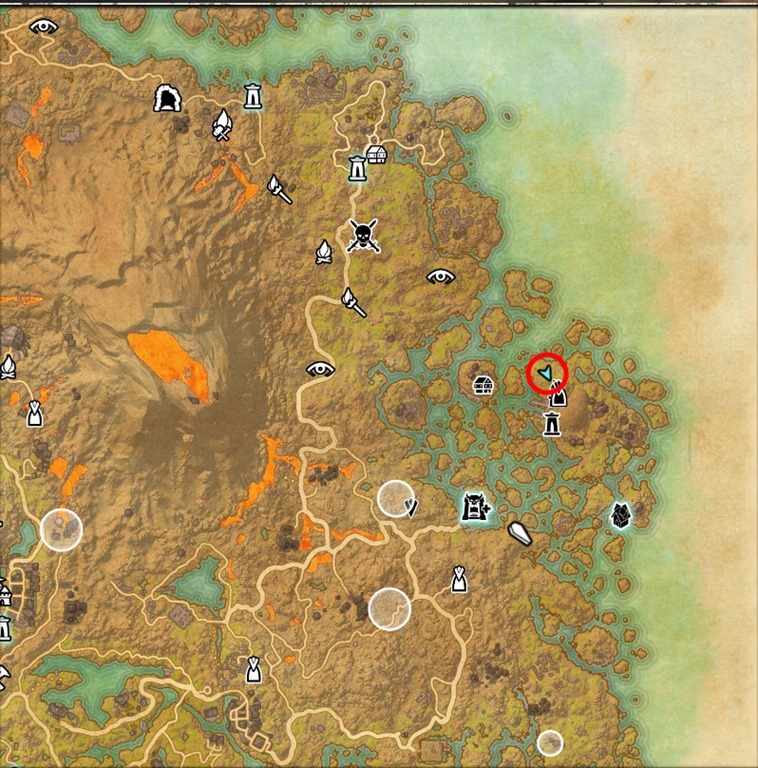 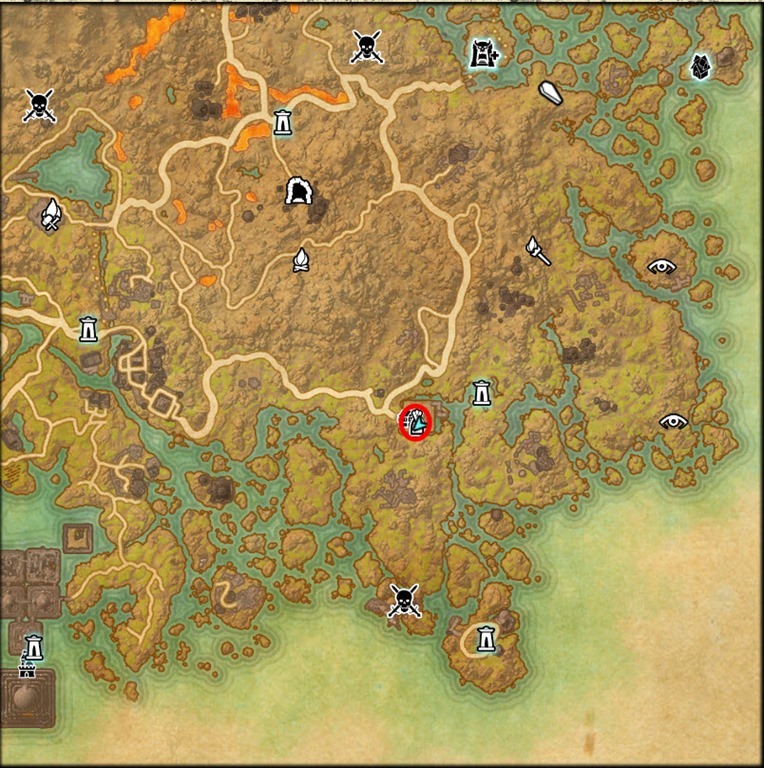 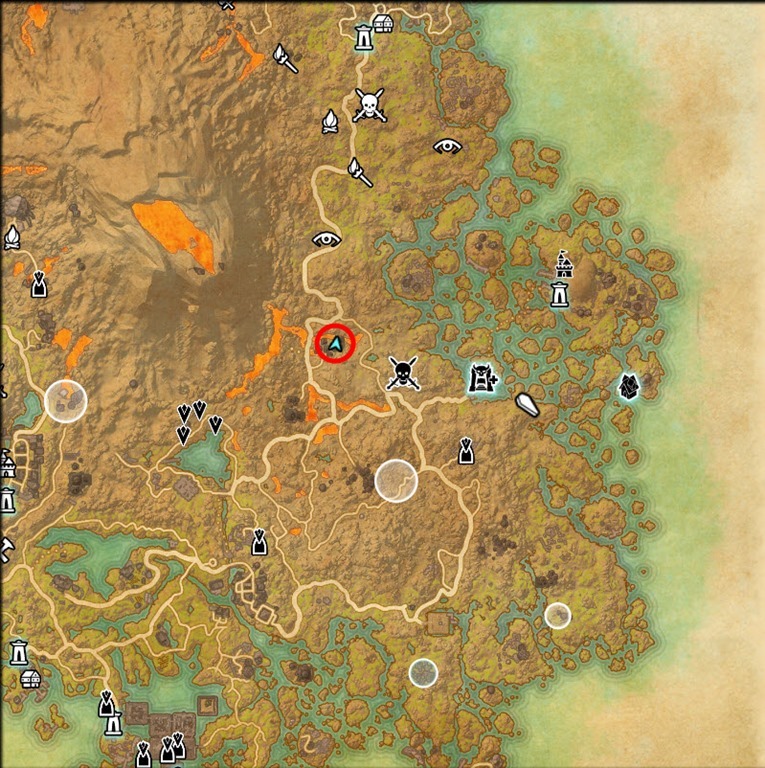 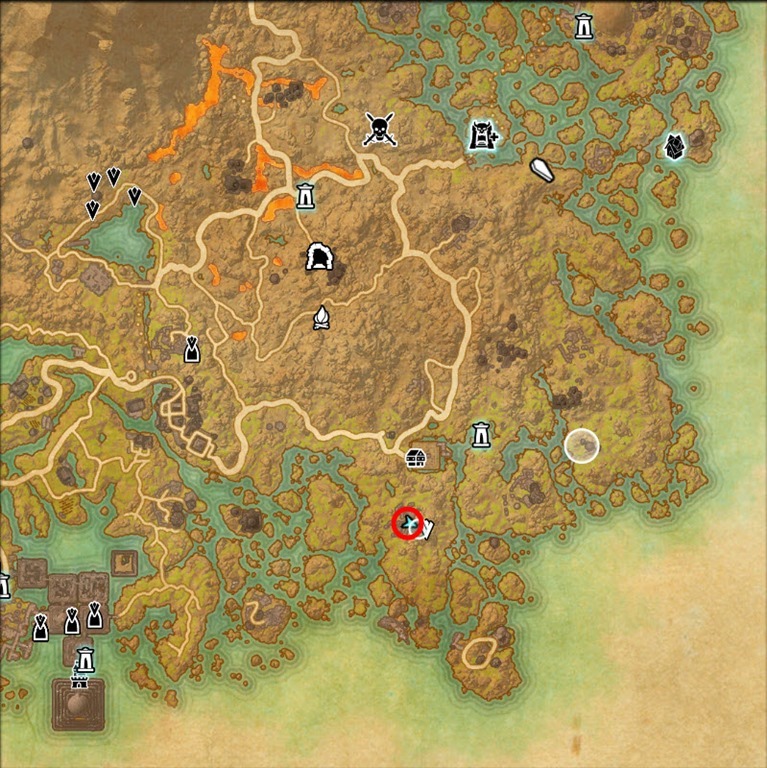 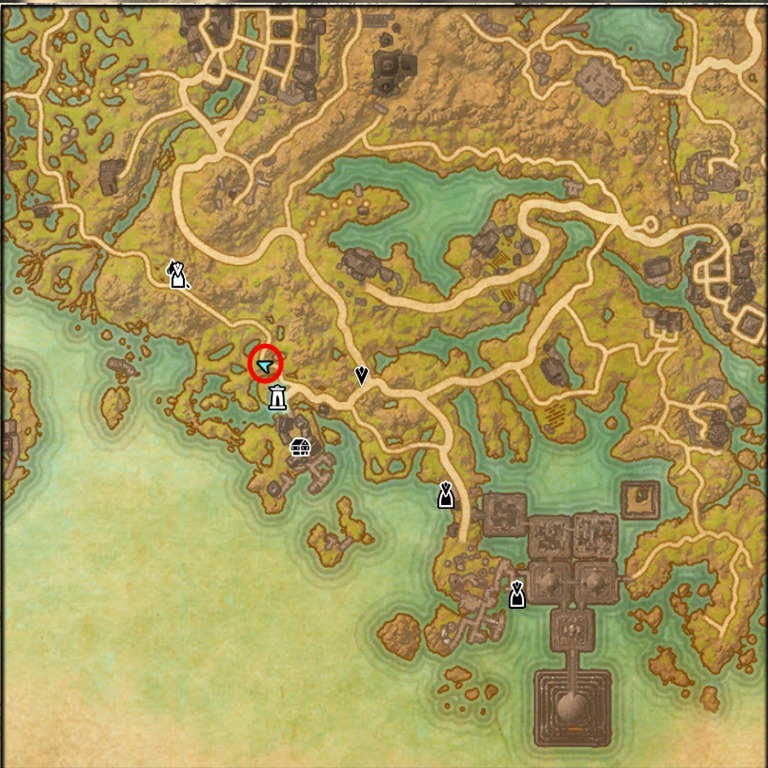 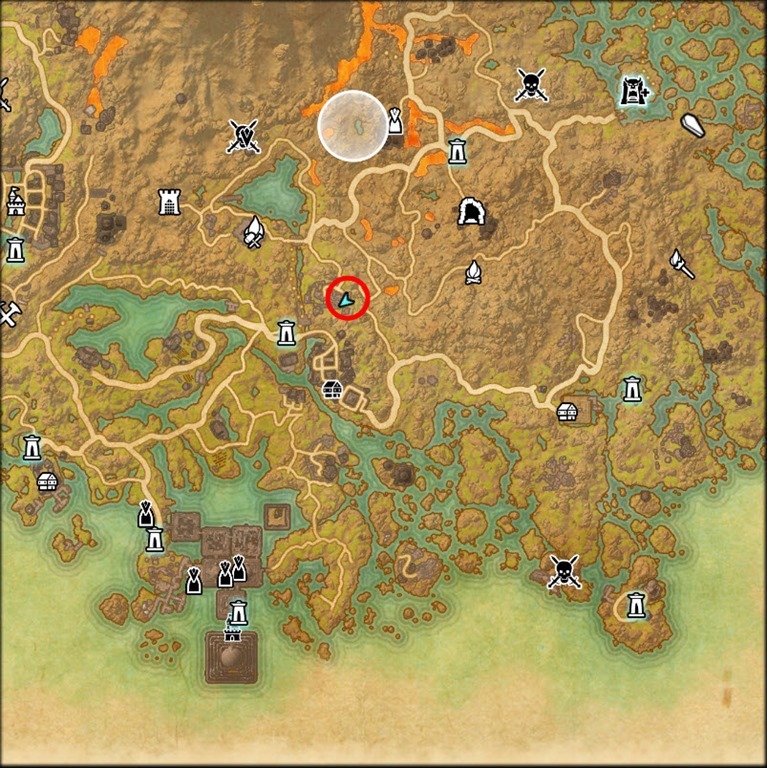 Talk to Drelyth Hleran near the wayshrine to start the quest. 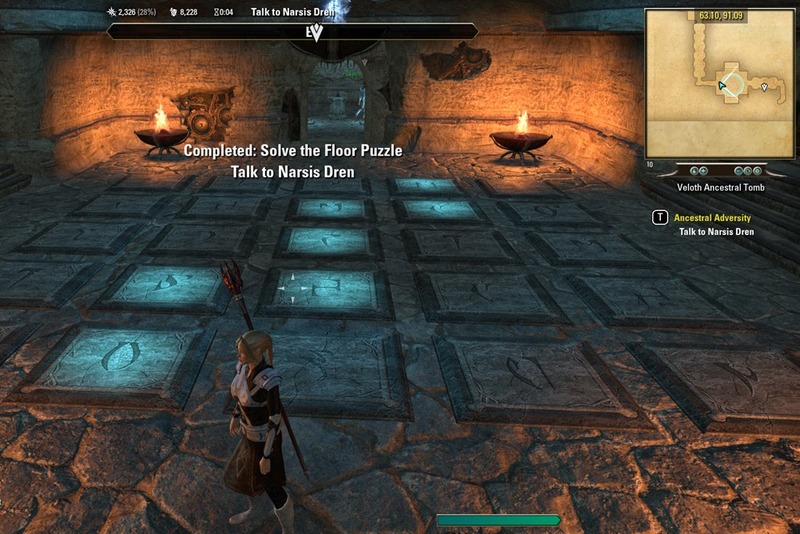 Councilor Eris will give you this quest after you have completed Fleeing the Past. 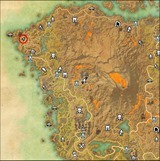 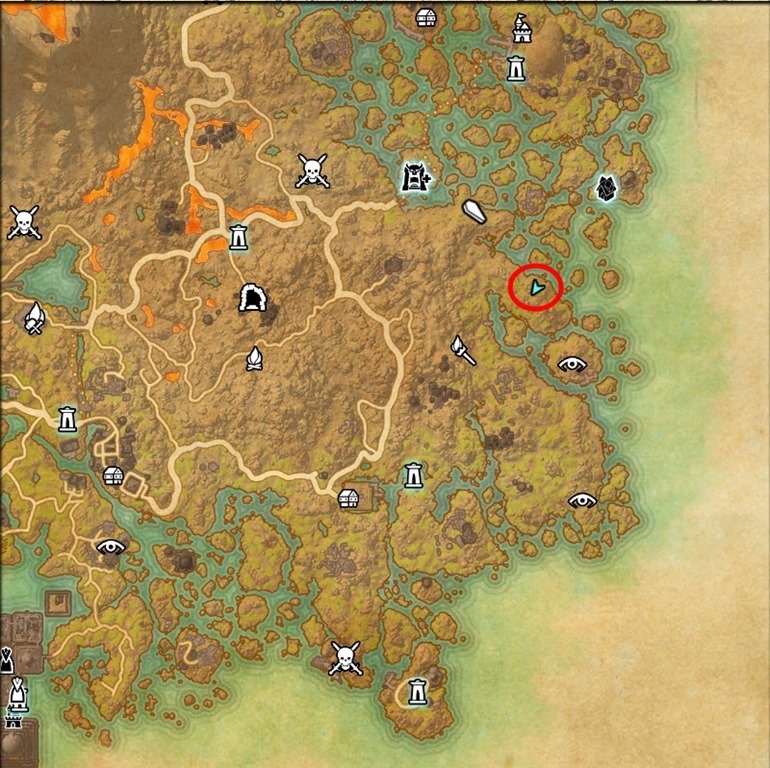 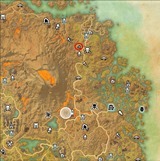 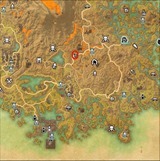 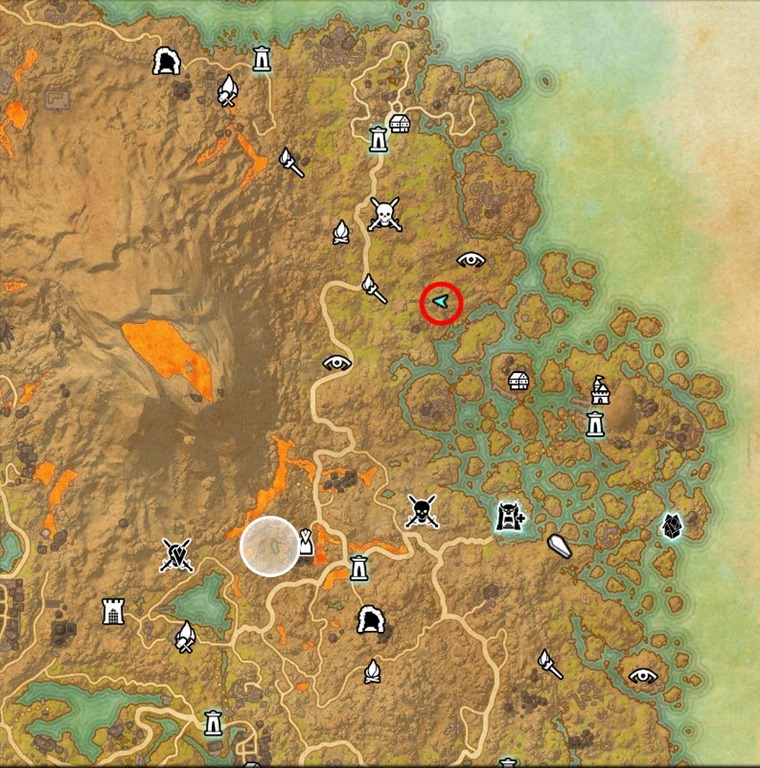 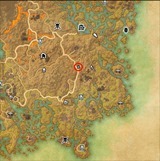 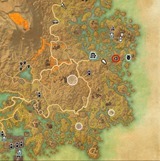 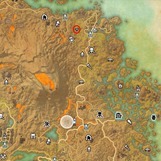 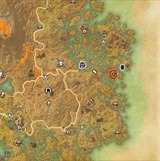 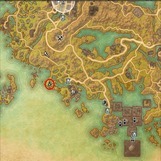 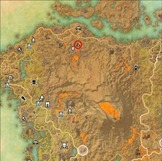 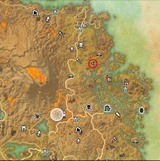 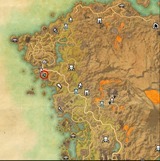 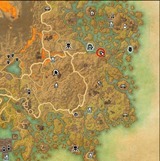 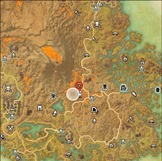 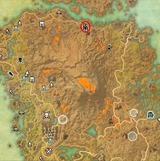 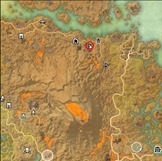 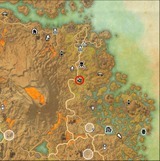 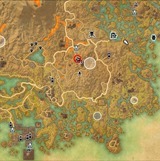 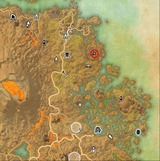 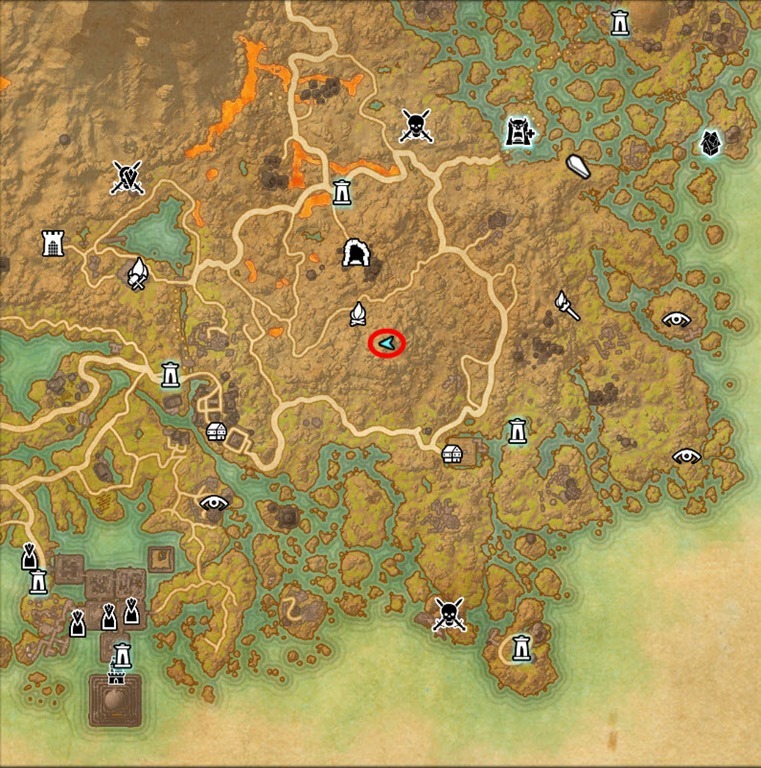 Malur can be found just outside Balmora. Starts with Udami at the Urshilaku Camp NE of Gnisis. 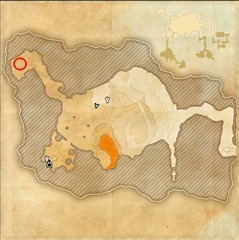 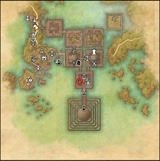 Completing this quest starts the Ashlander dailies. 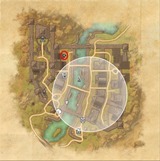 Must have completed Ashlander Ties quest from Ald’ruhn. 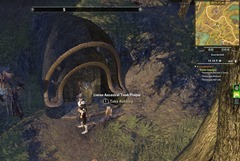 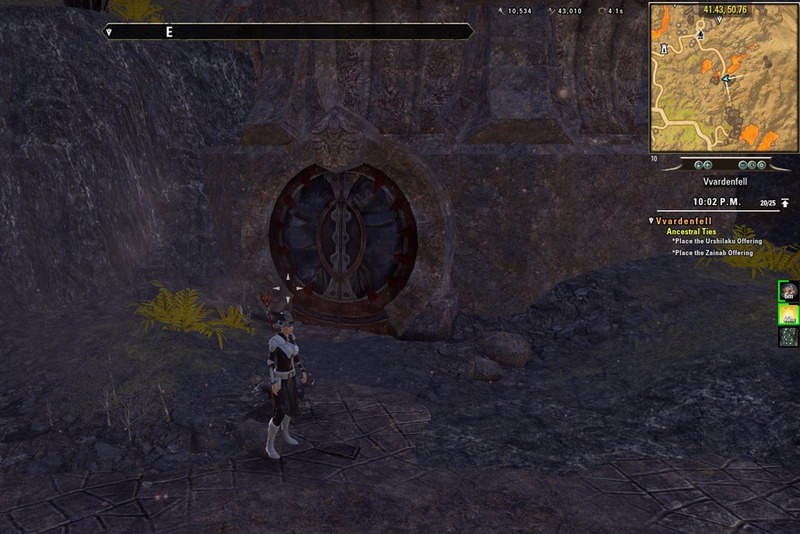 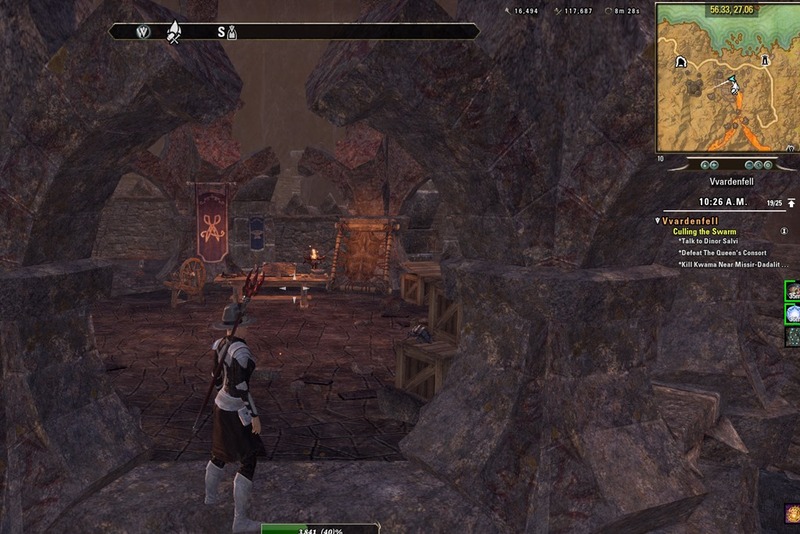 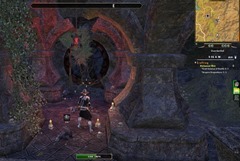 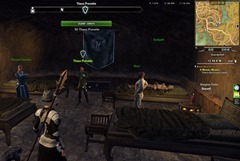 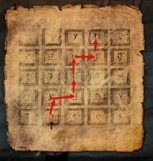 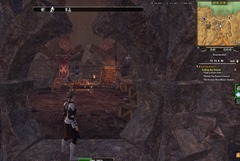 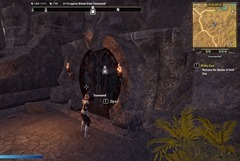 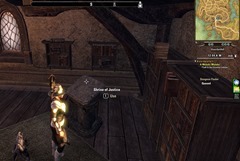 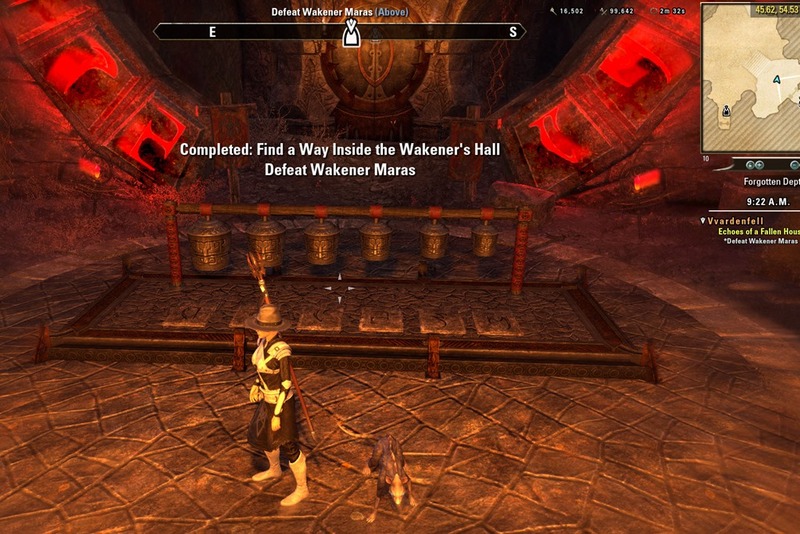 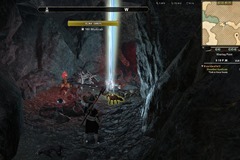 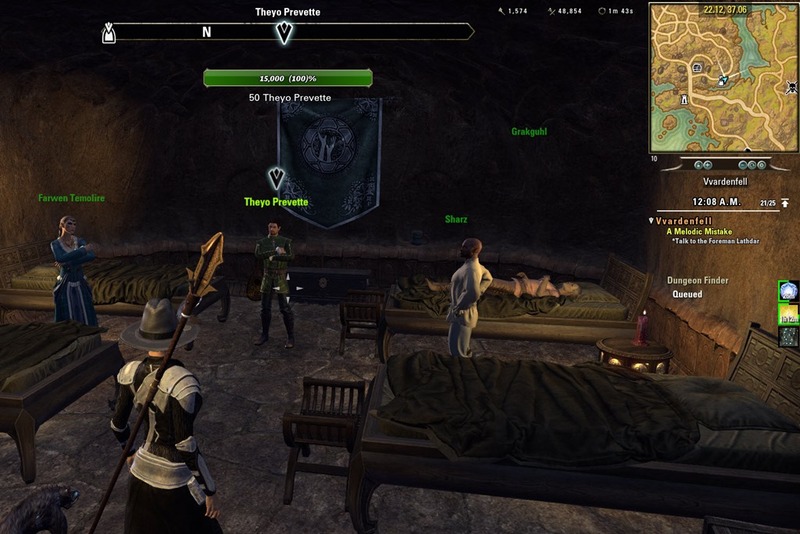 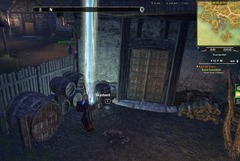 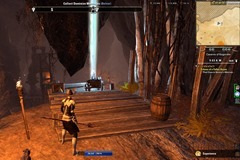 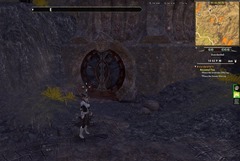 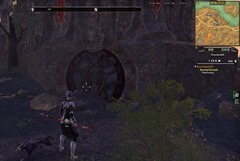 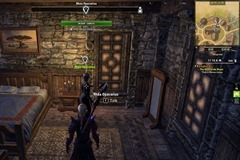 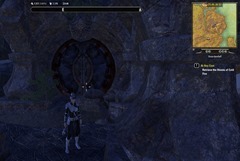 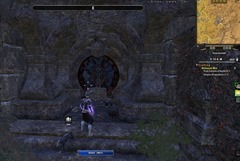 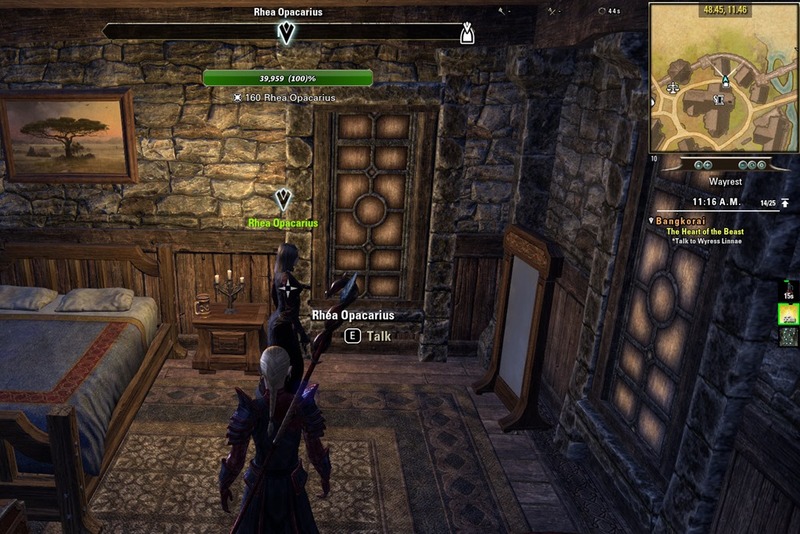 Given by Captain Naros inside Penitent Pilgrims Inn or by guards around Molag Mar. 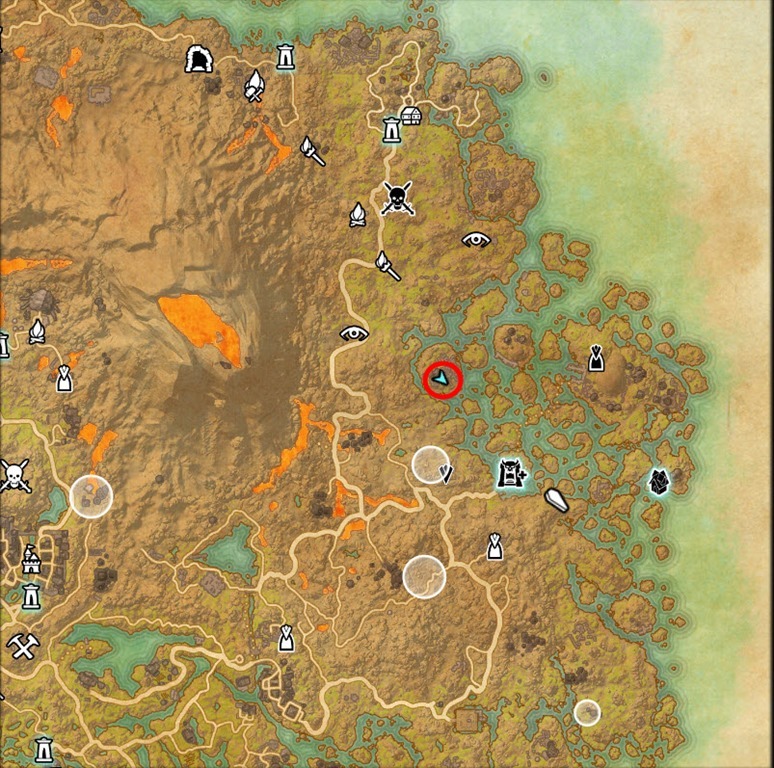 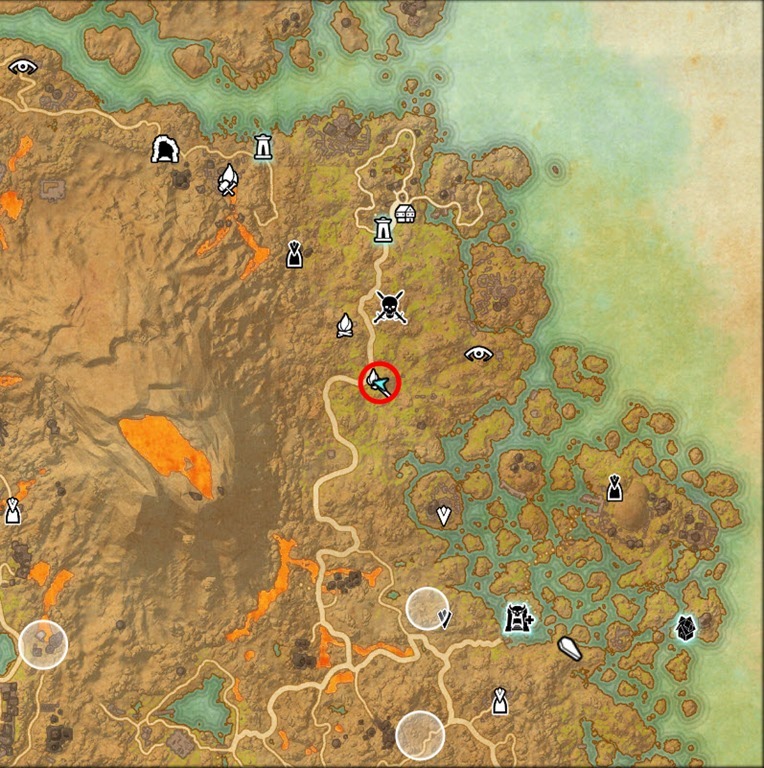 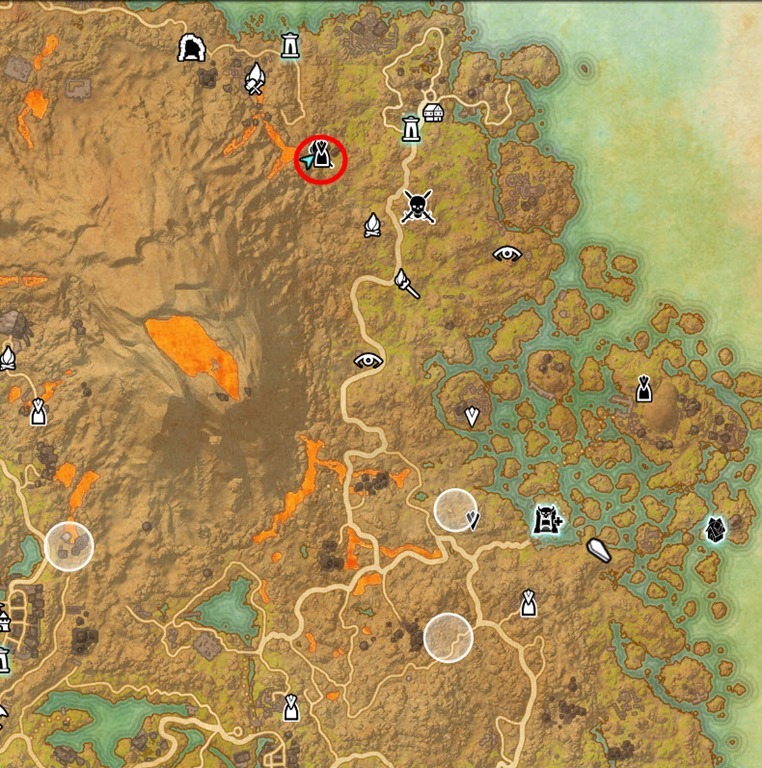 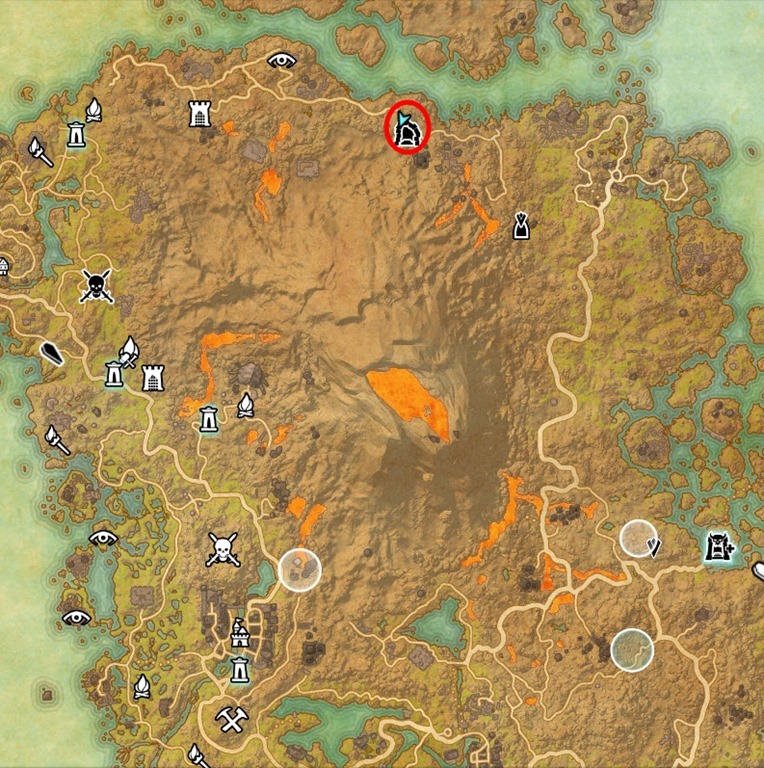 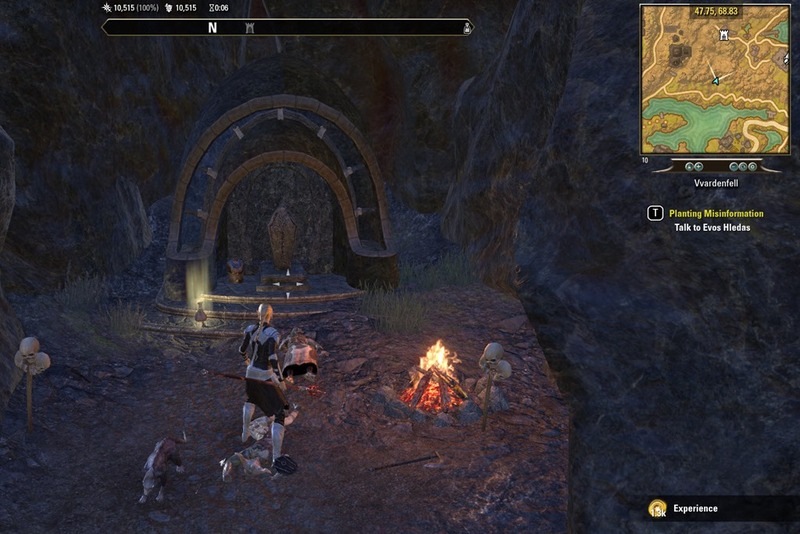 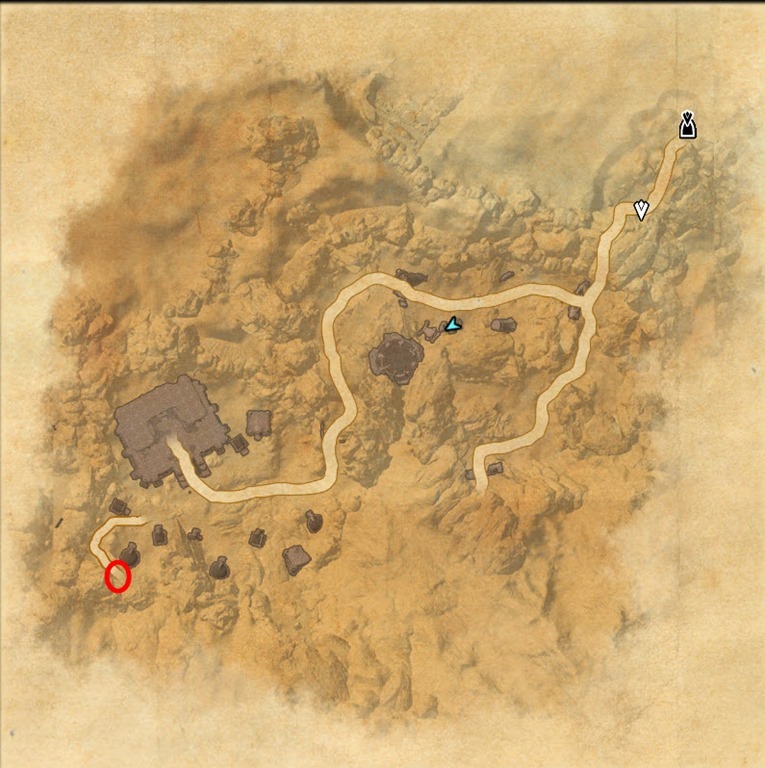 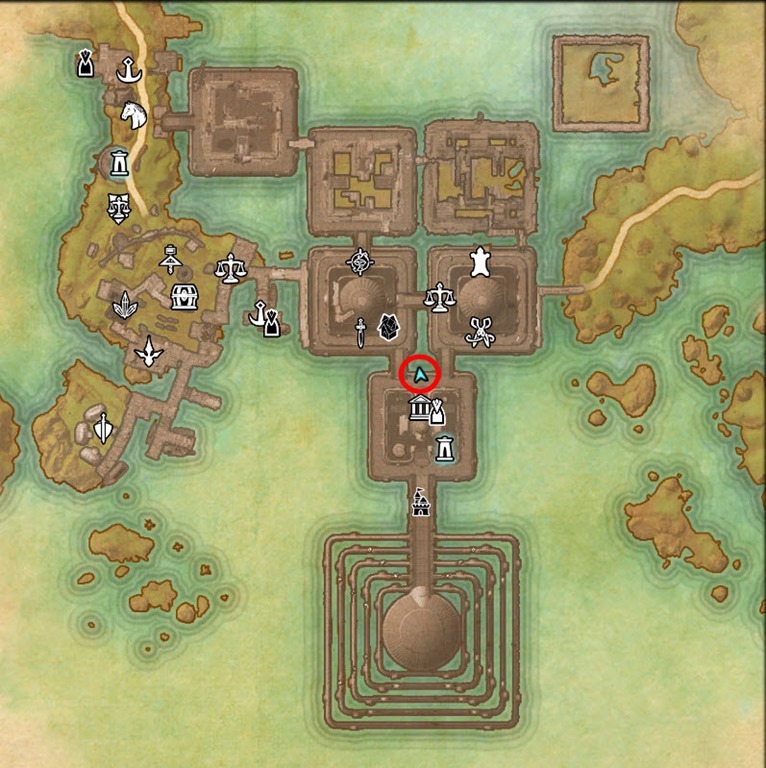 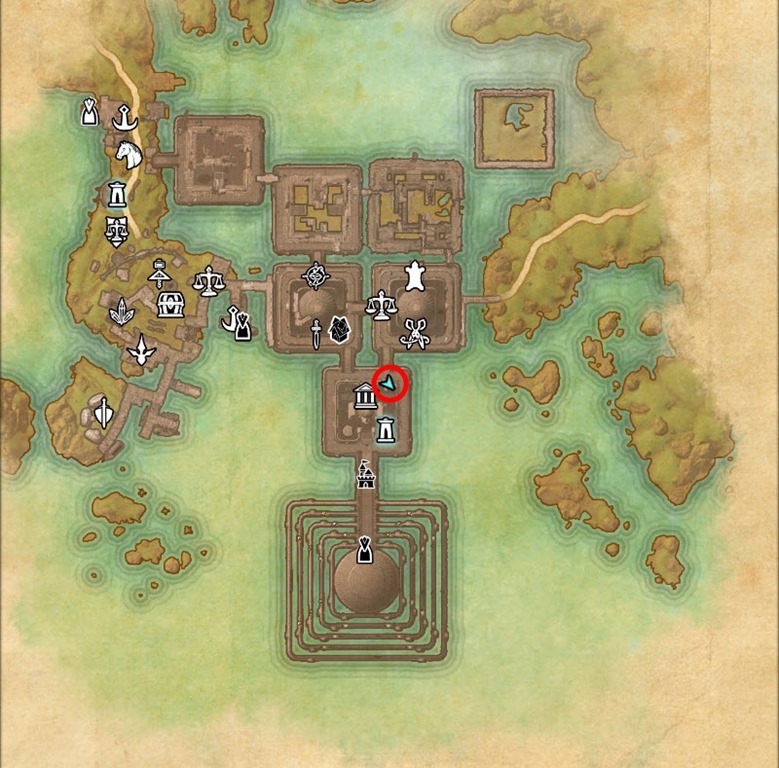 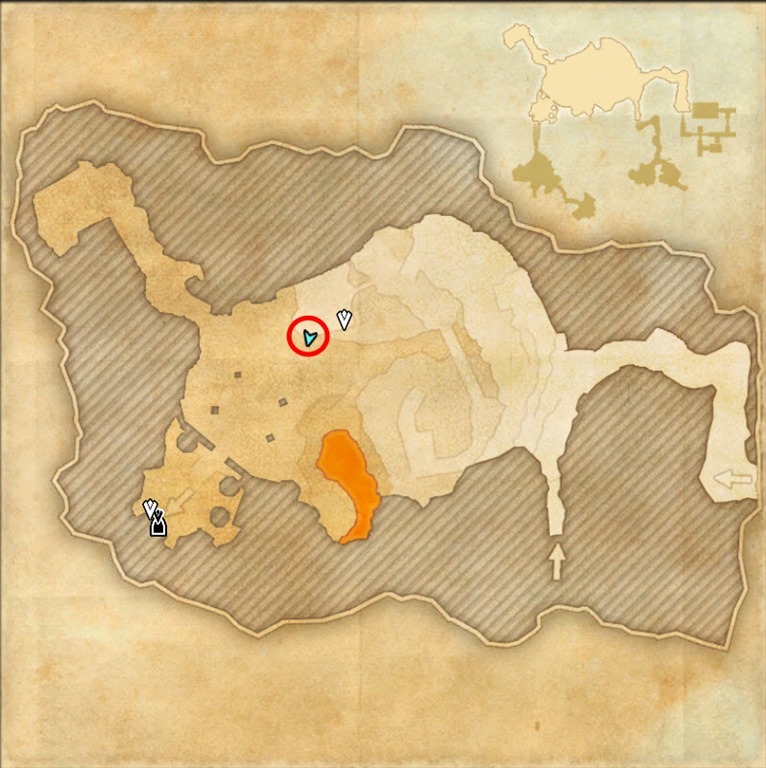 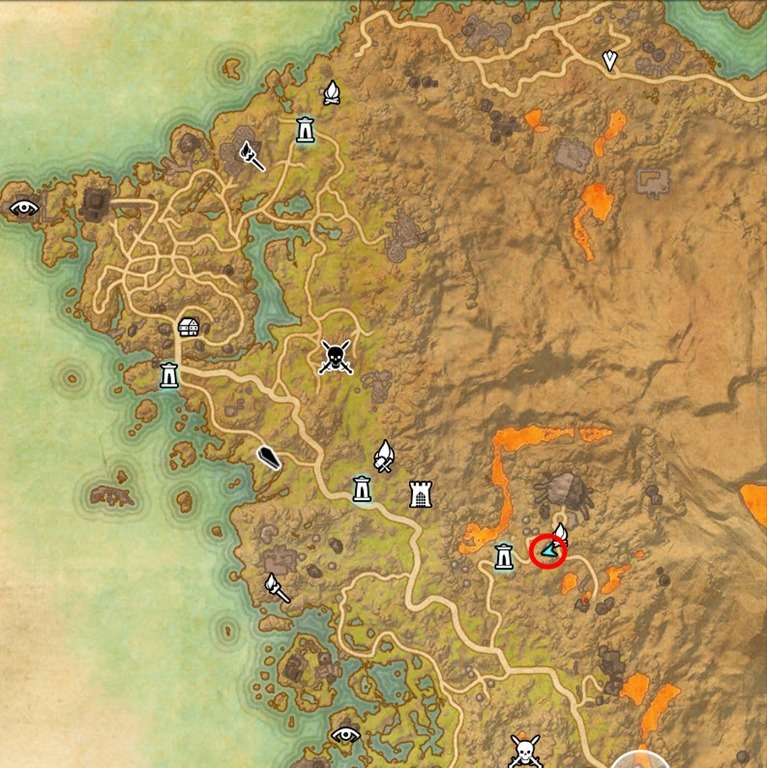 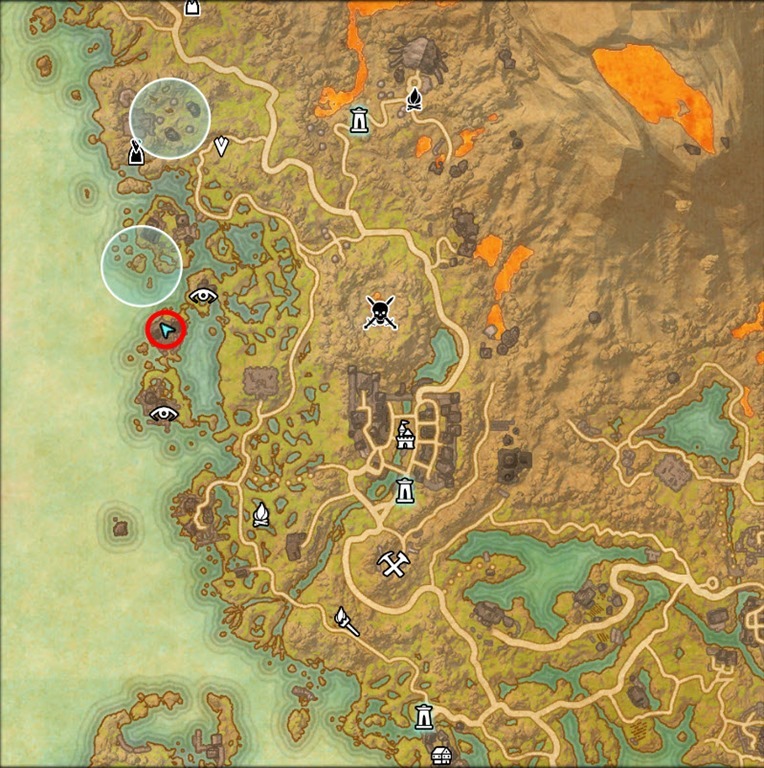 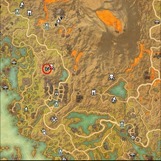 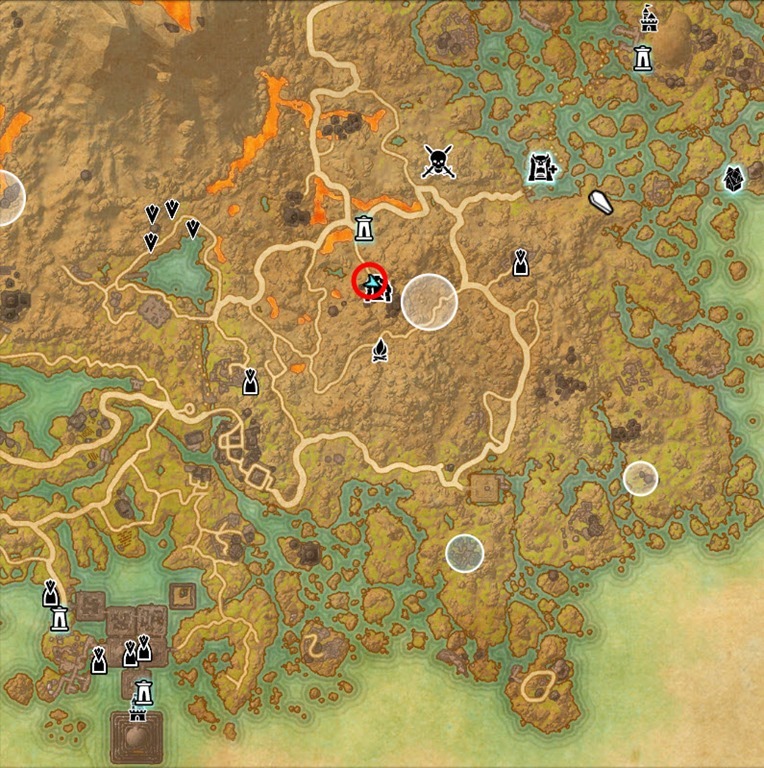 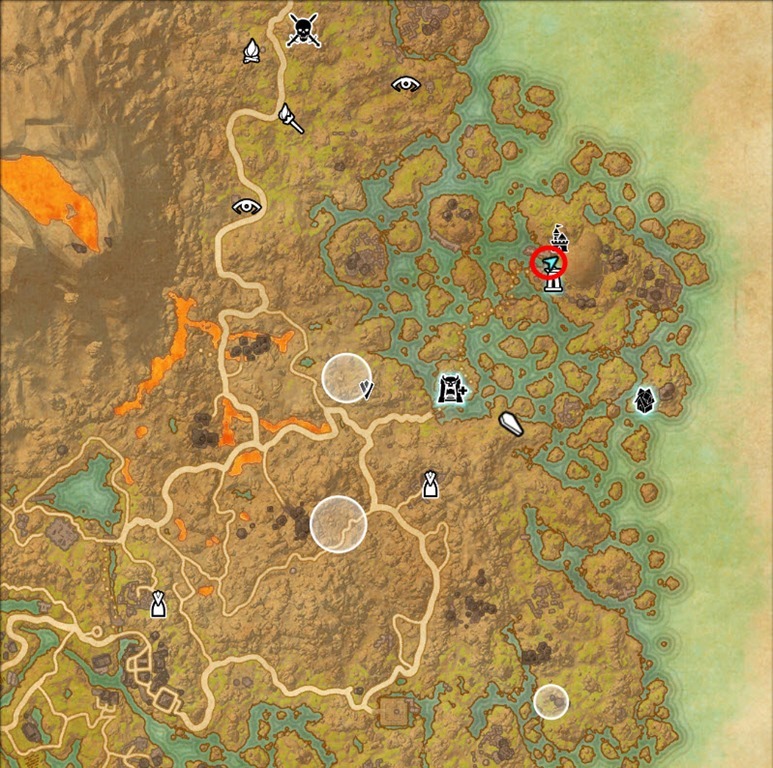 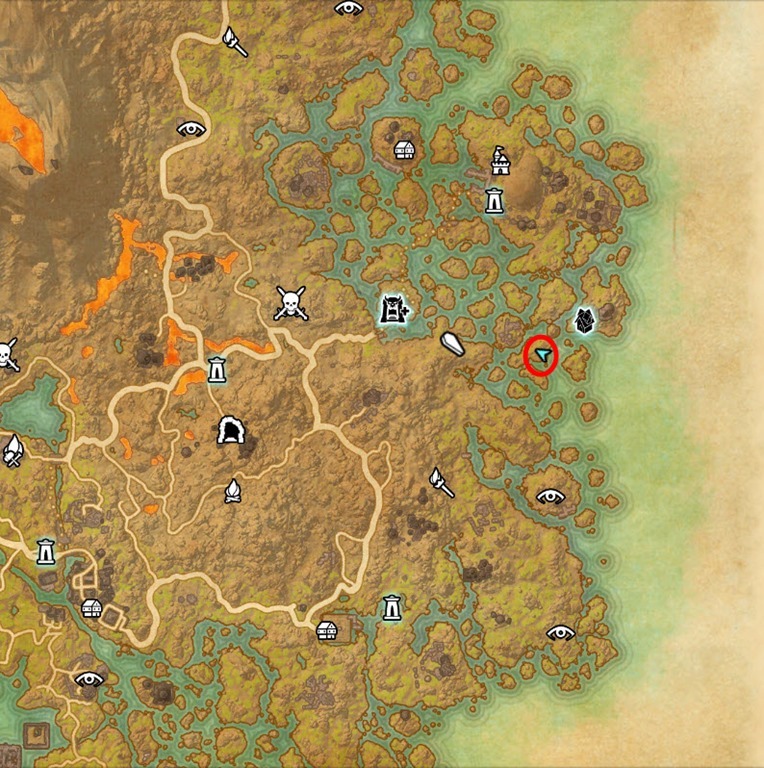 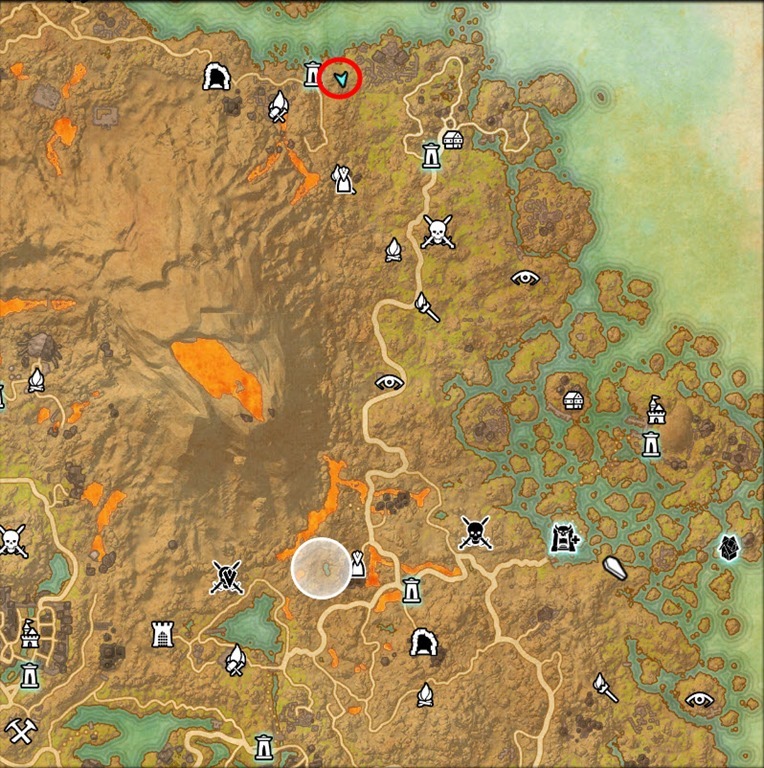 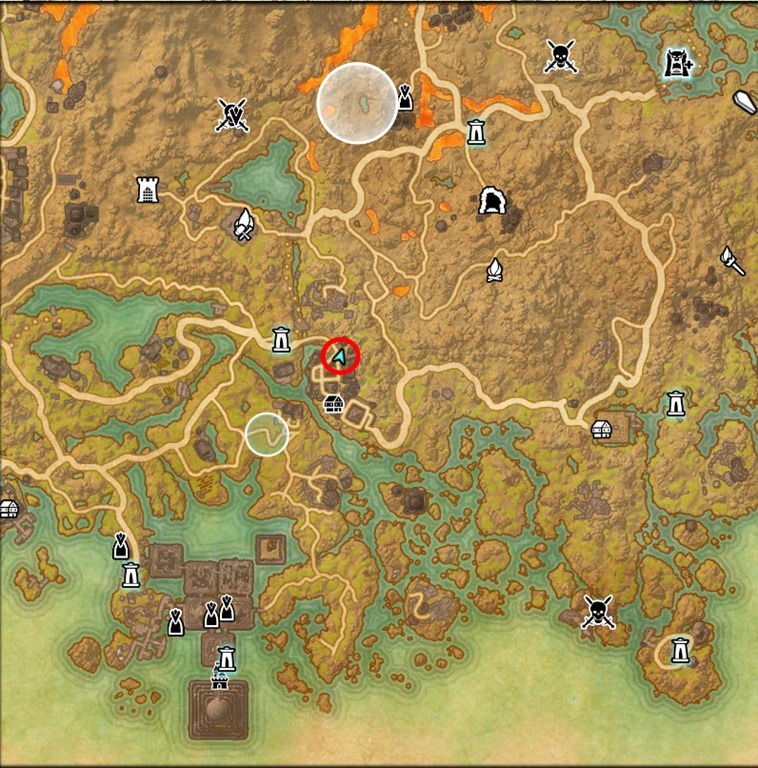 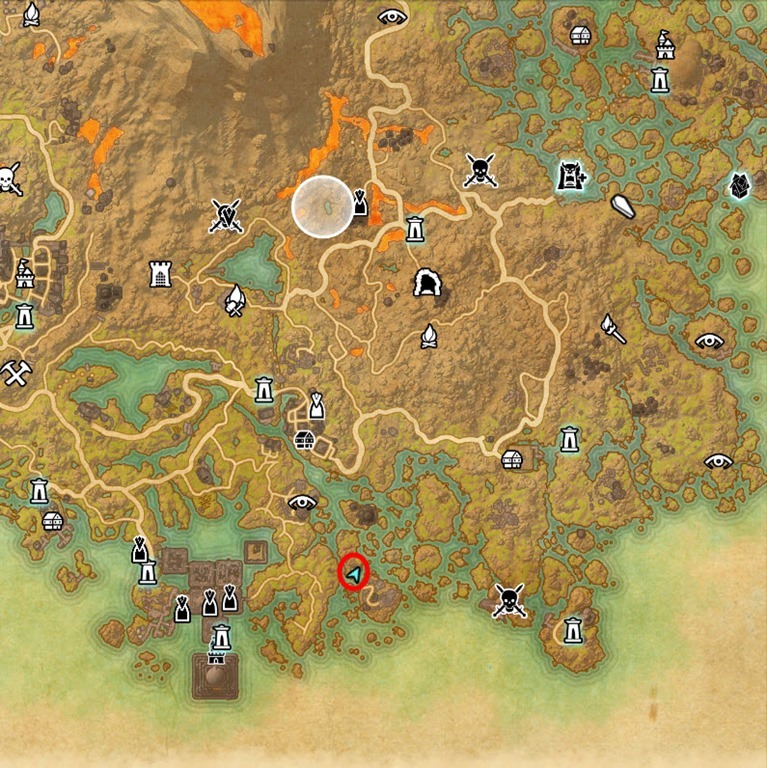 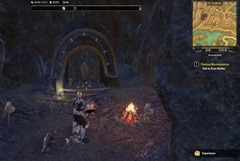 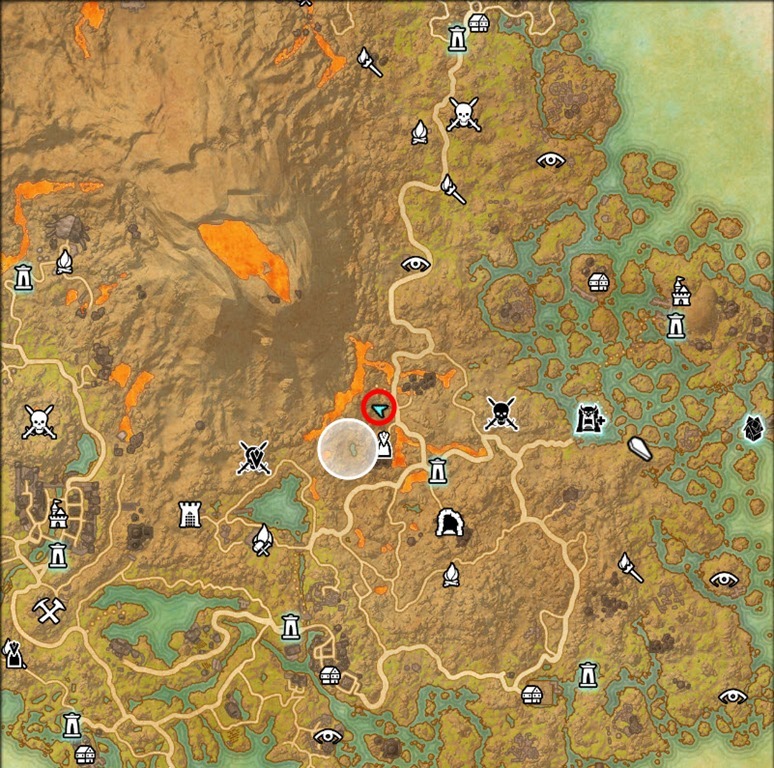 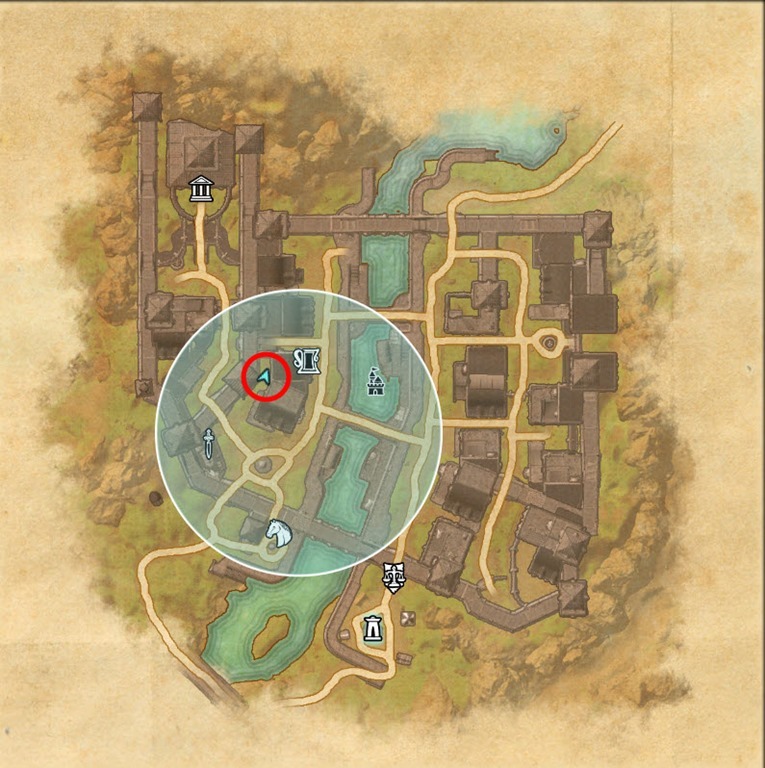 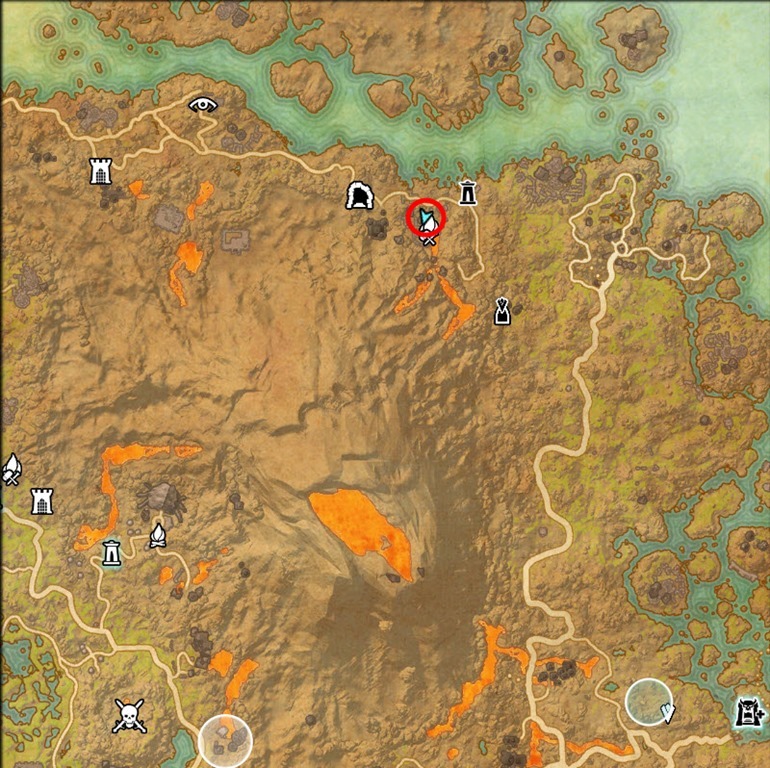 Find a Way to Unlock Zaintiraris, you need to lit the braziers in sequence according to the number of skulls near each brazier: 2 skulls –> 3 skulls –> 5 skulls –> 3 skulls –> 6 skulls. 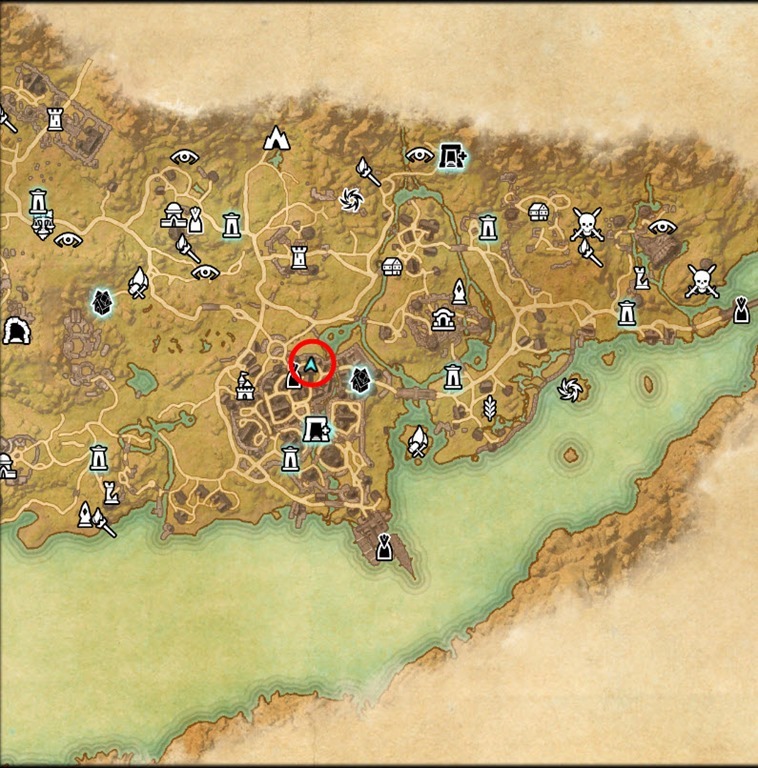 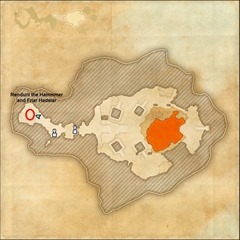 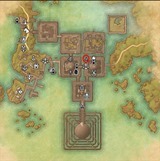 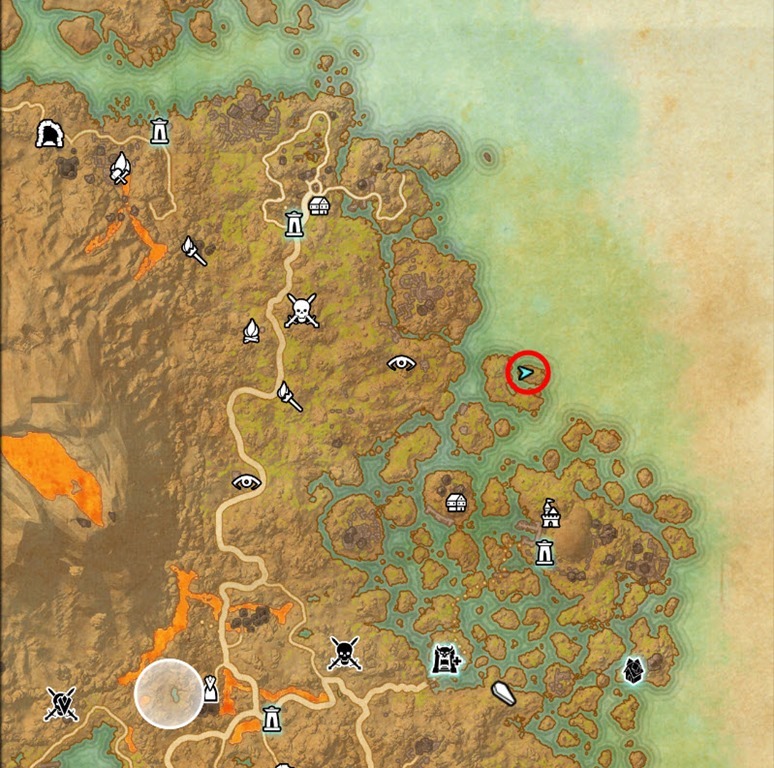 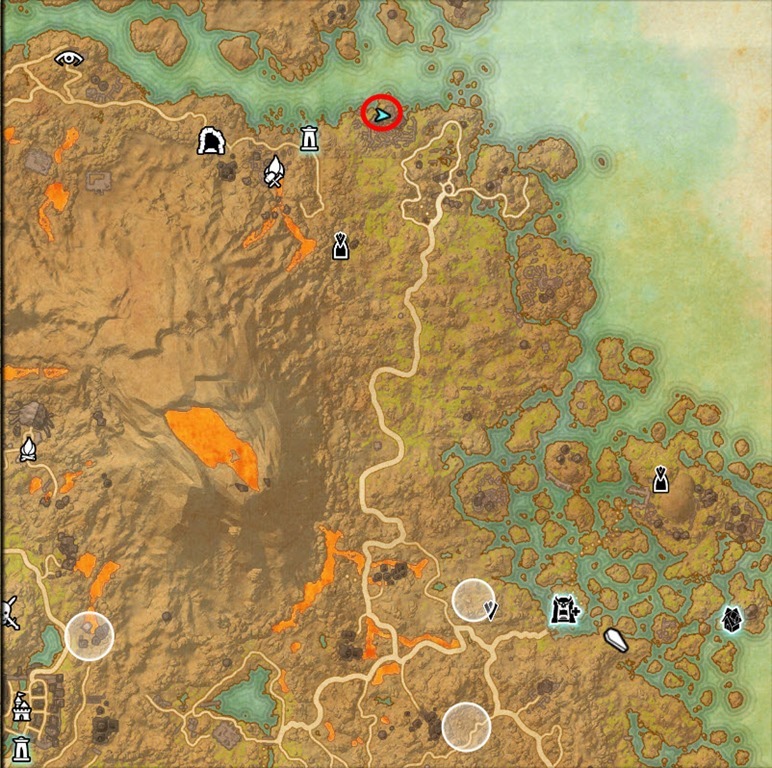 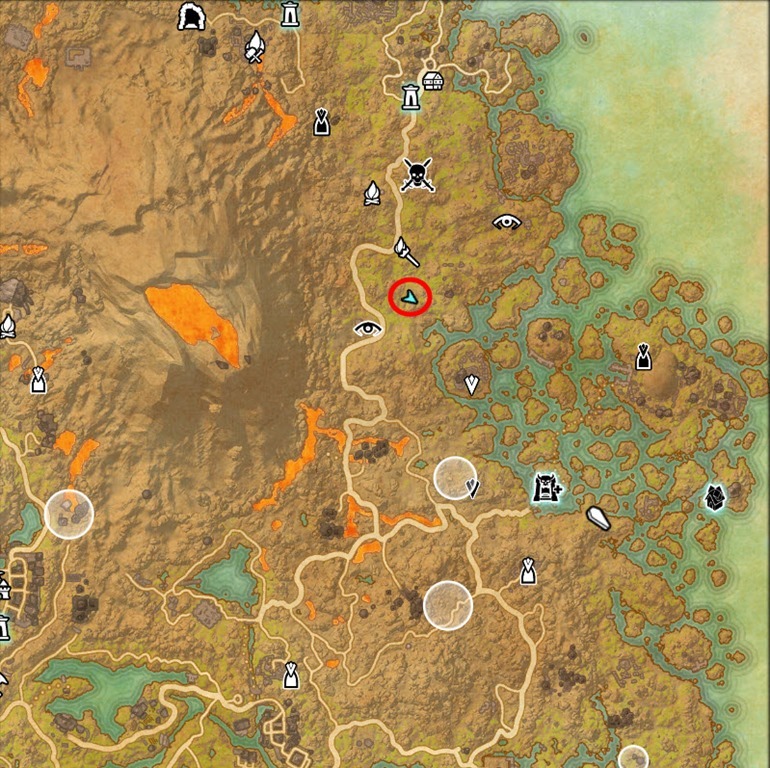 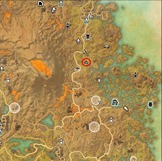 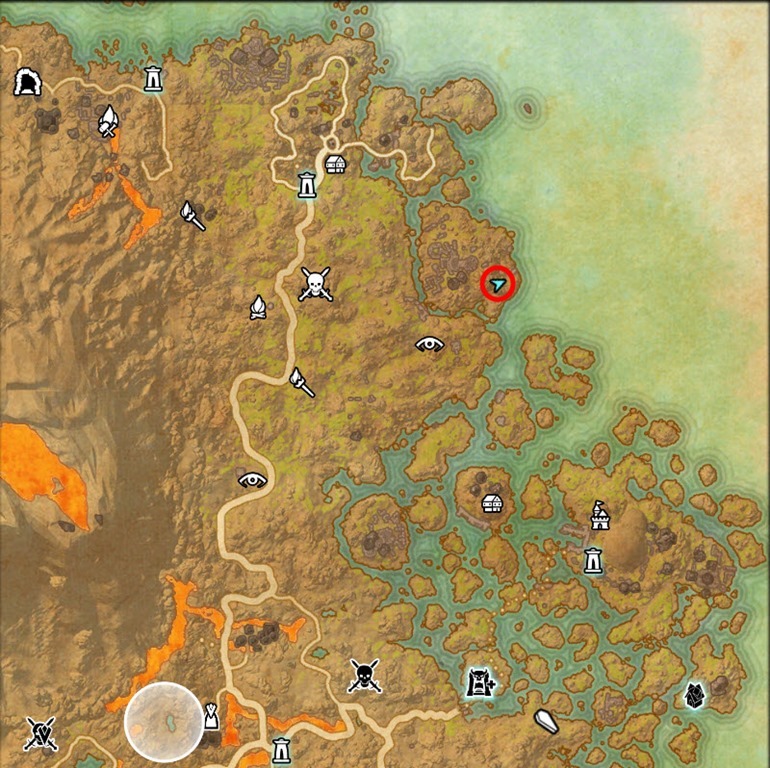 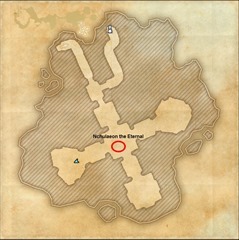 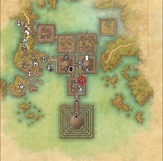 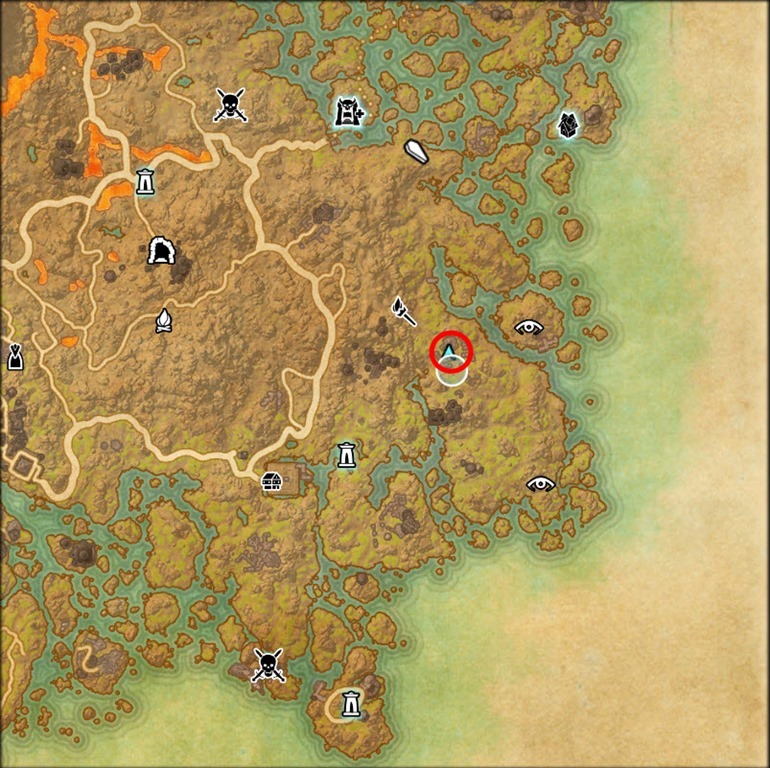 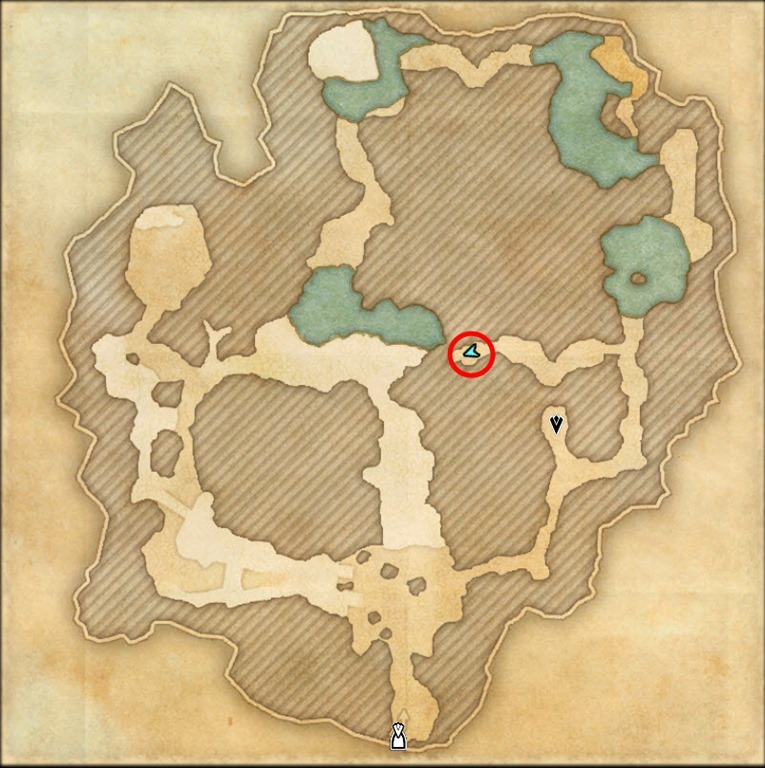 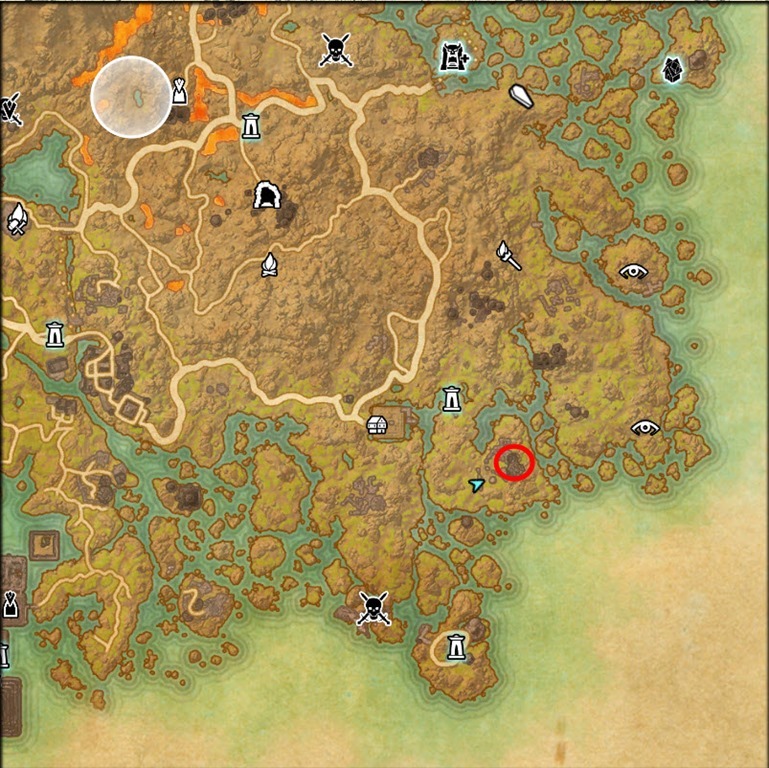 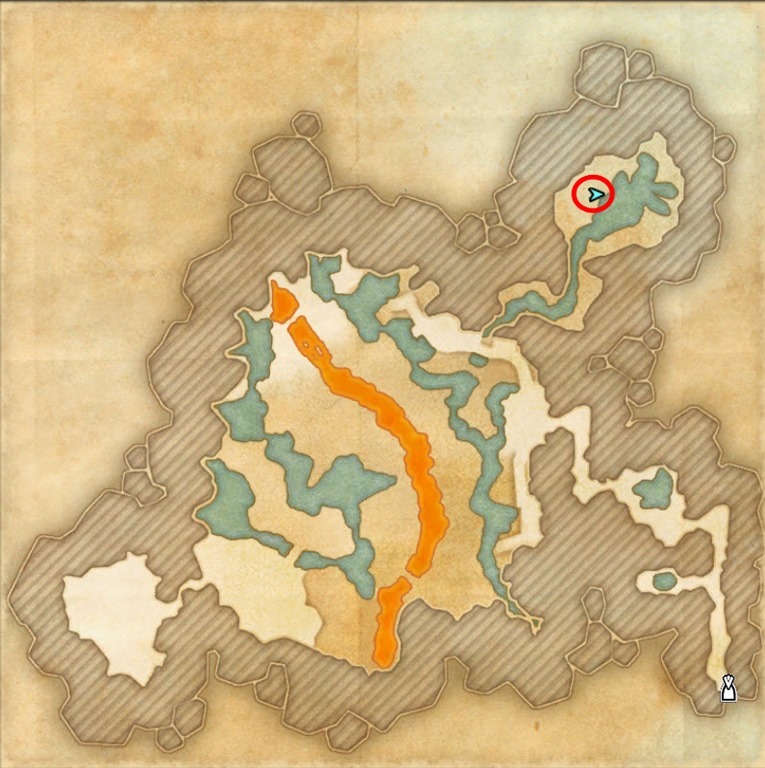 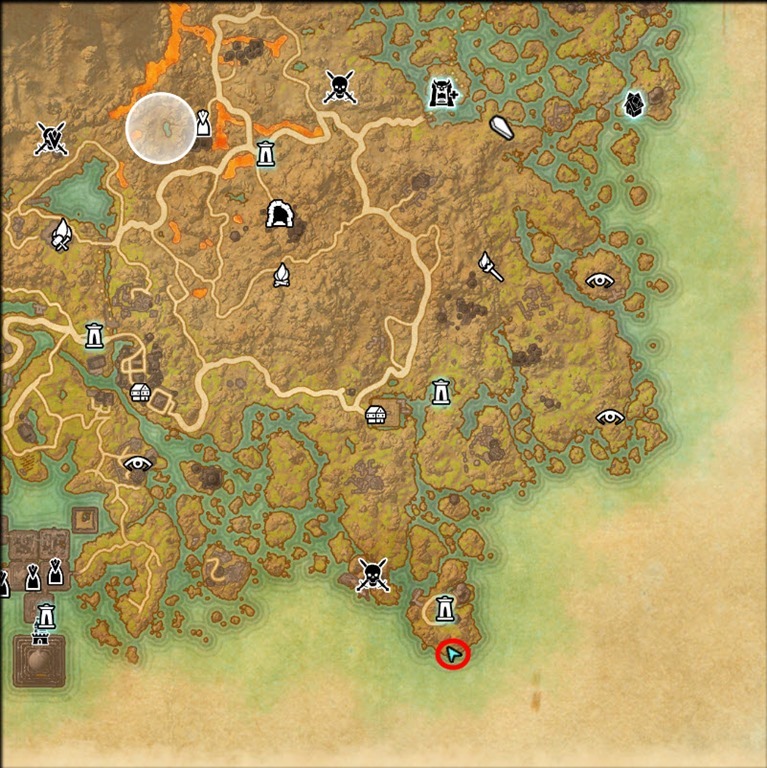 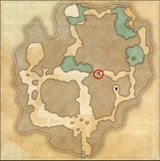 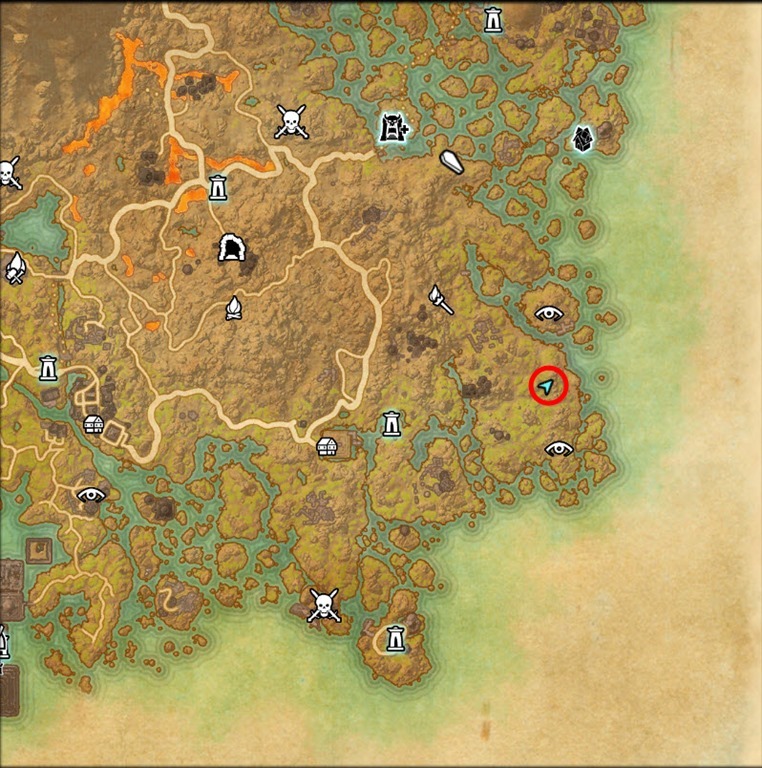 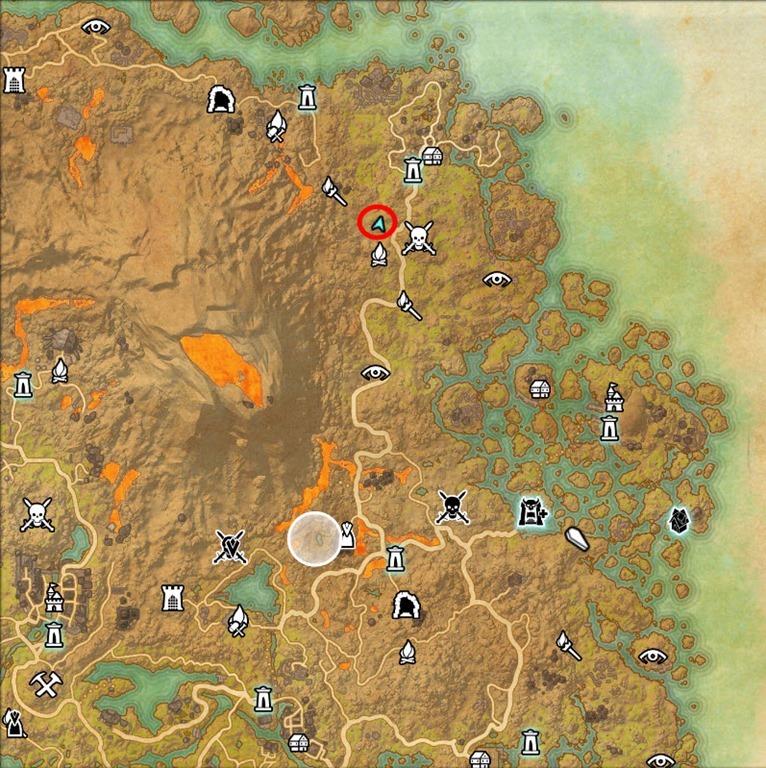 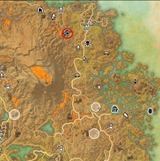 Halinjirr is right by Seyda Neen wayshrine. 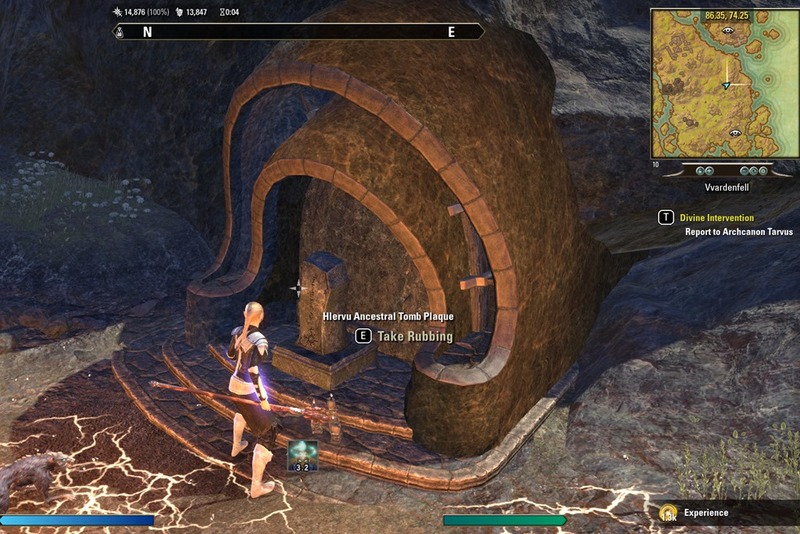 Given by Lady Clarisse Laurent east of Vivec City just north of Bal Fell. 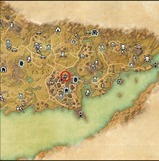 Talk to Edryno Giryno above the St.Olms Canton to start the quest. 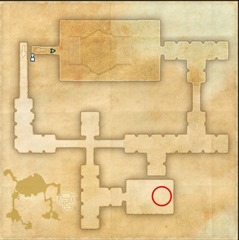 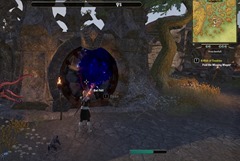 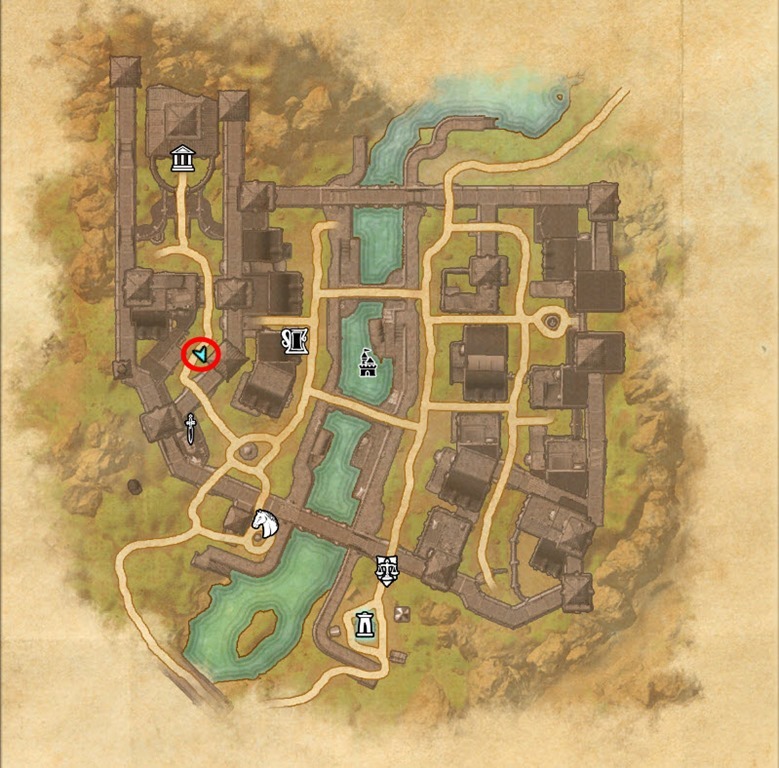 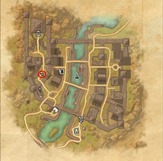 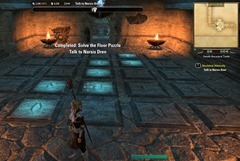 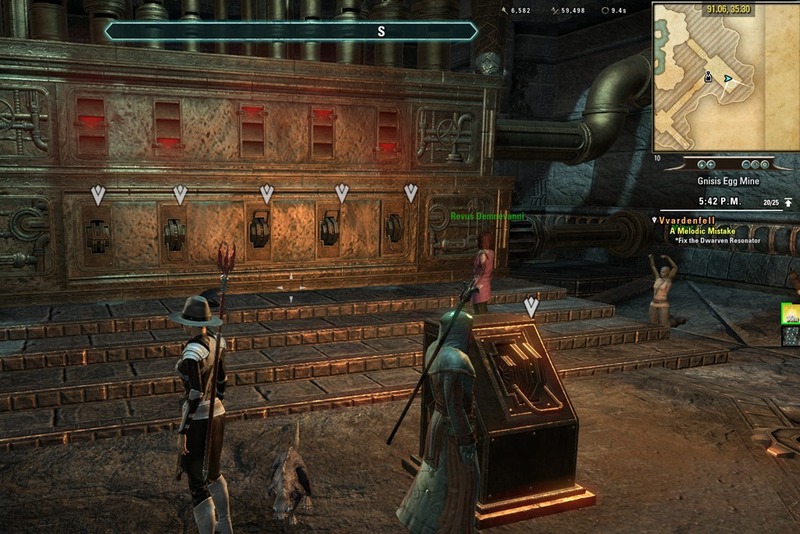 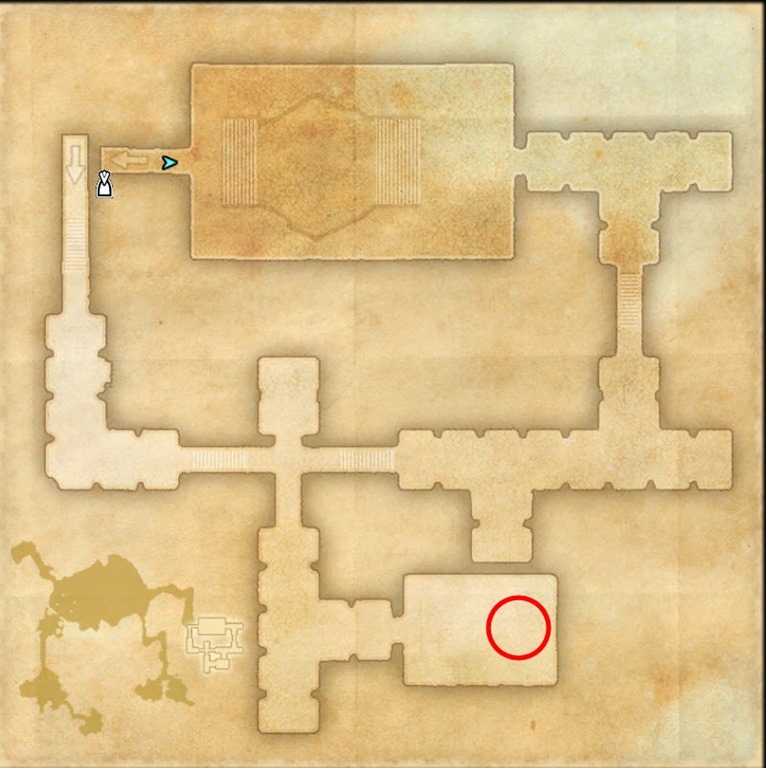 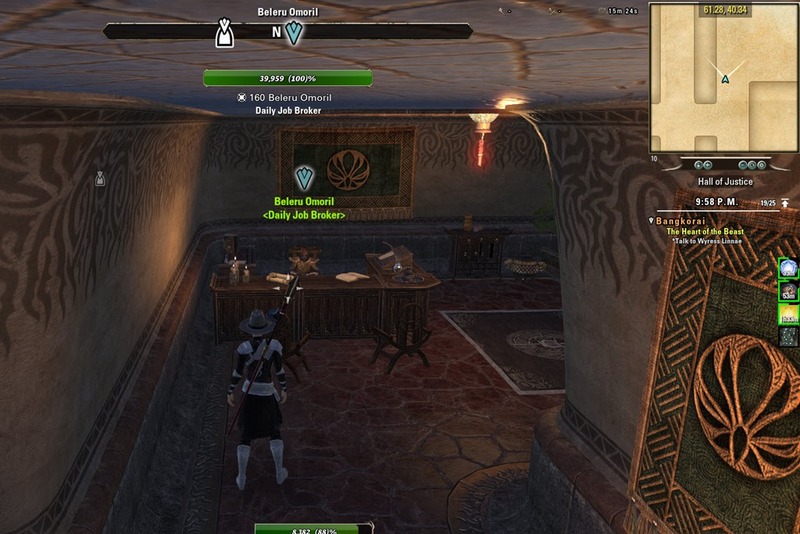 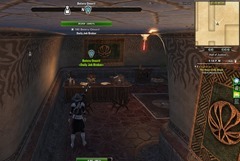 Quest given by Librarian Bradyn in Temple Canton, Library of Vivec in Vivec City. 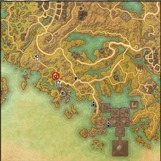 Given by Librarian Bradyn after completing Ancestral Tombs Hunter achievement. Caverns of Kogoruhn NW end. To get to the Guardian, you need to take the regular way down from the entrance instead of running down the descending platforms. 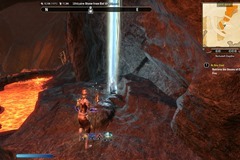 Defeat Nchulaeon the Eternal. 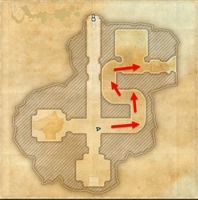 He can be found by going to the bottom entrance at the three way split. 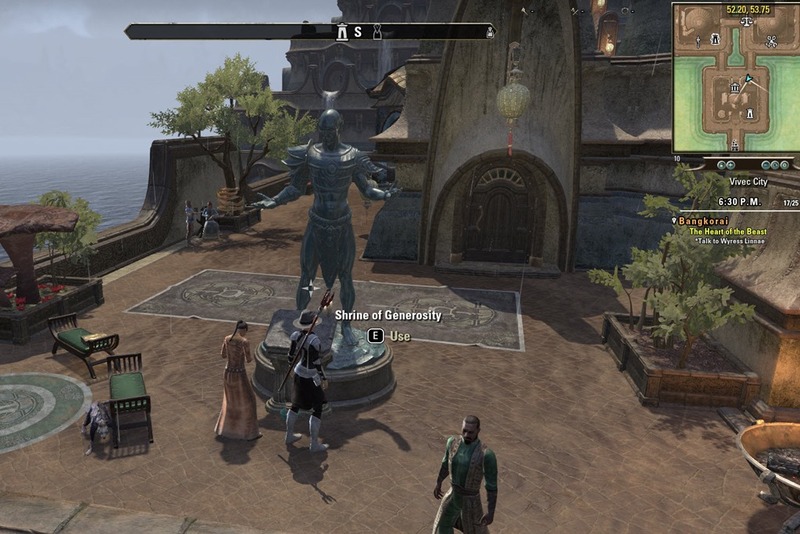 Thanks I totally missed “A Web of Trophies” Lady Laurent and Stibbons are always a pleasure. 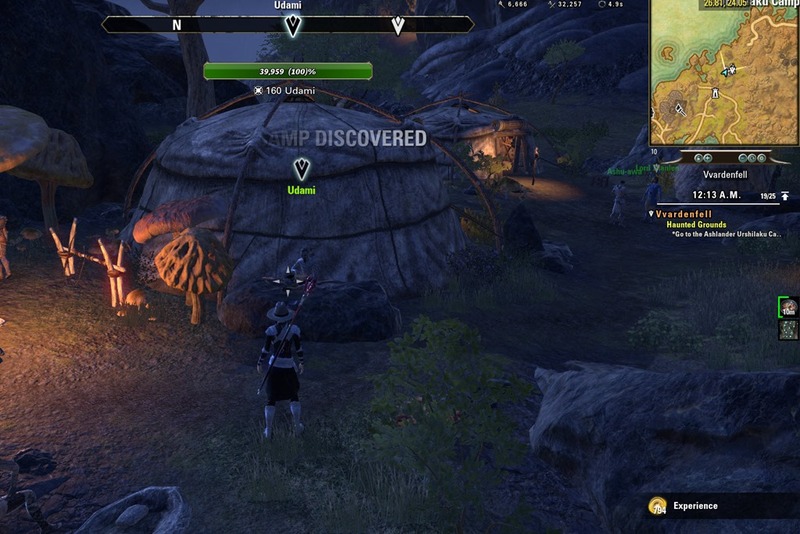 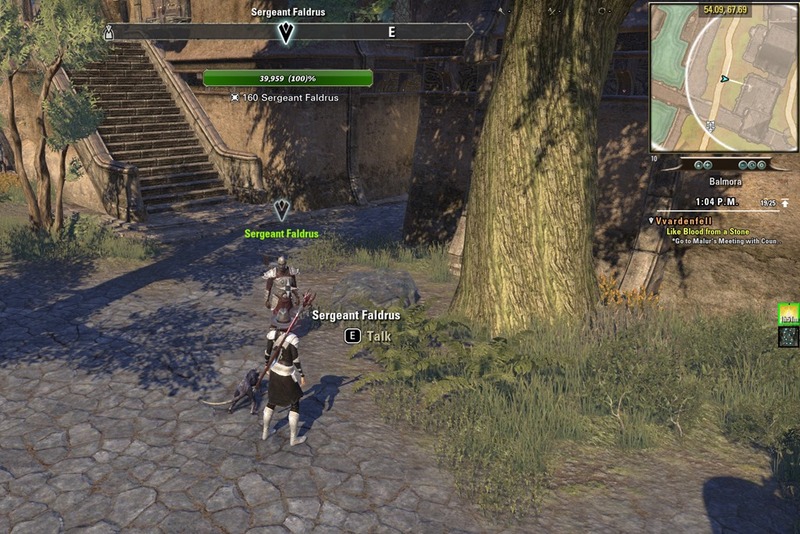 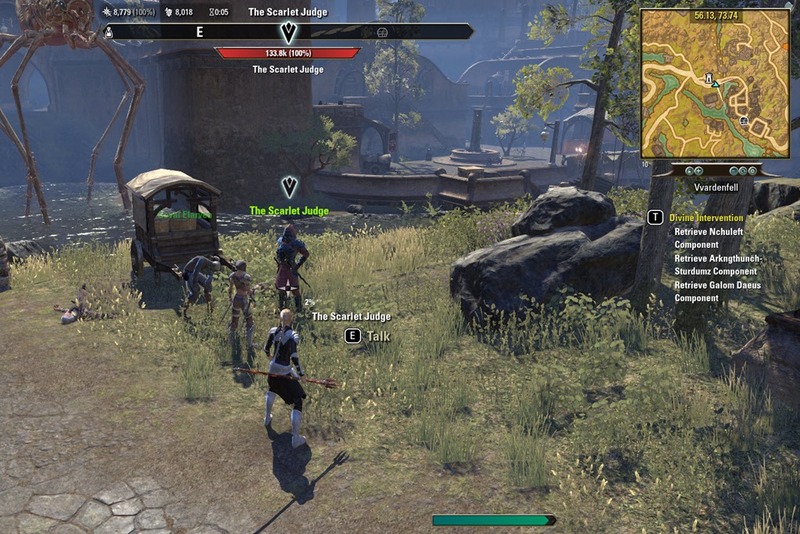 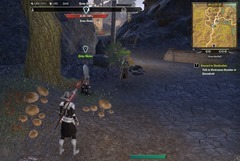 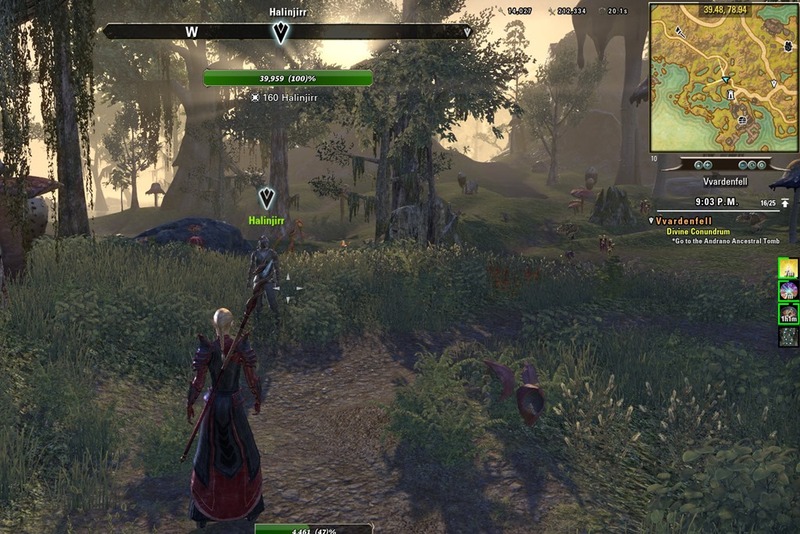 I was so happy when saw them in Murkmire!